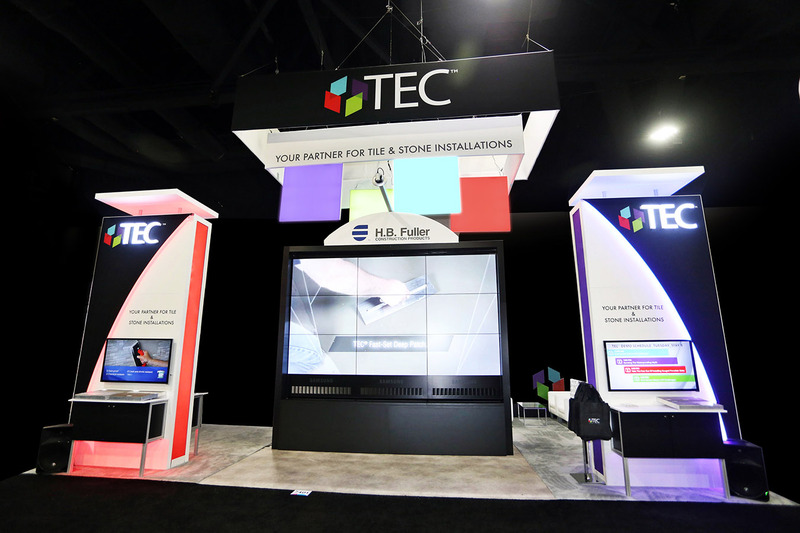 Rainbow colored back wall provides a stunning backdrop against a video wall in front of theatre seating. 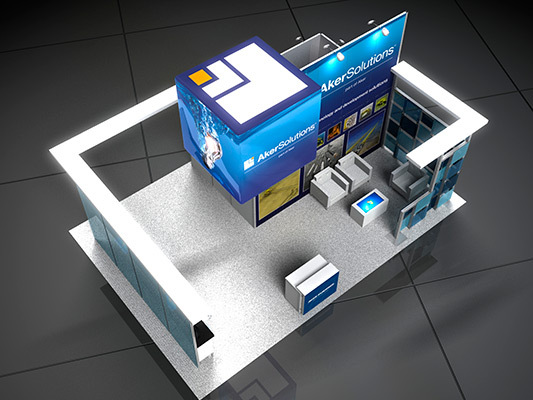 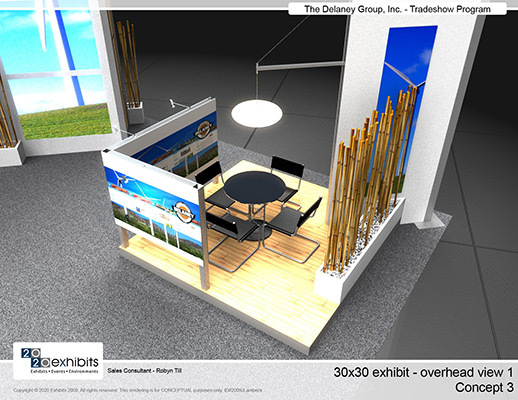 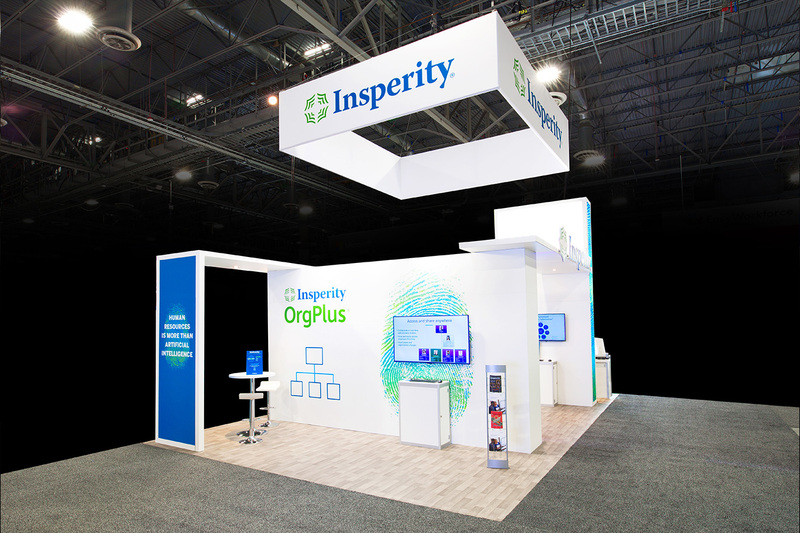 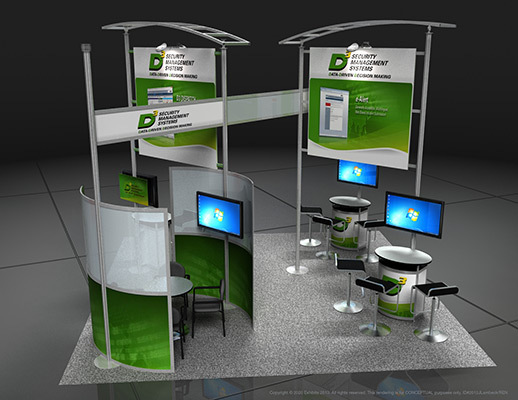 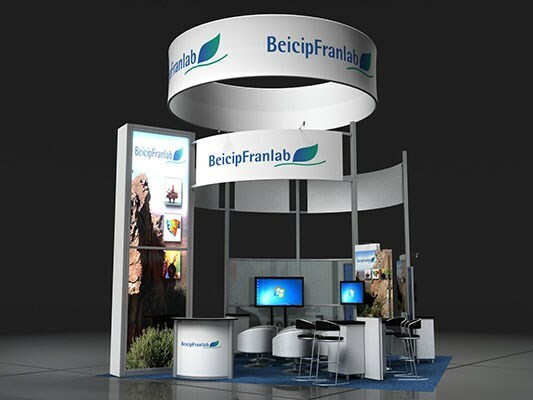 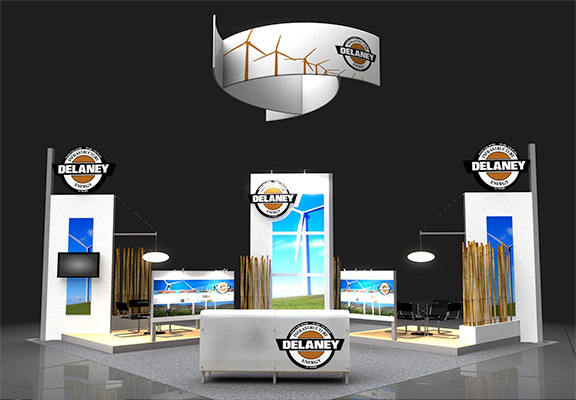 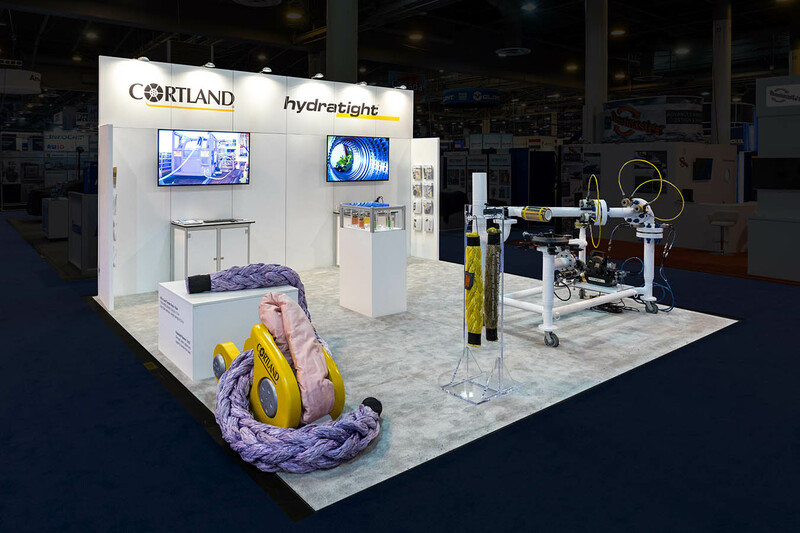 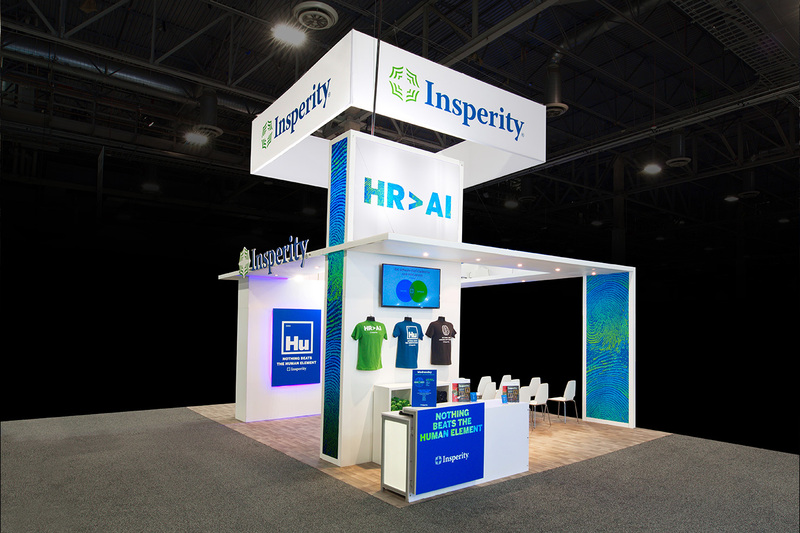 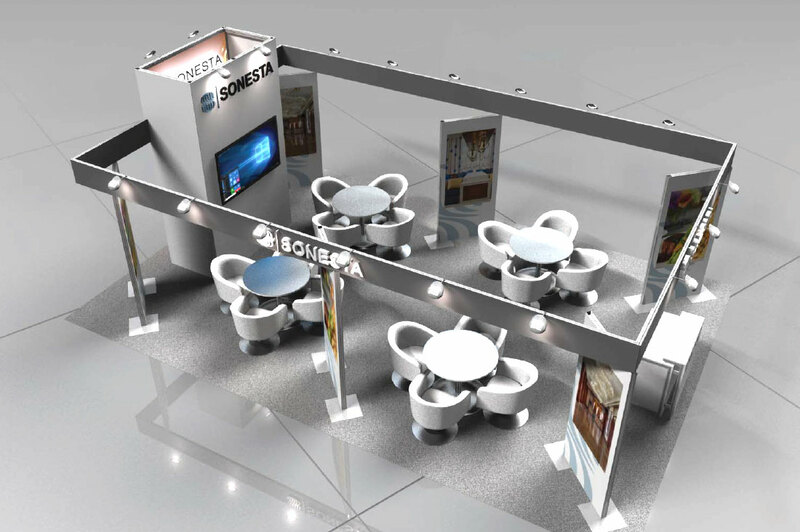 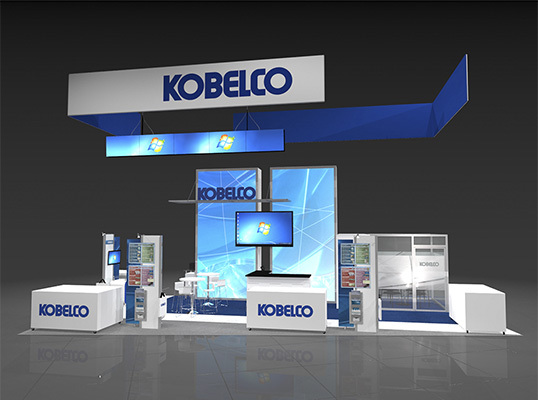 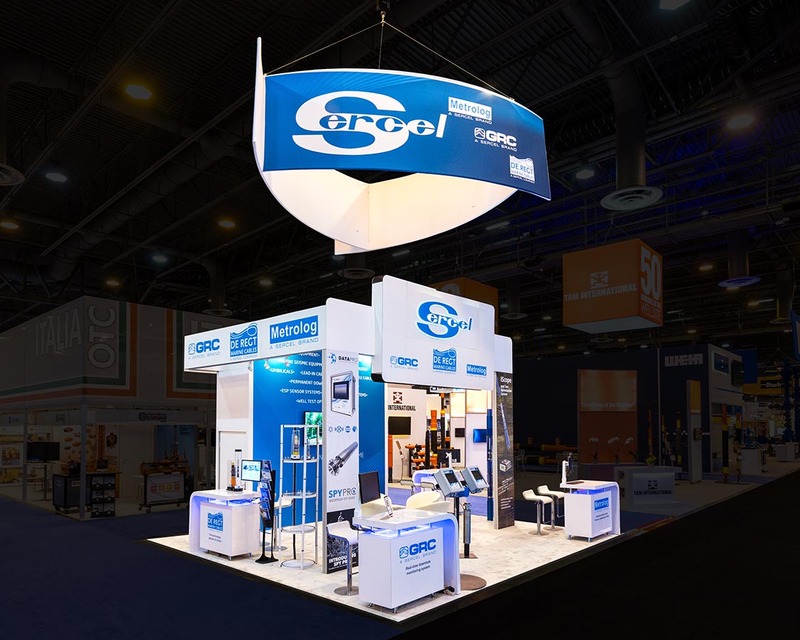 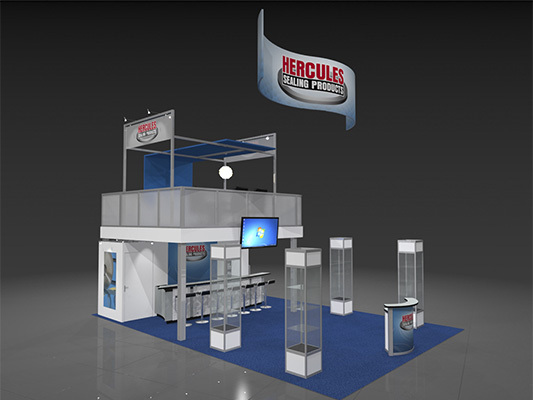 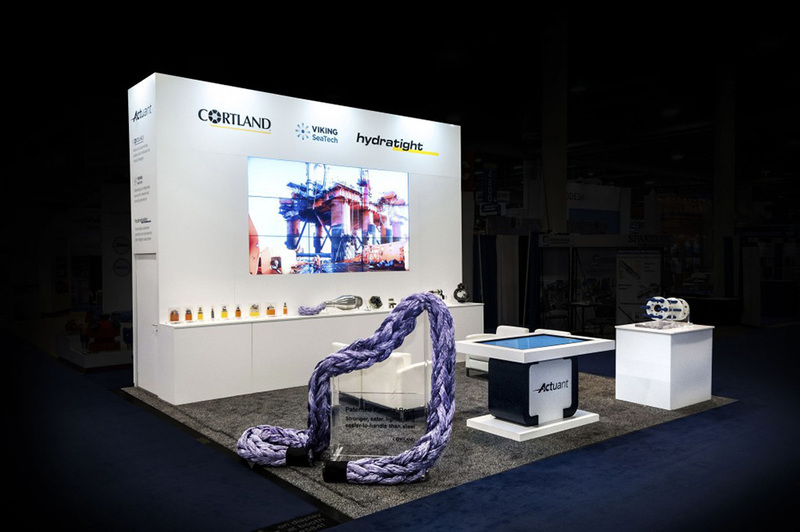 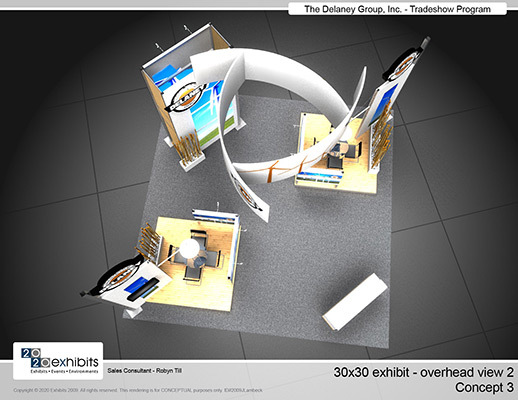 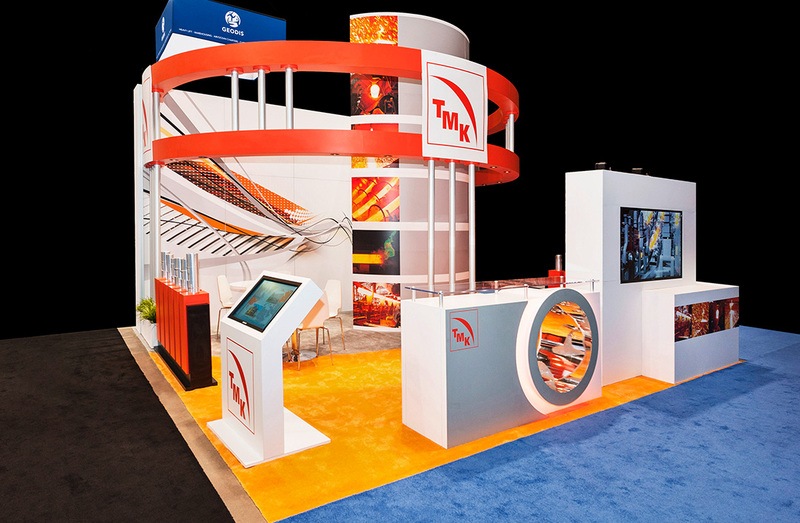 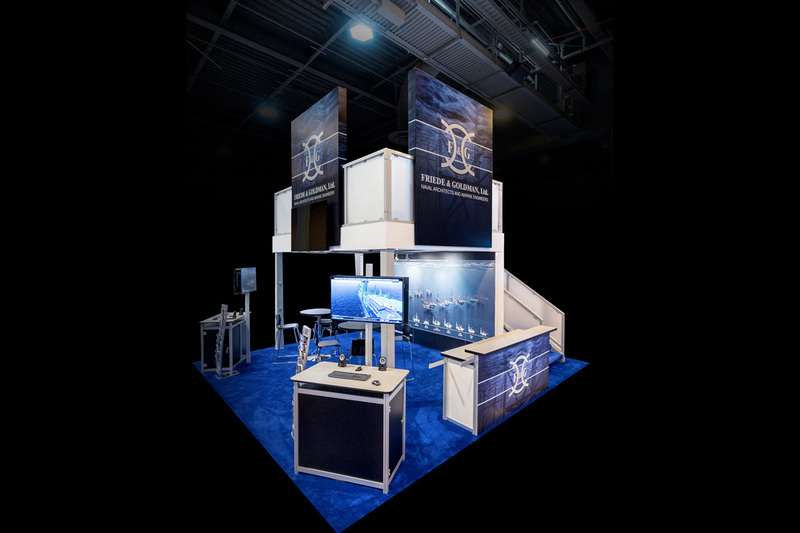 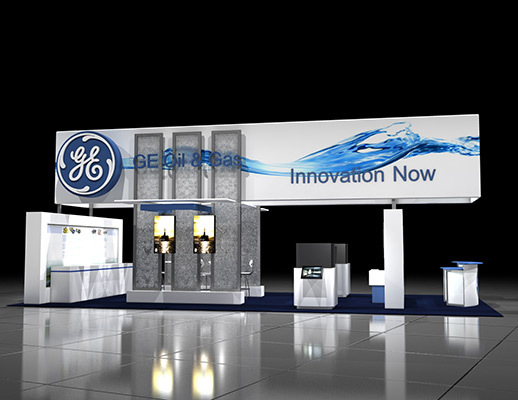 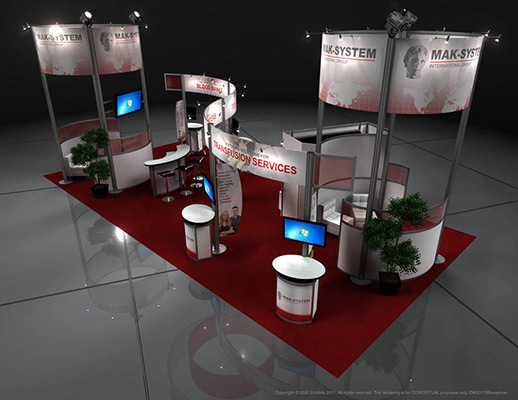 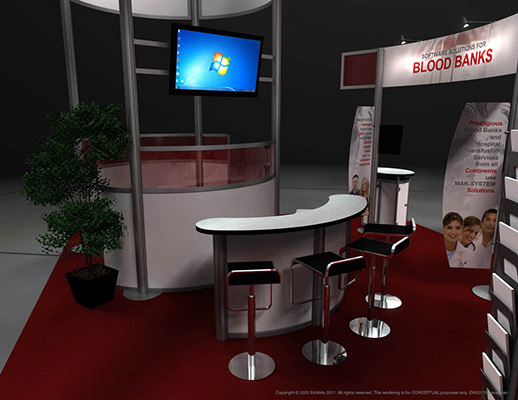 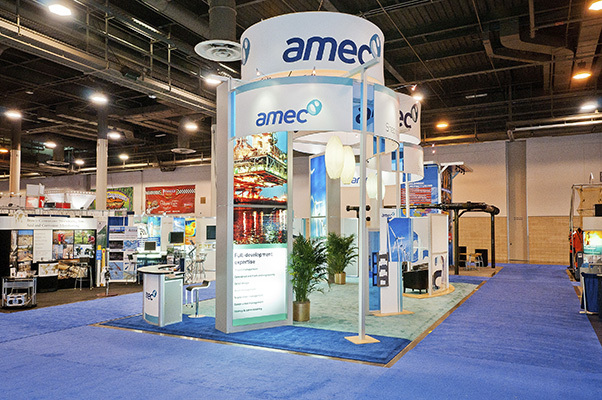 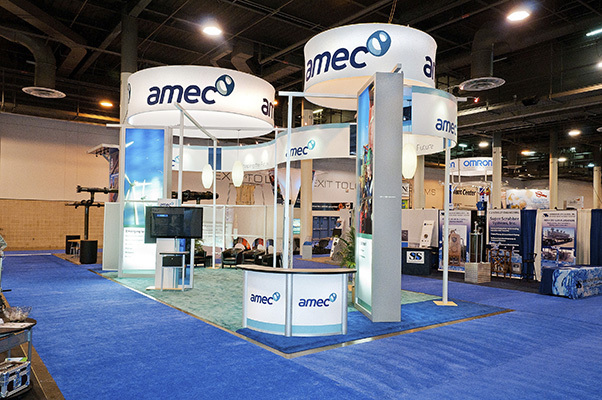 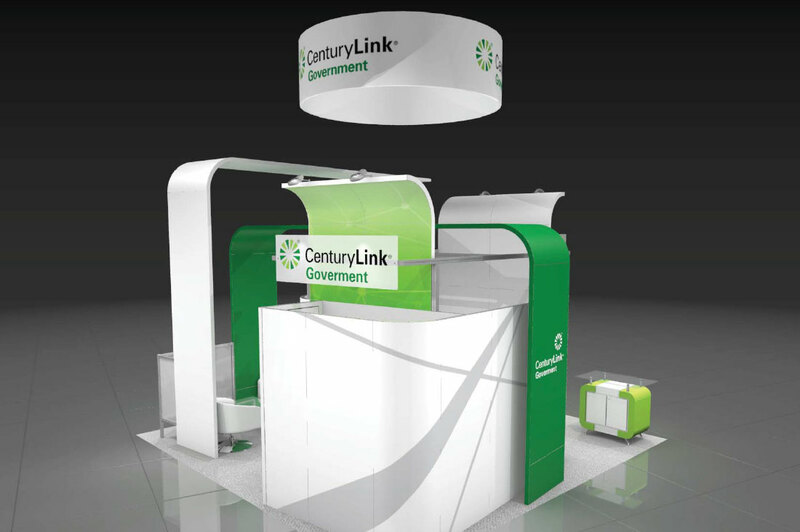 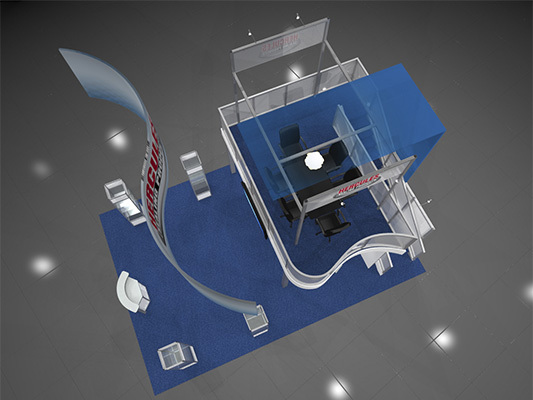 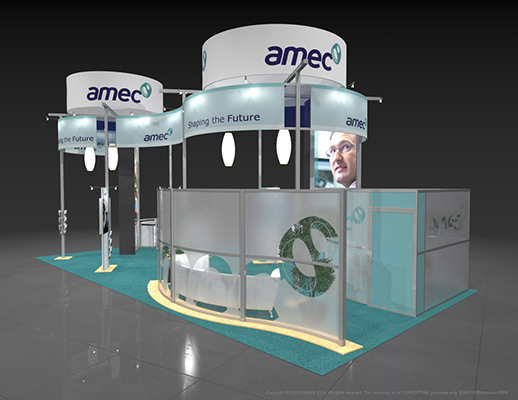 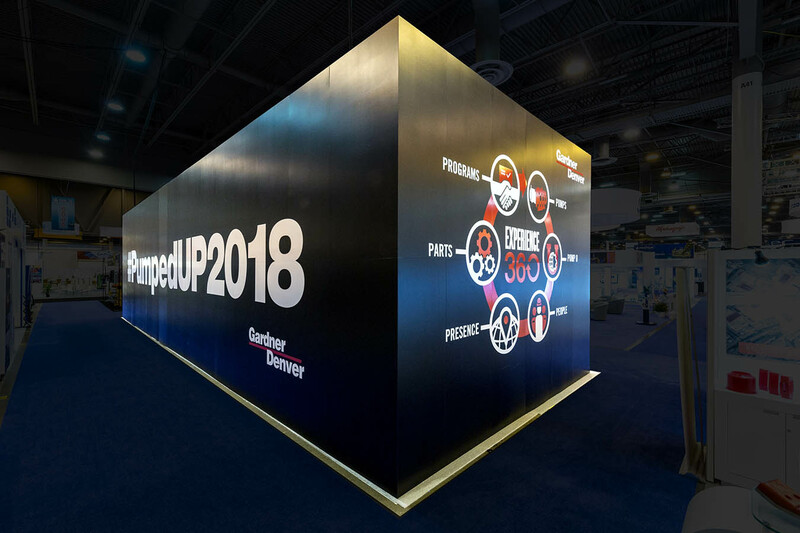 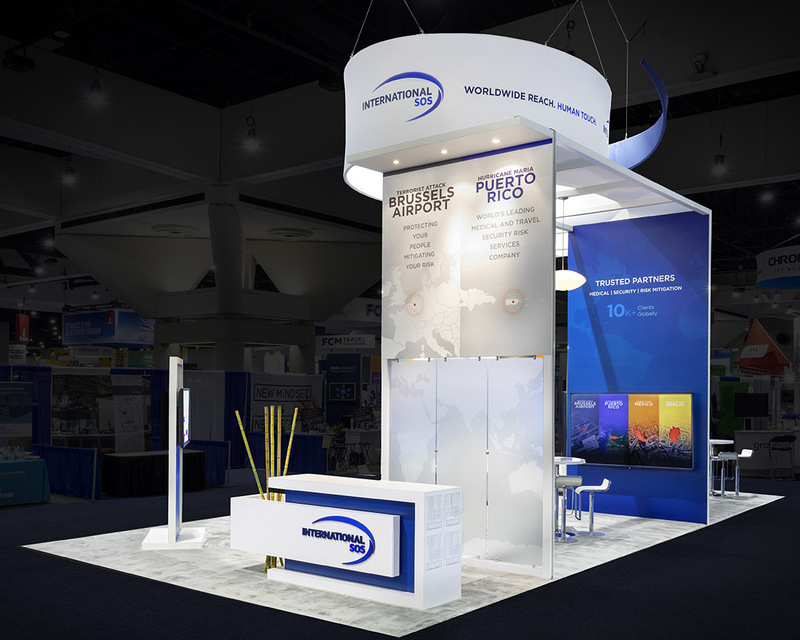 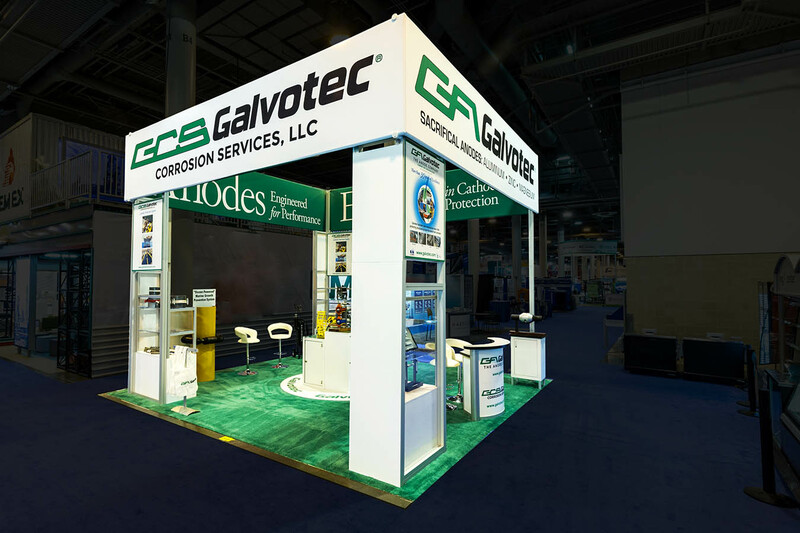 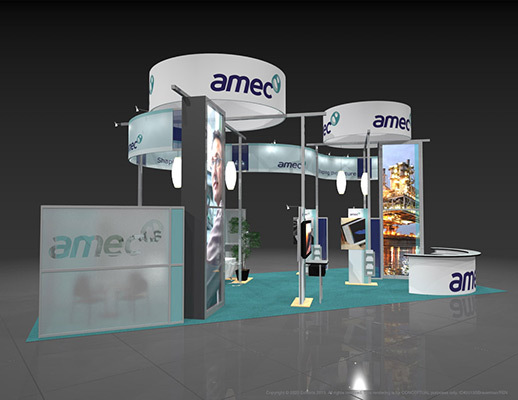 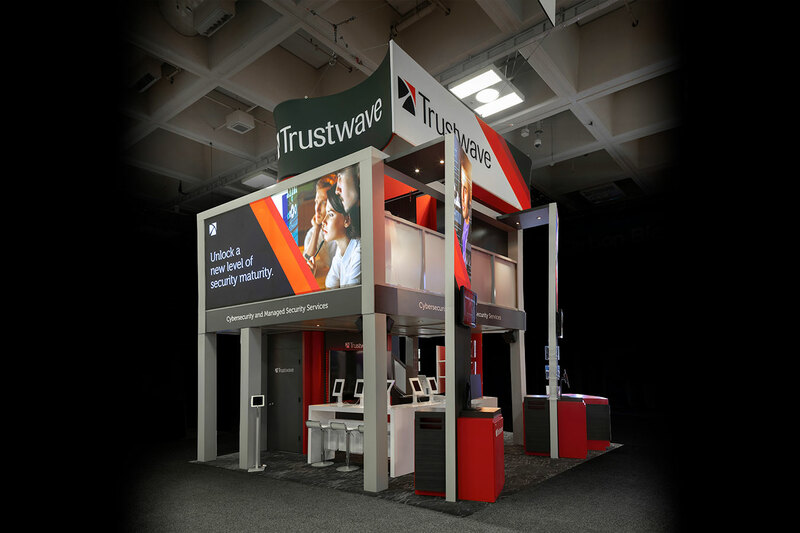 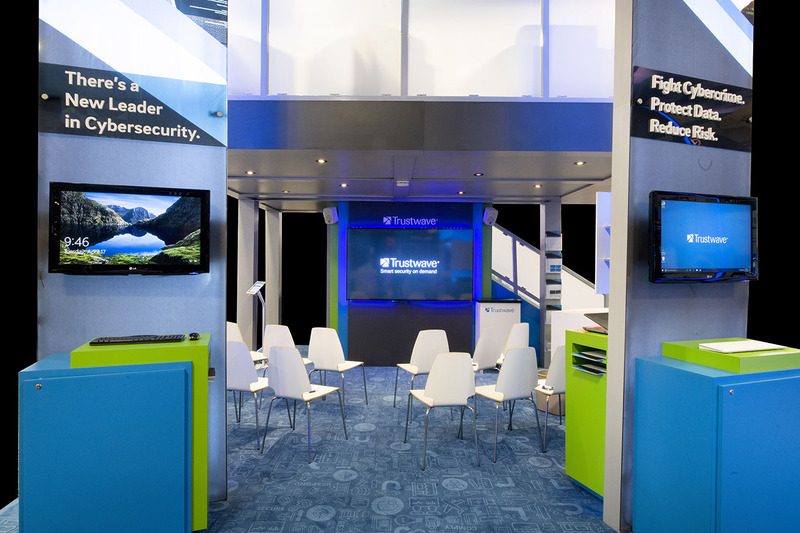 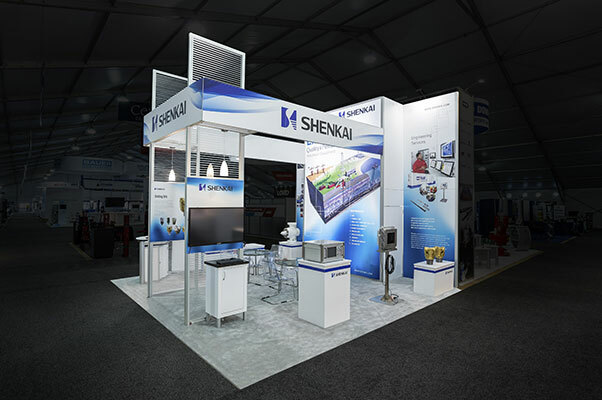 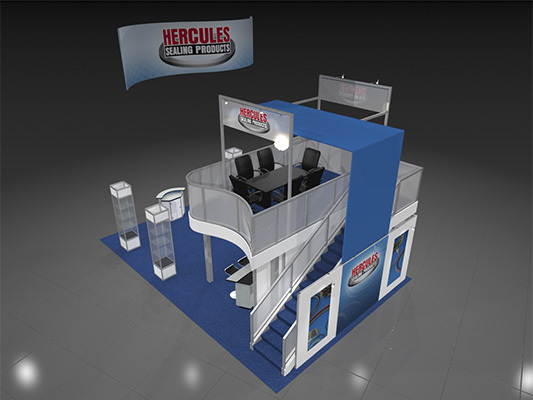 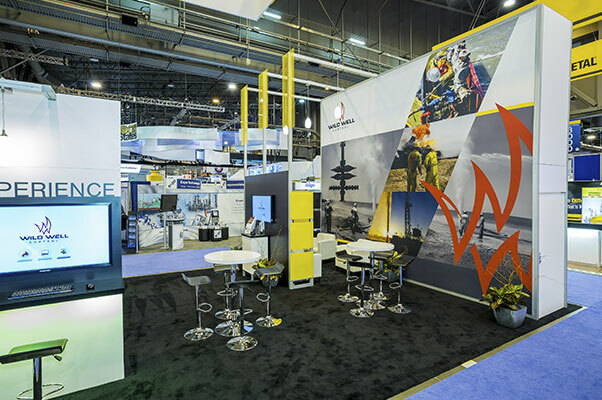 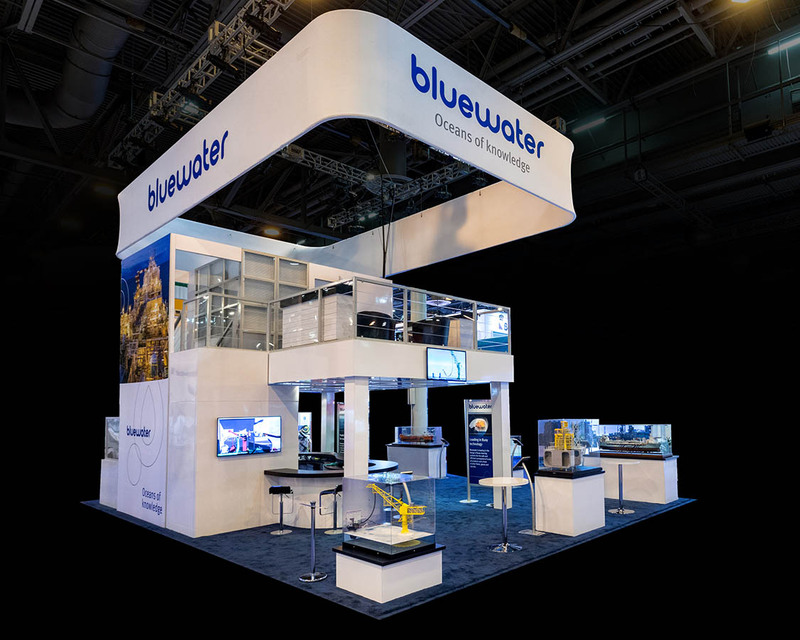 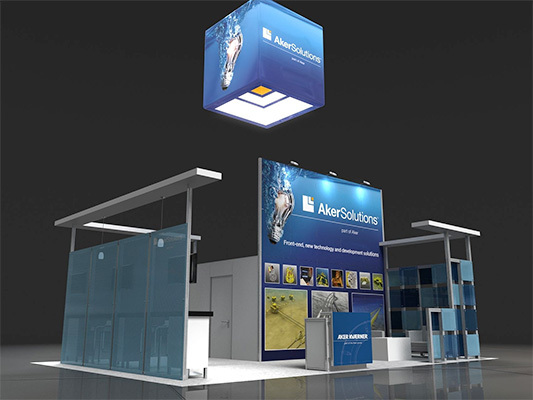 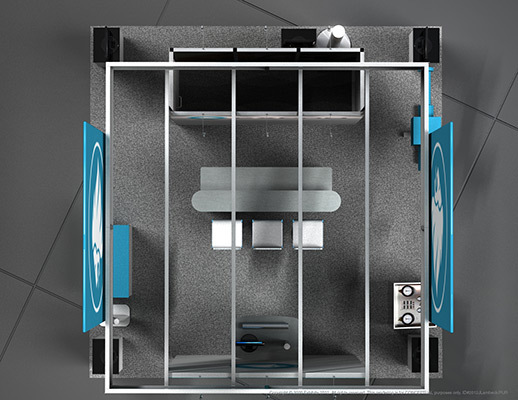 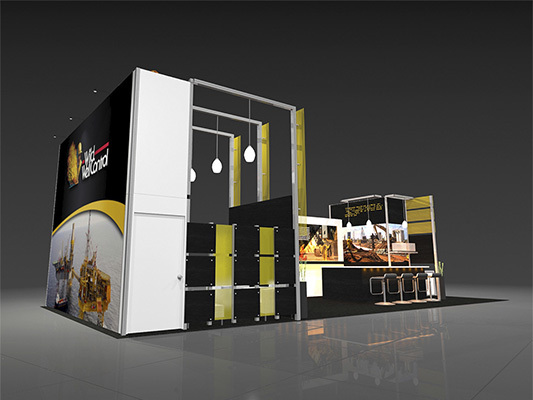 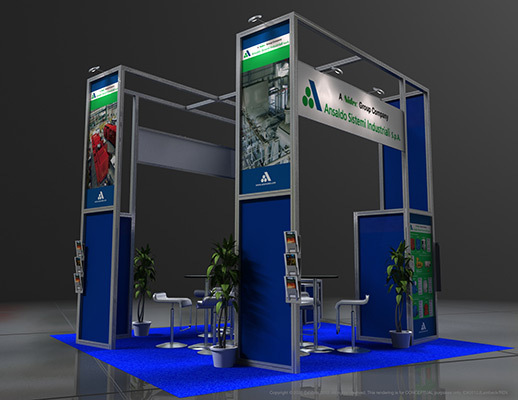 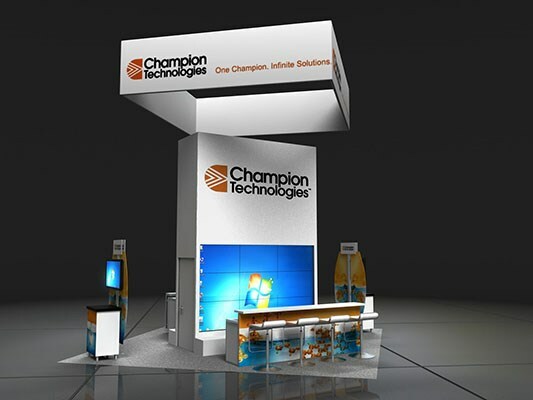 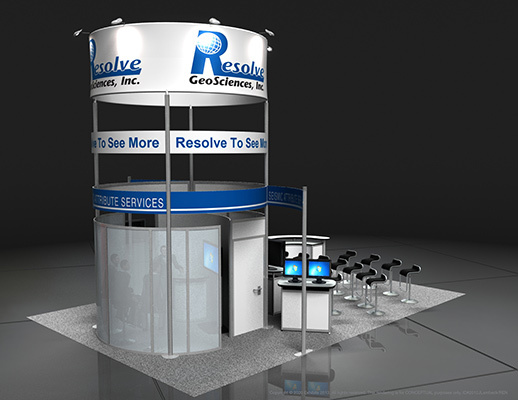 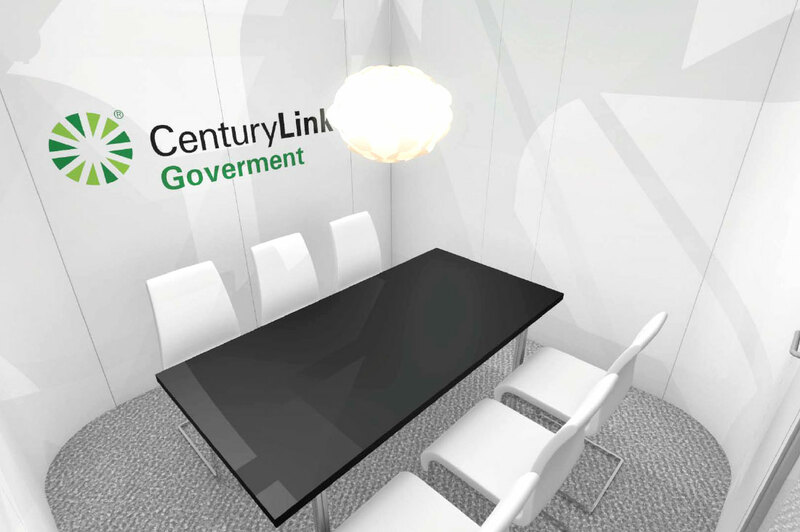 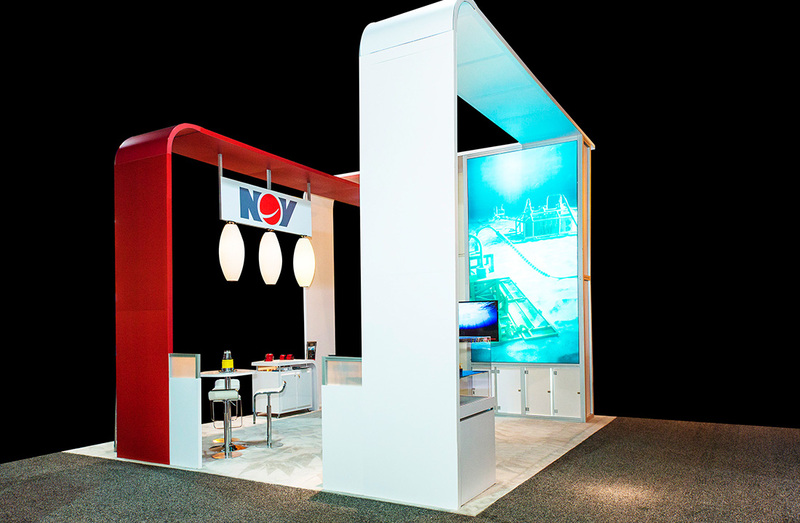 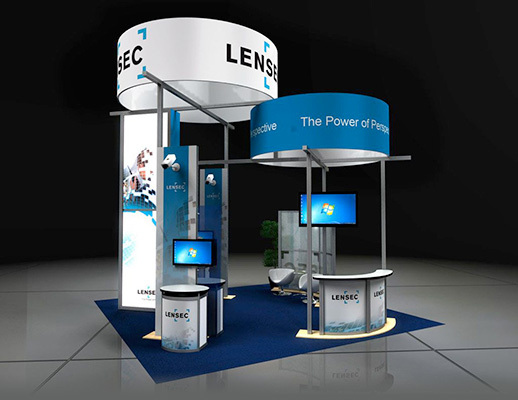 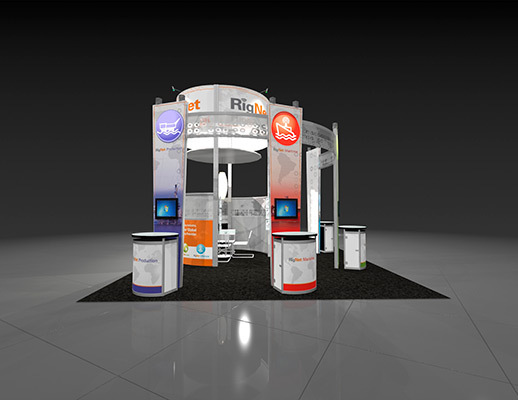 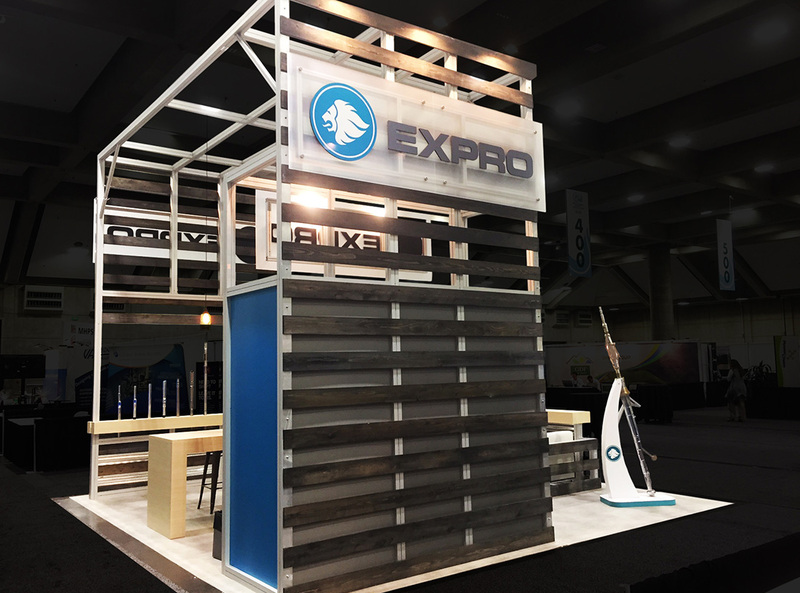 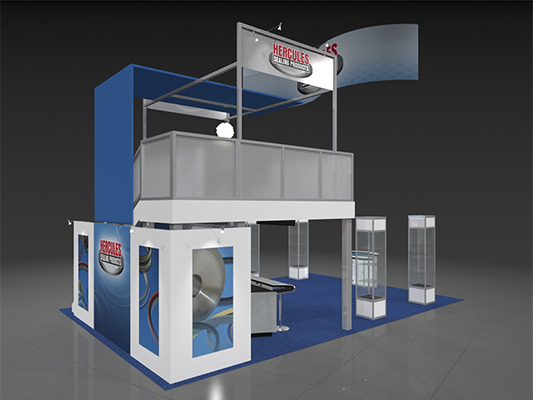 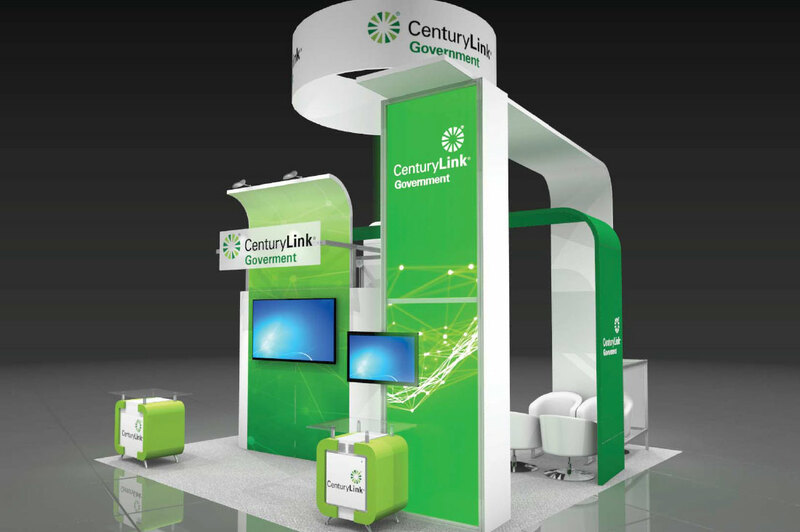 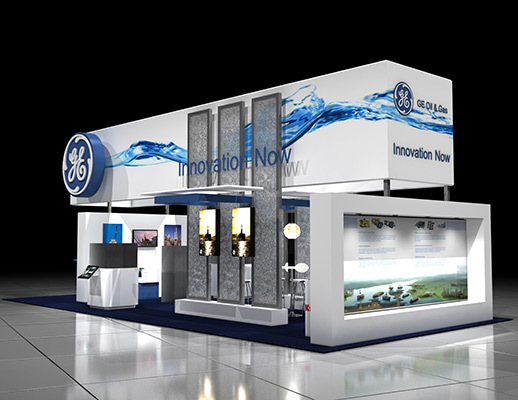 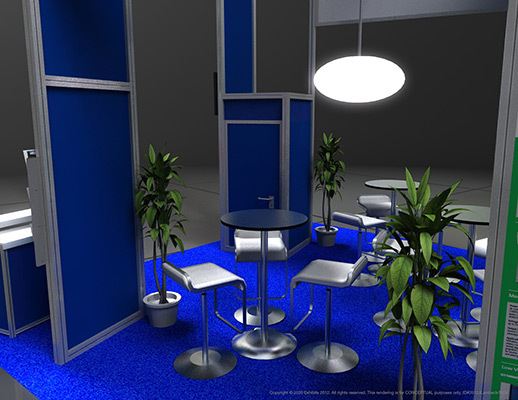 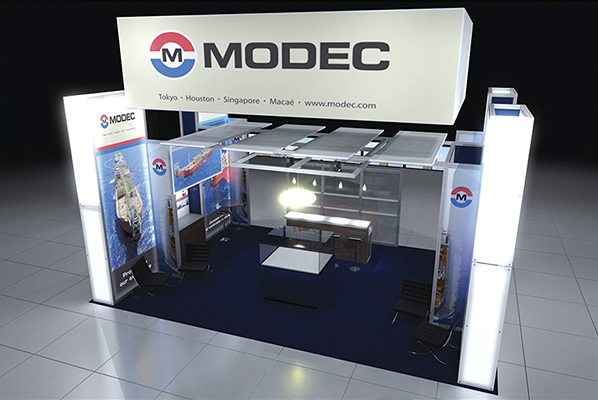 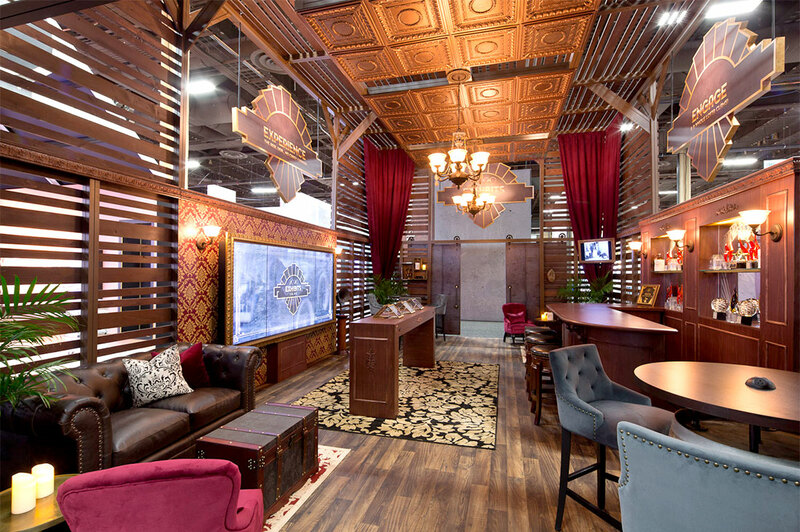 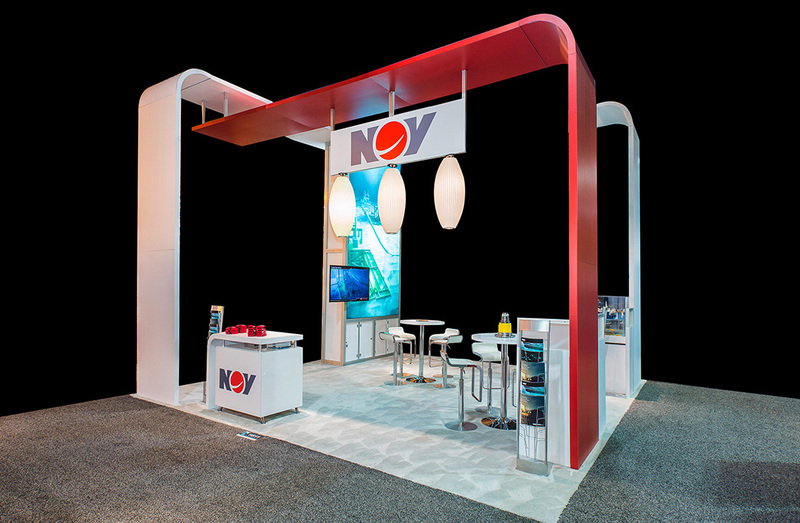 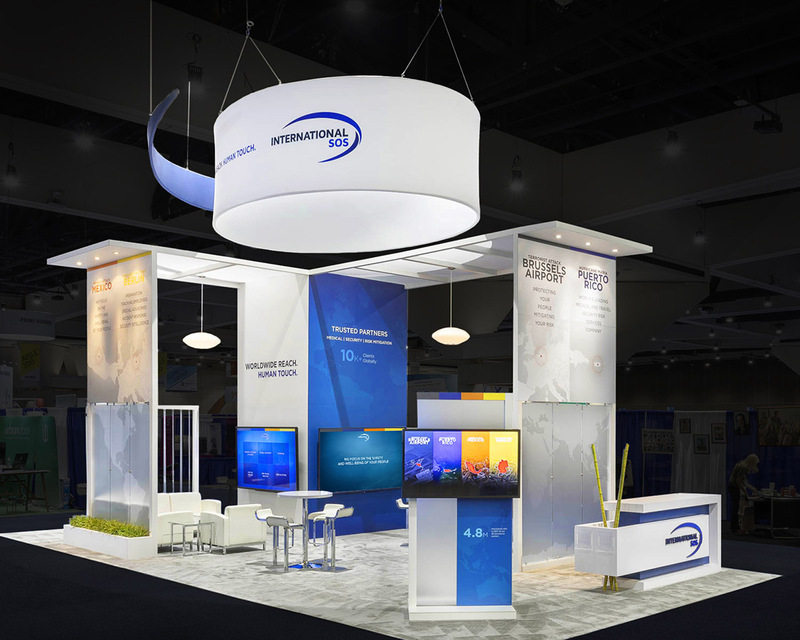 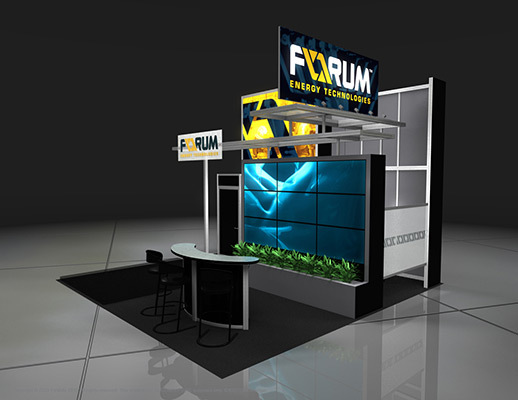 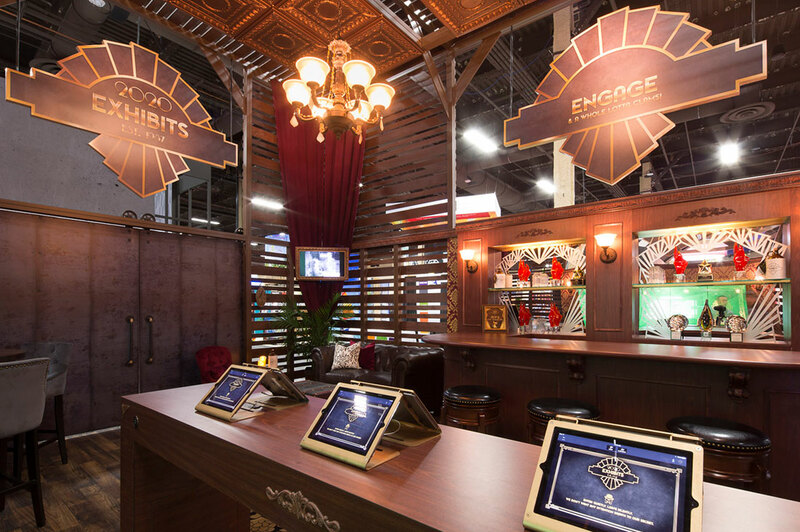 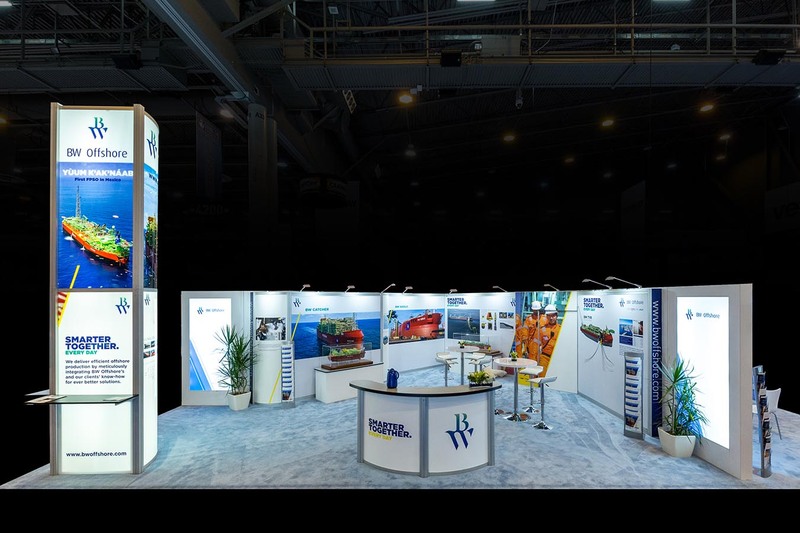 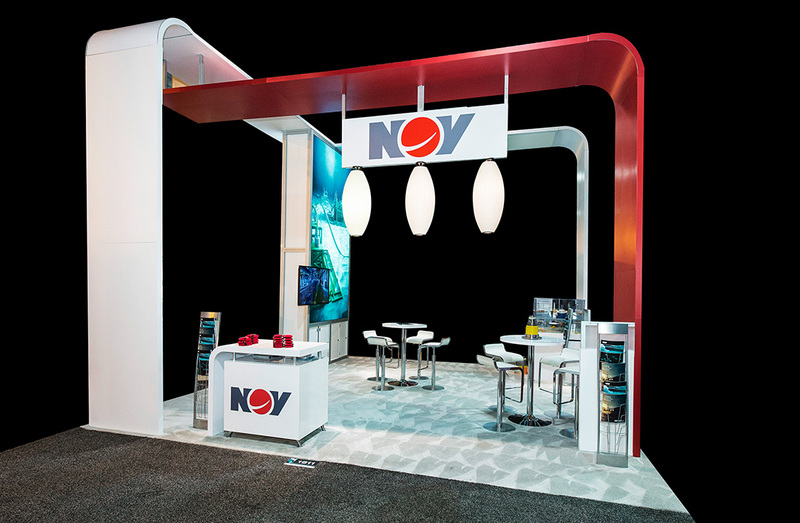 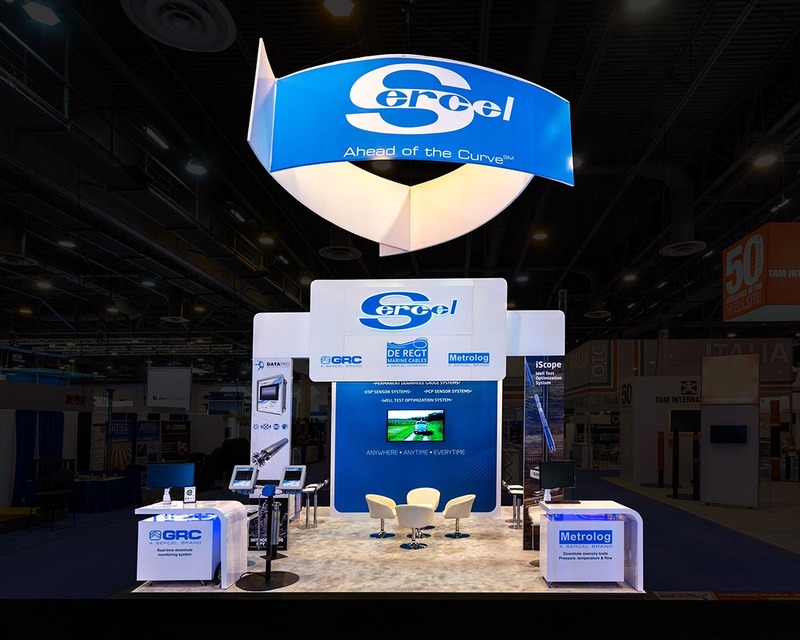 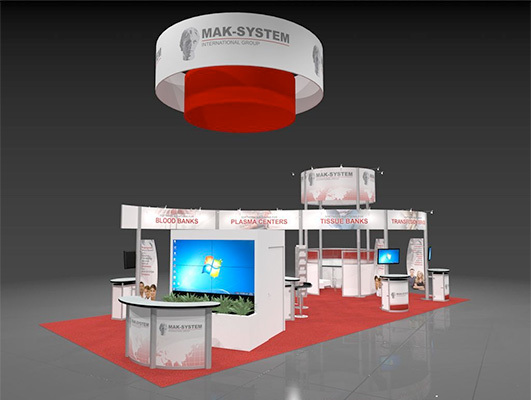 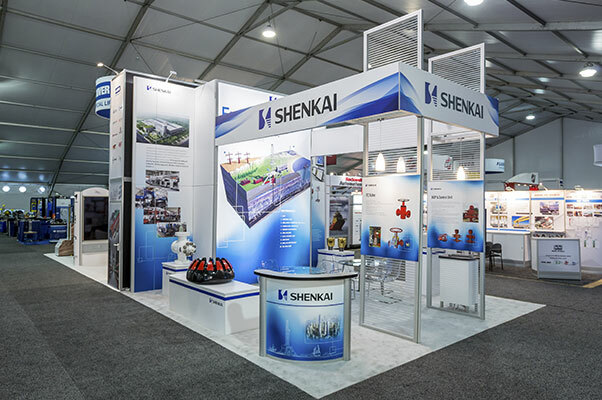 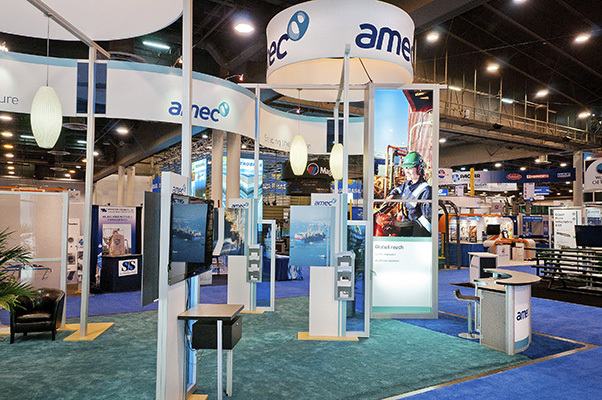 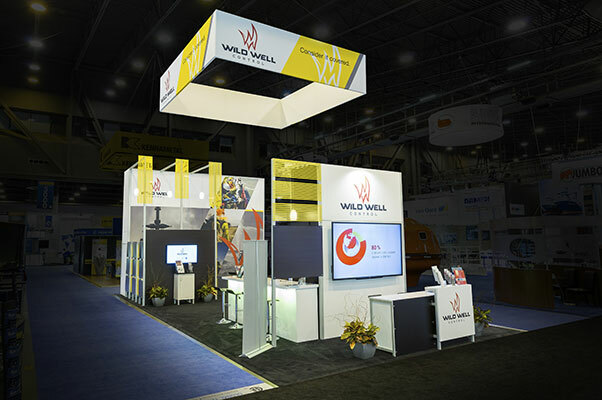 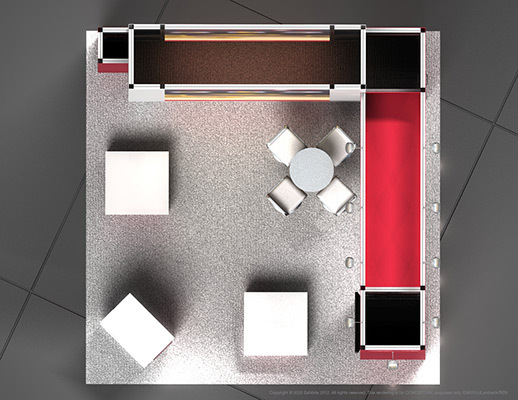 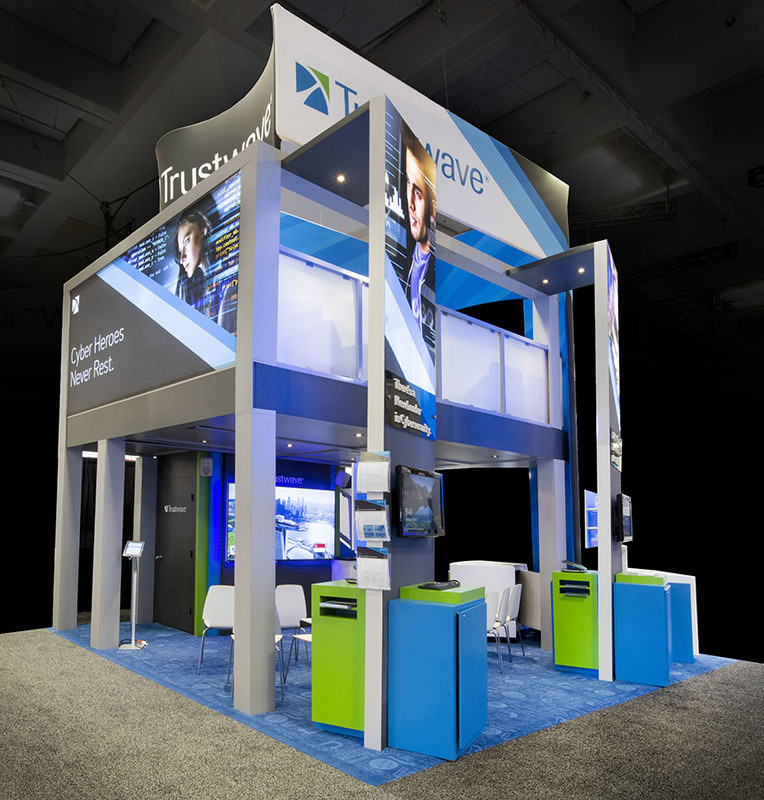 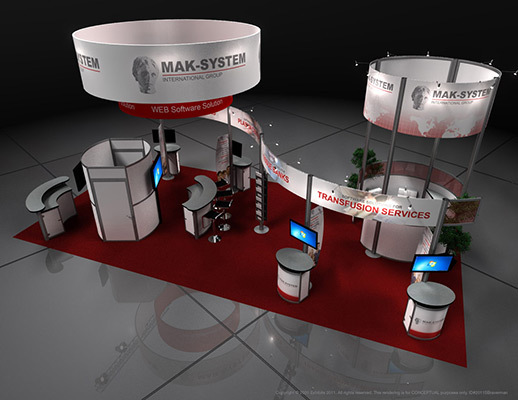 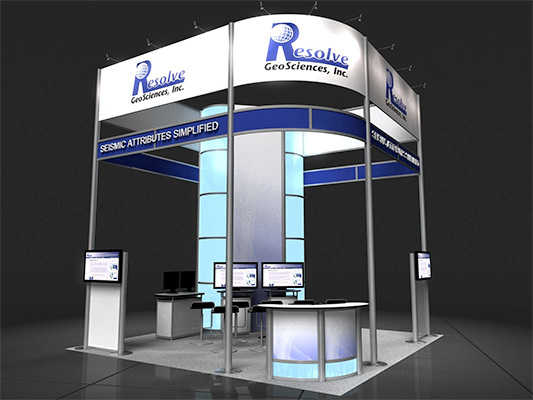 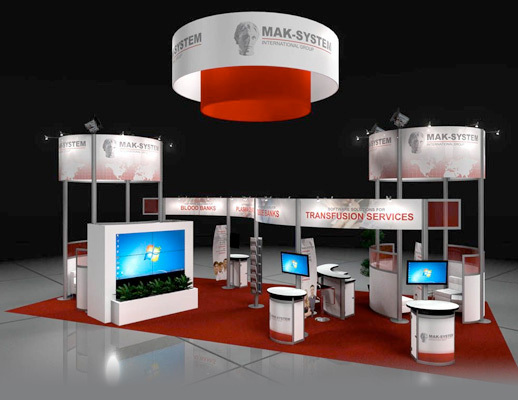 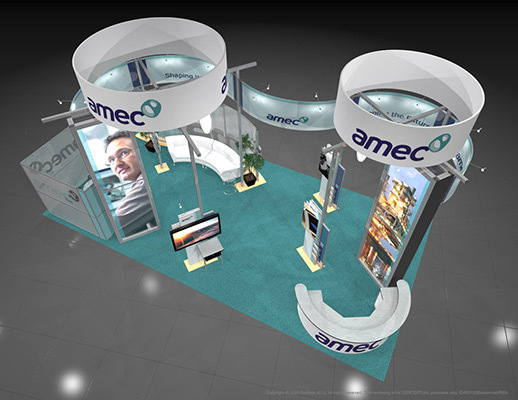 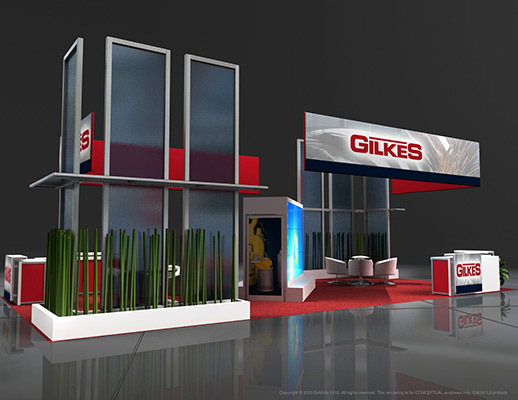 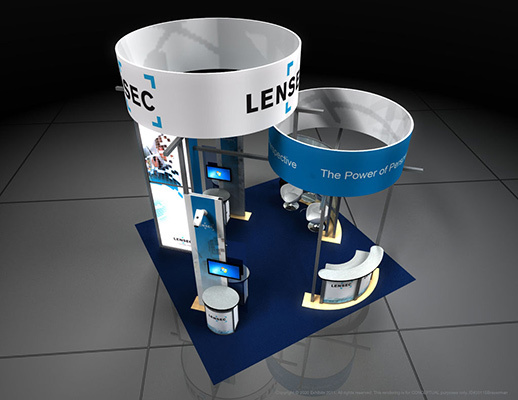 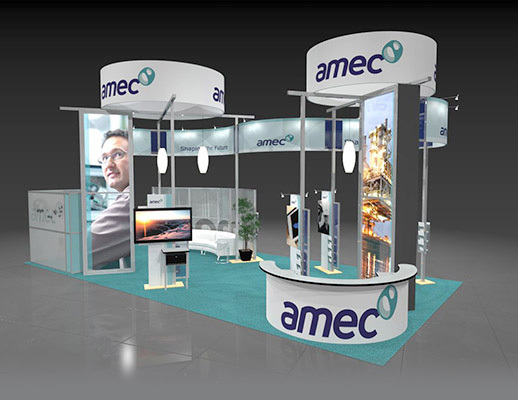 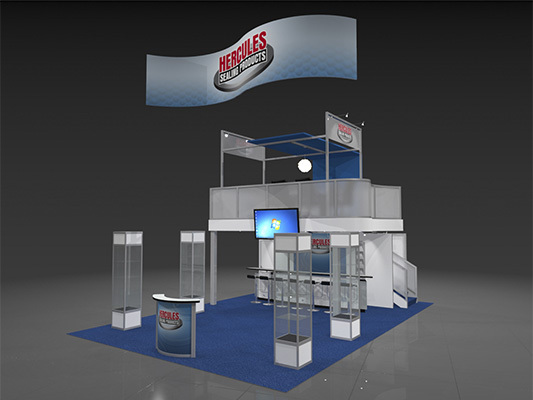 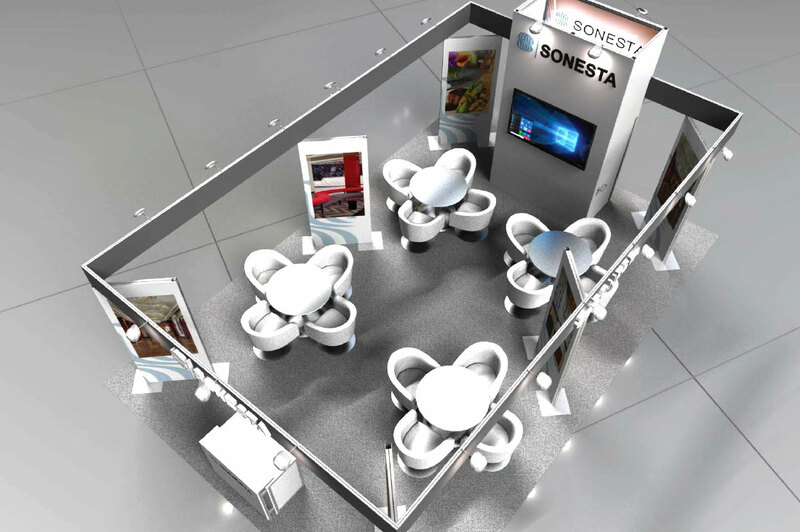 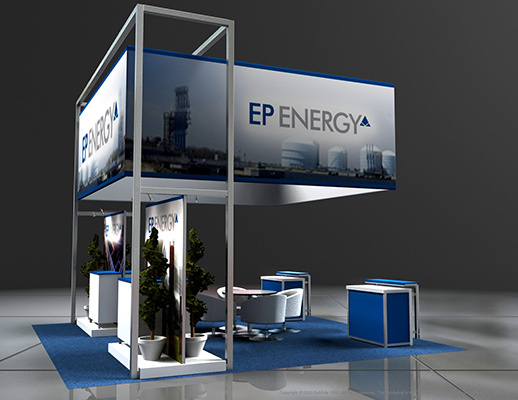 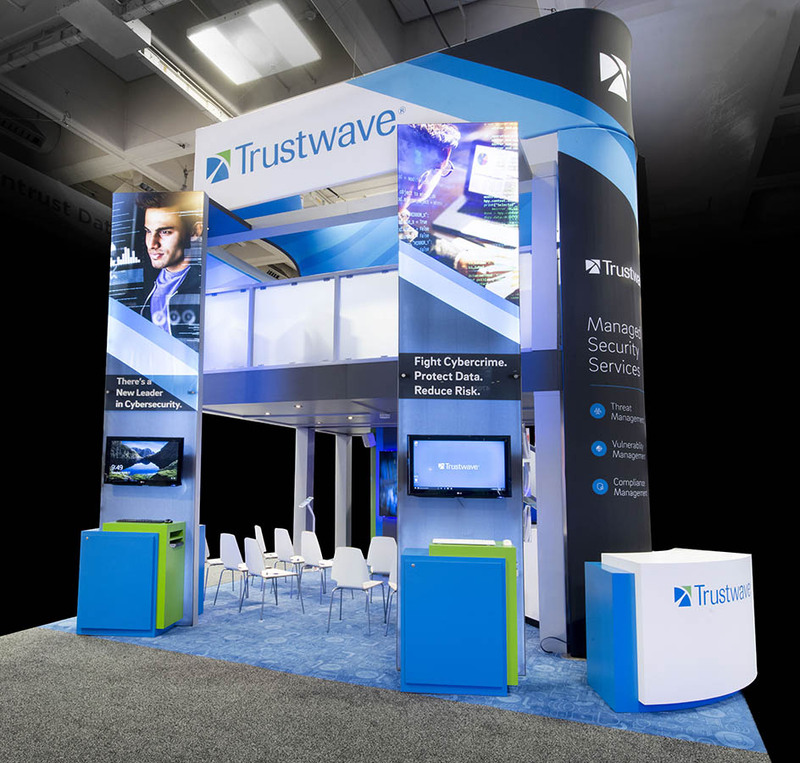 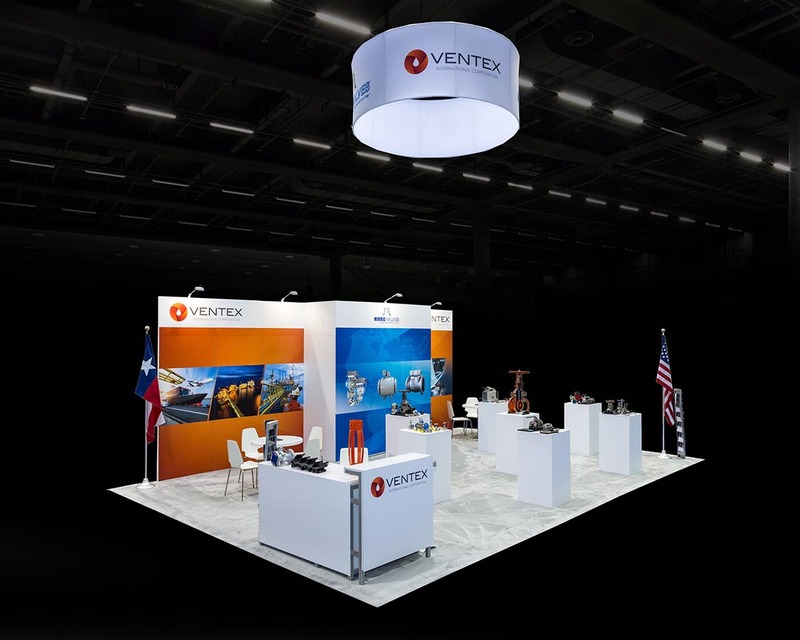 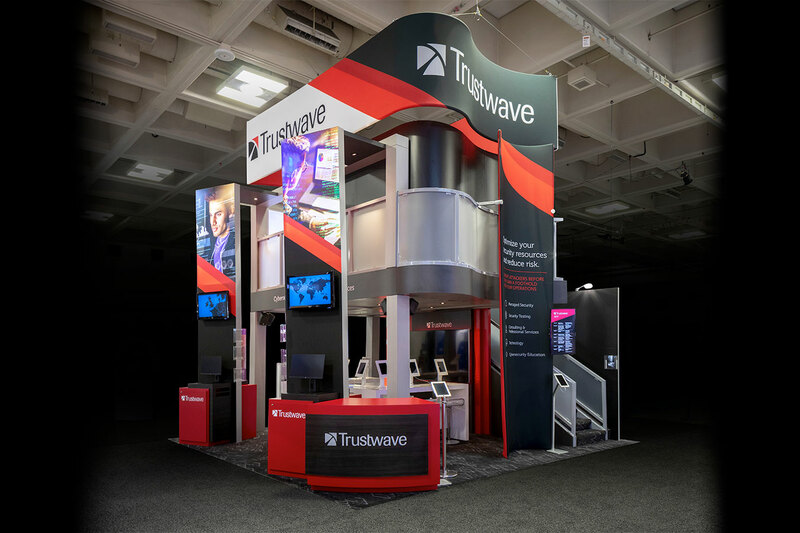 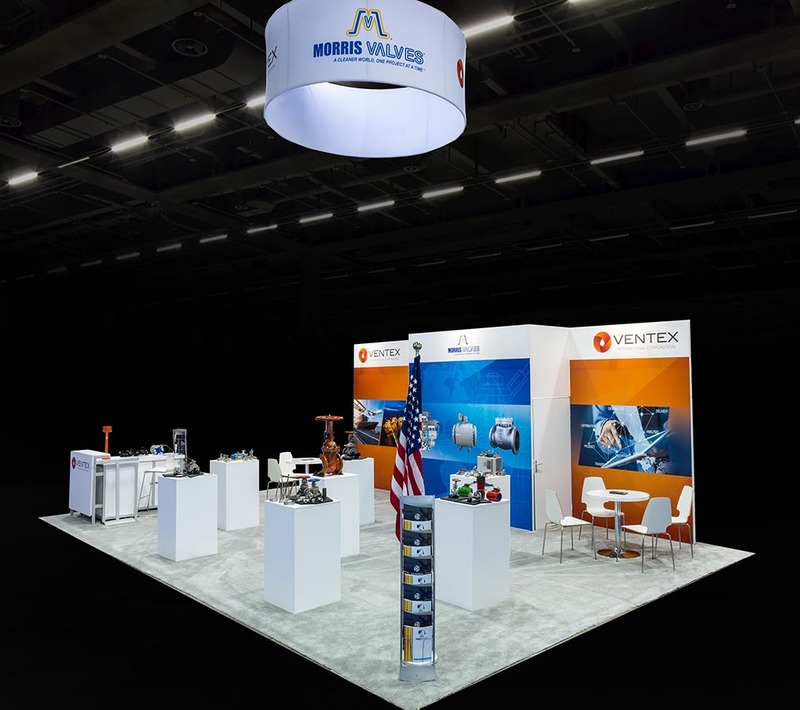 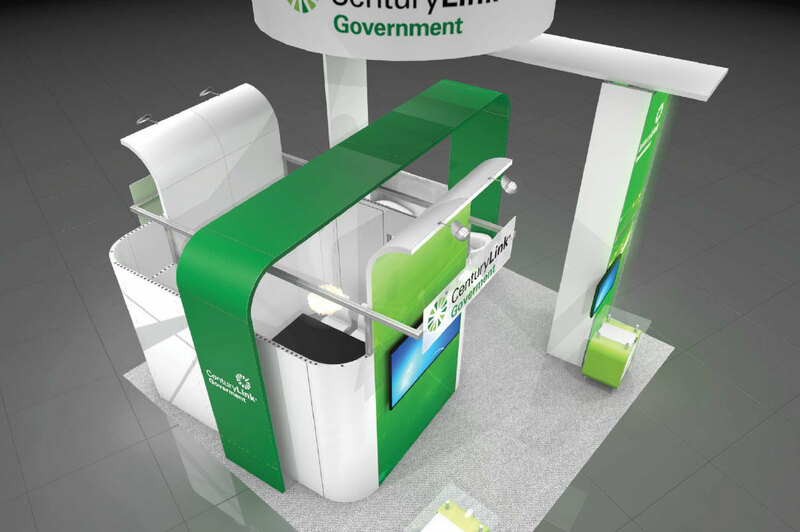 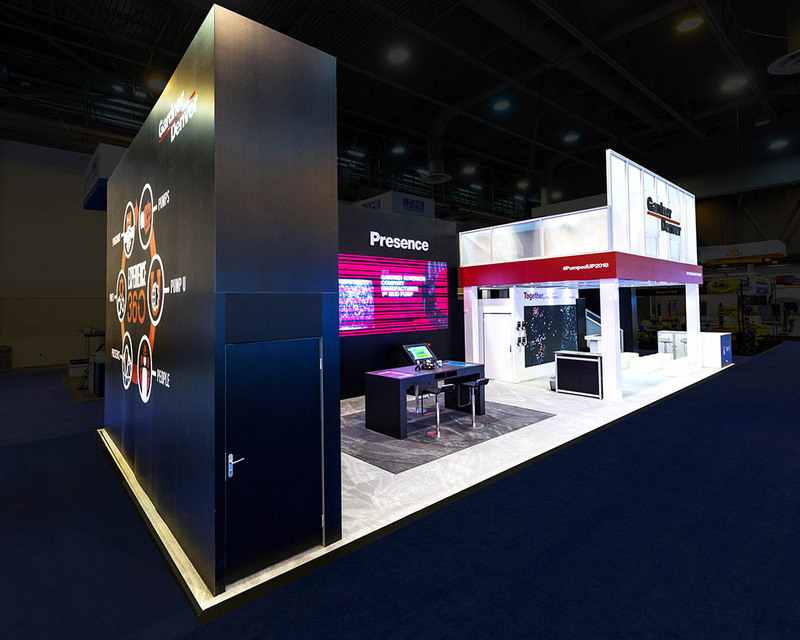 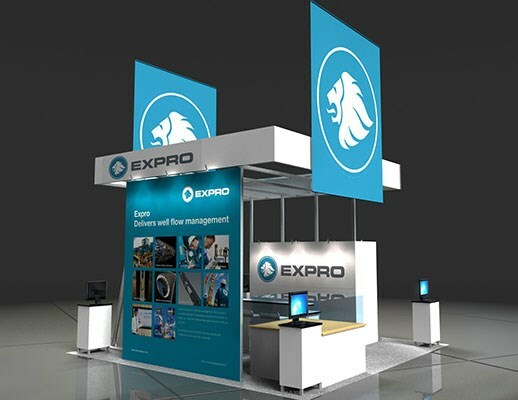 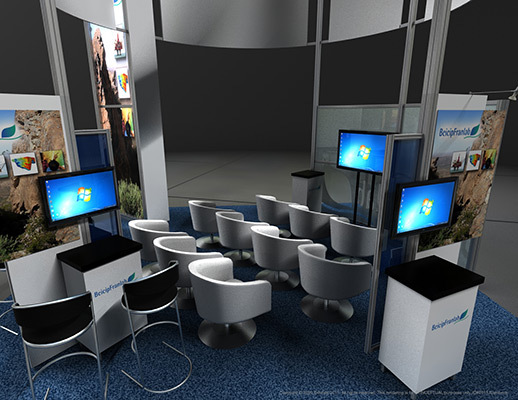 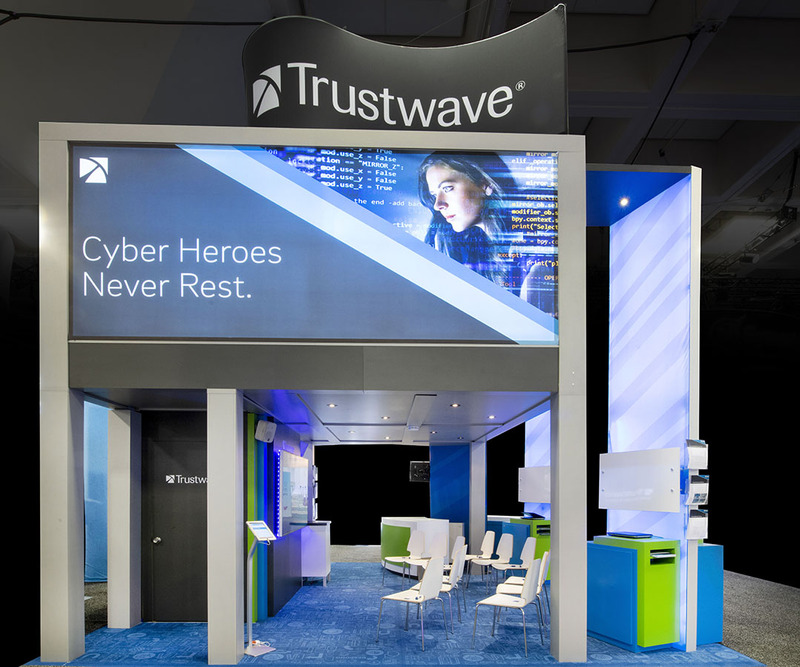 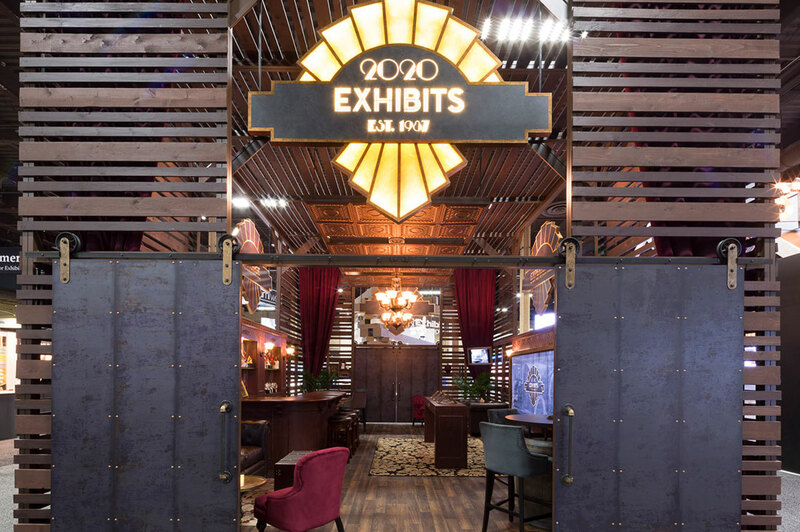 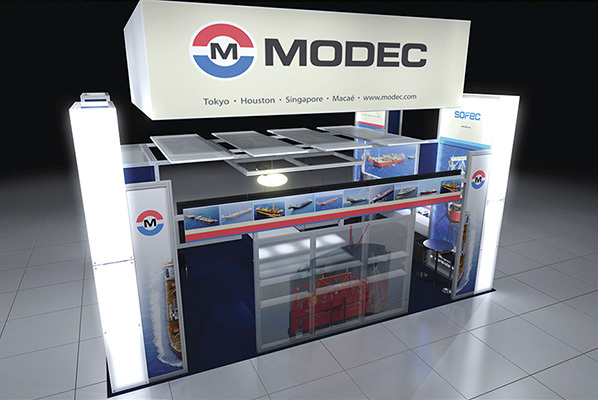 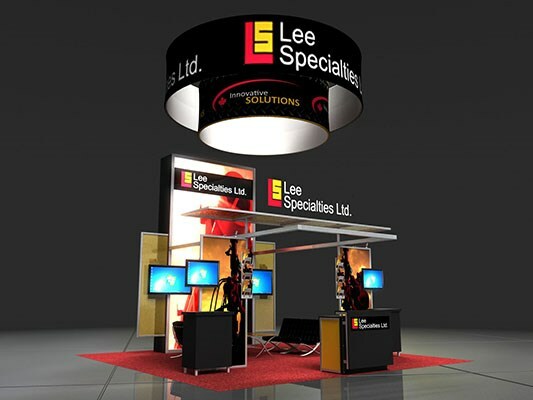 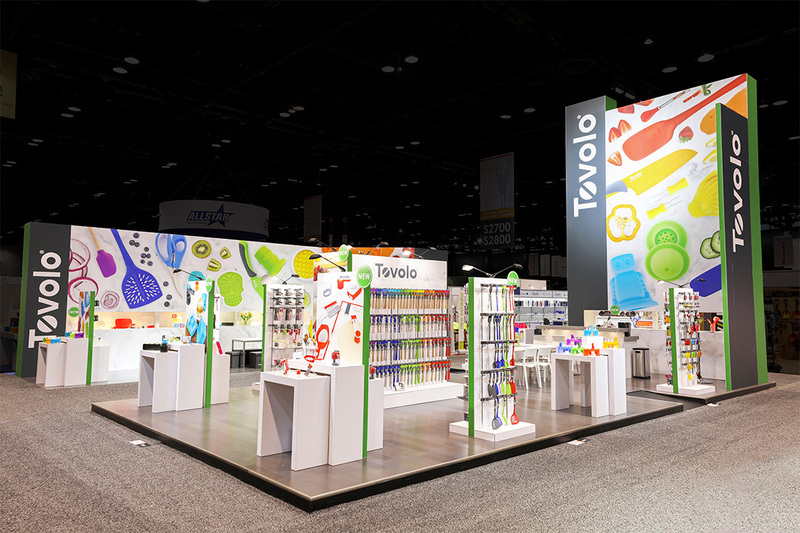 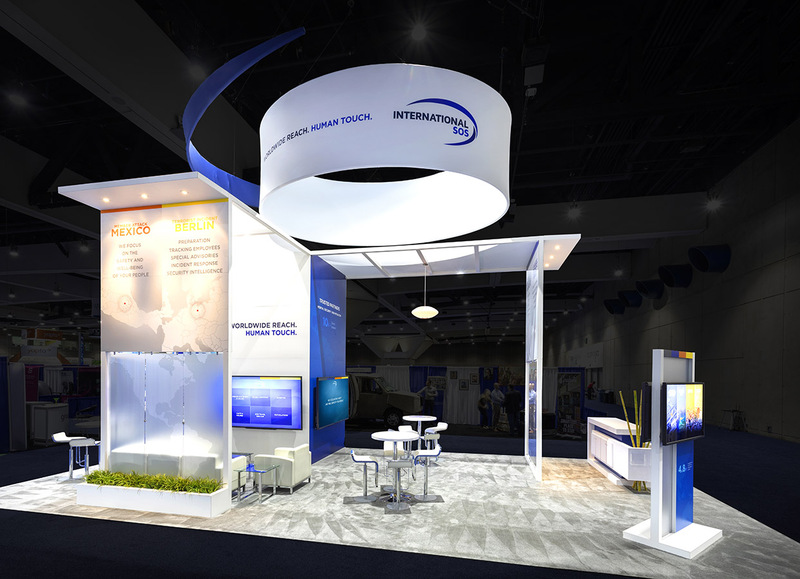 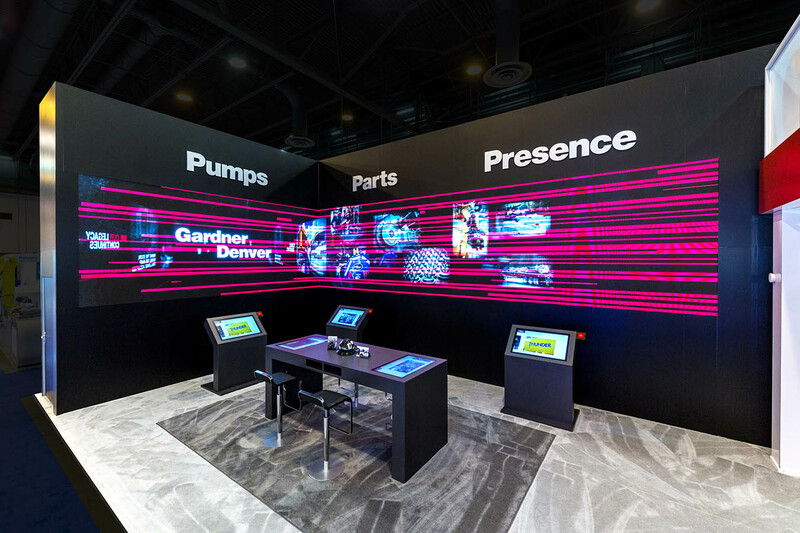 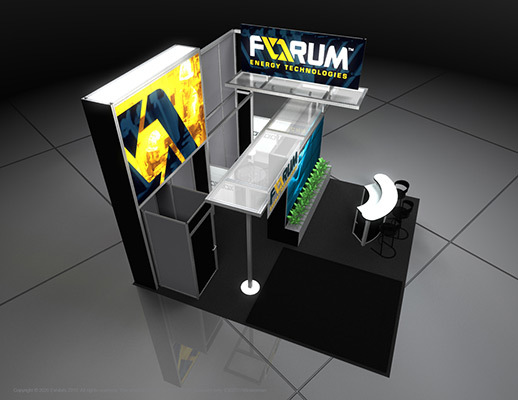 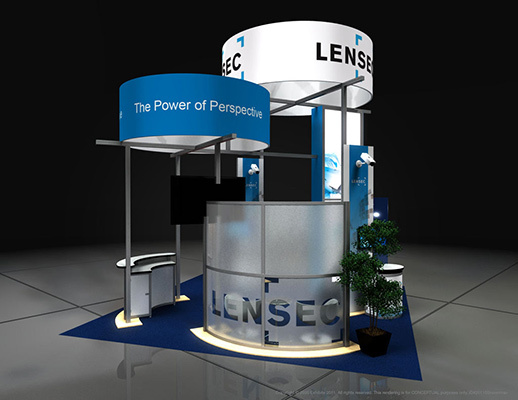 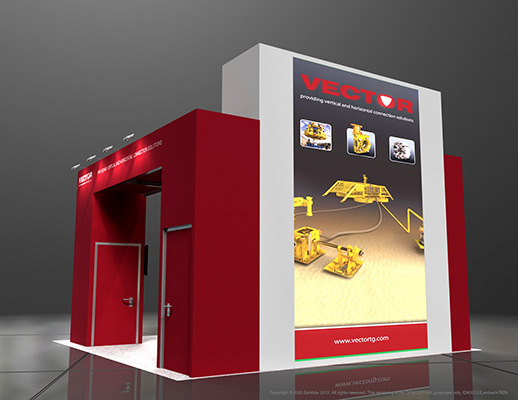 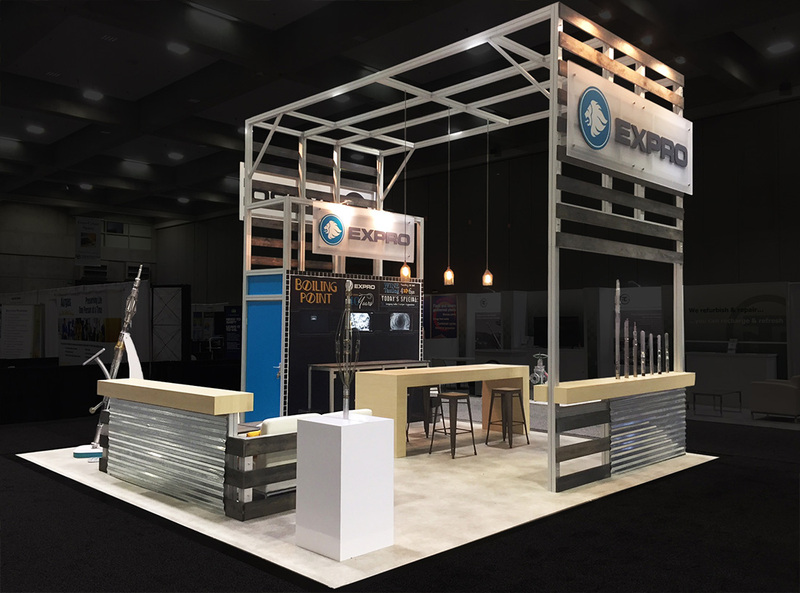 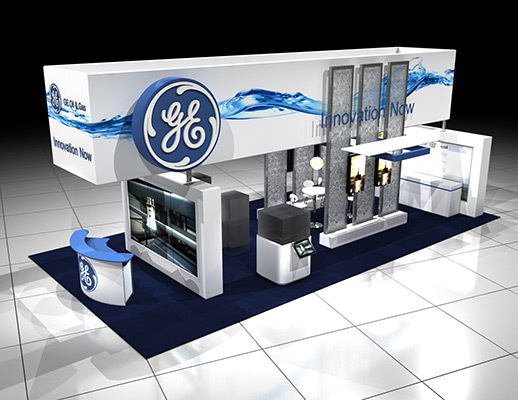 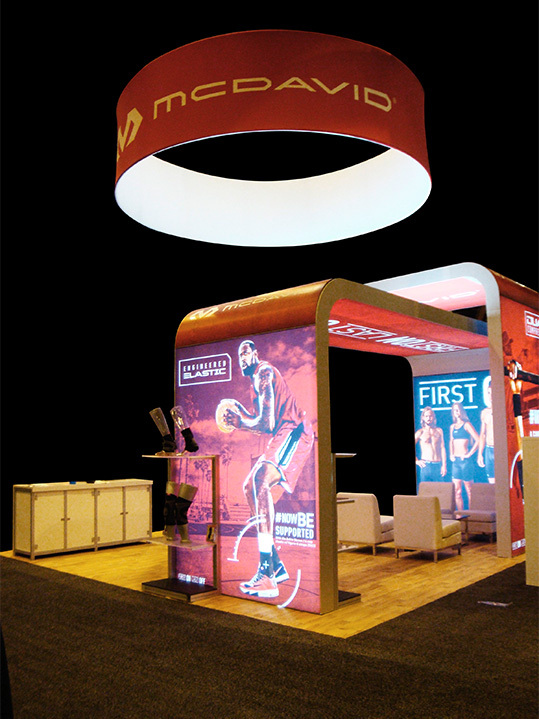 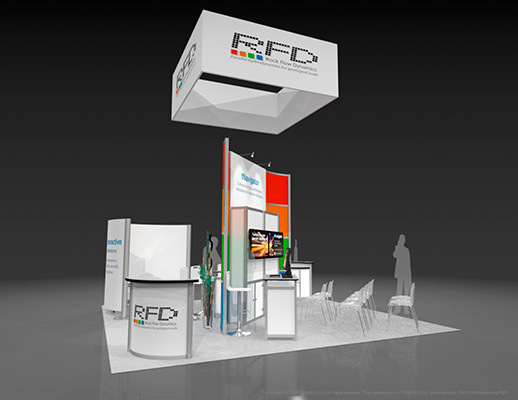 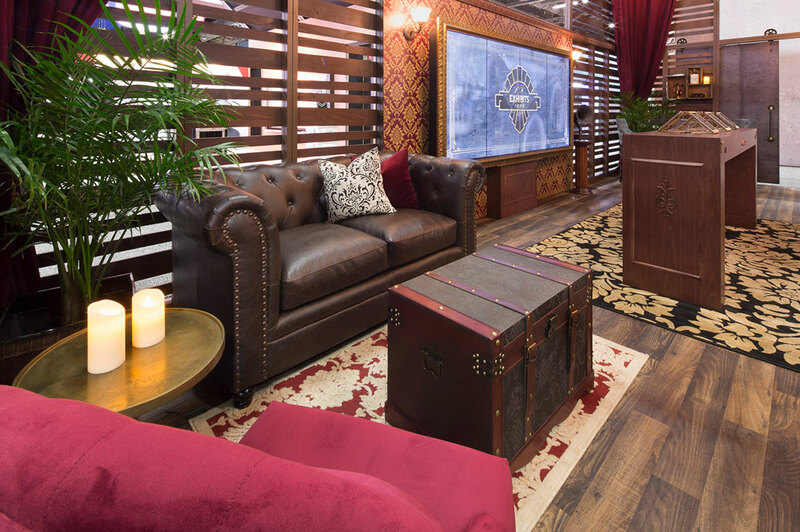 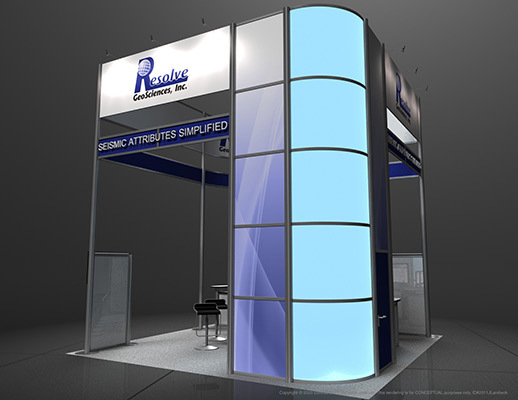 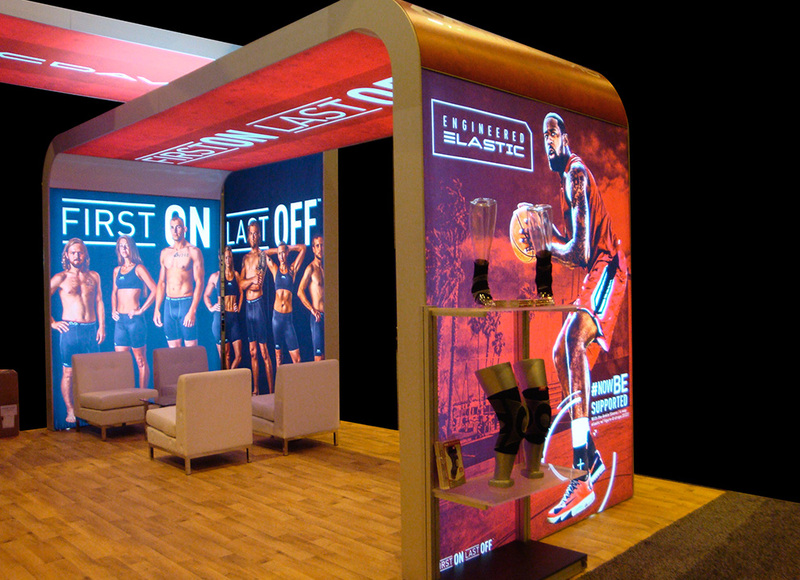 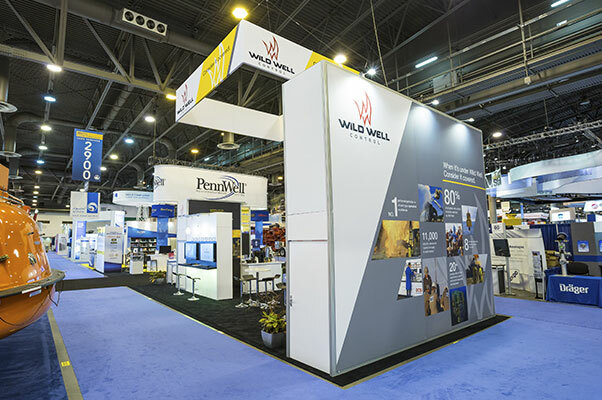 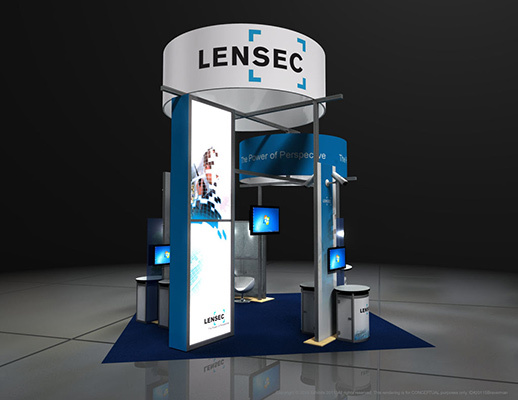 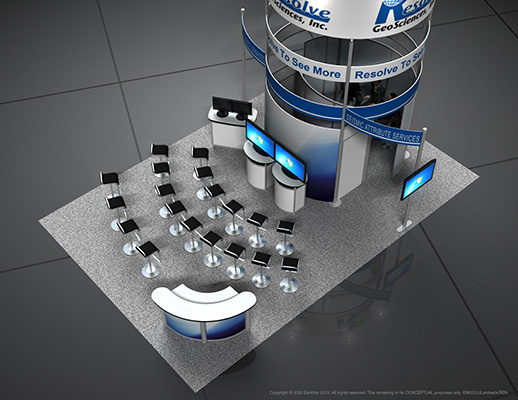 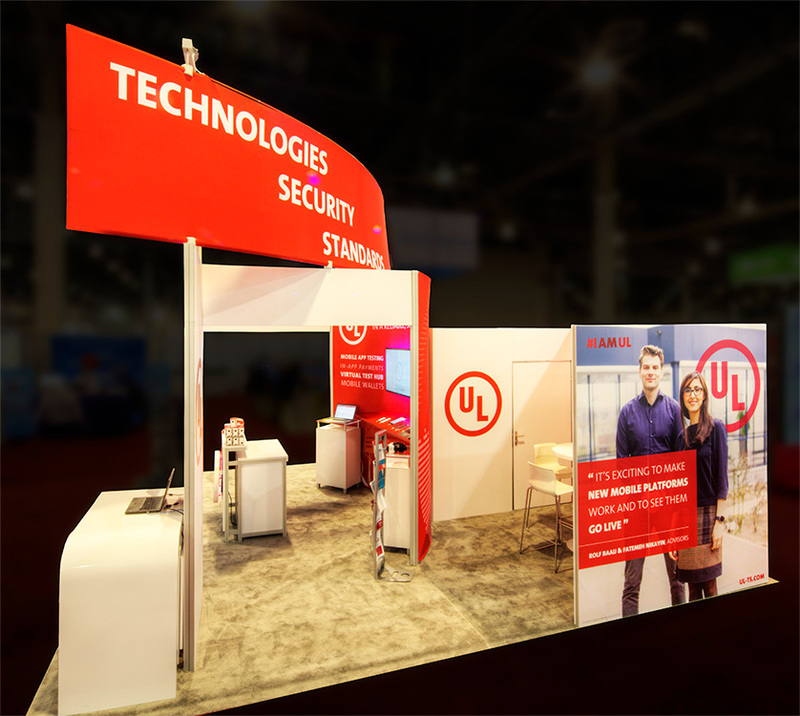 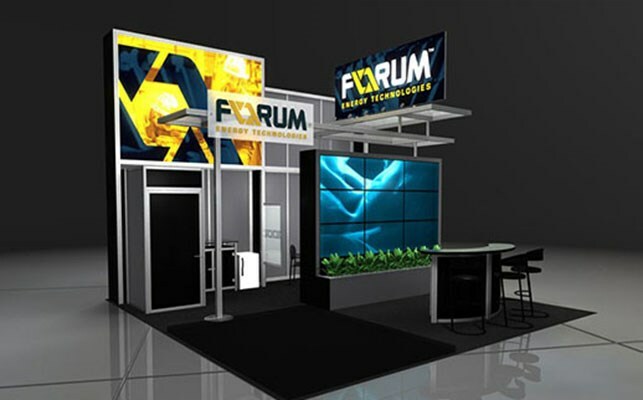 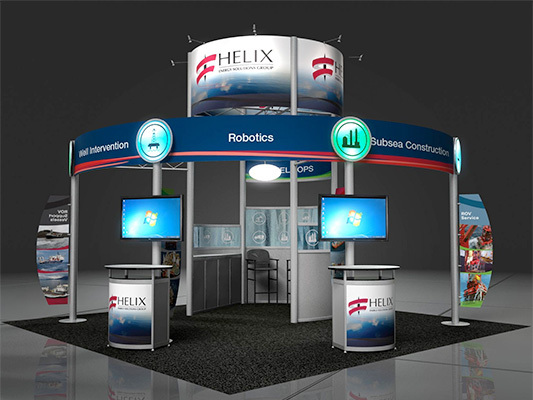 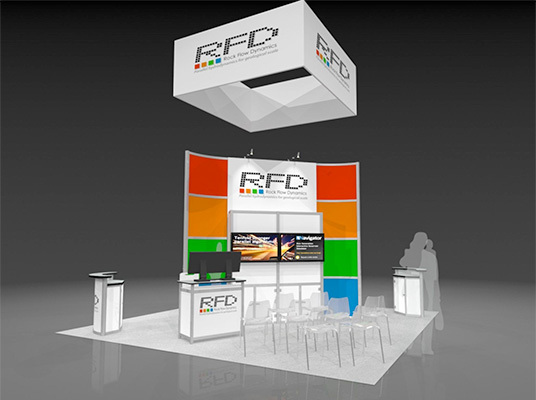 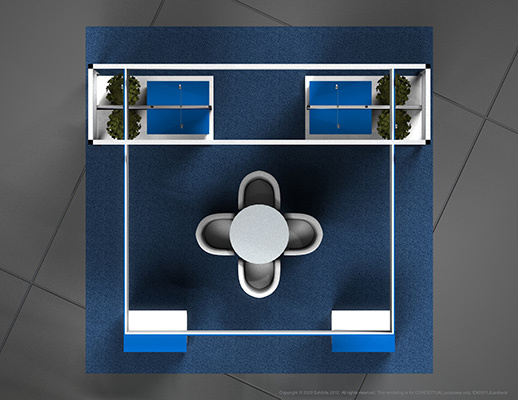 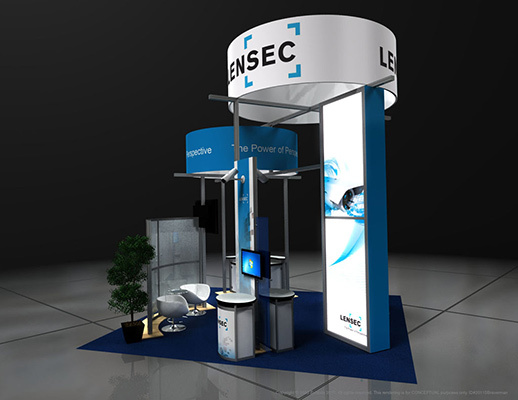 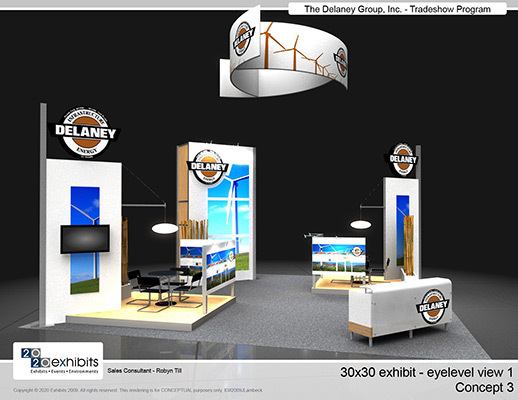 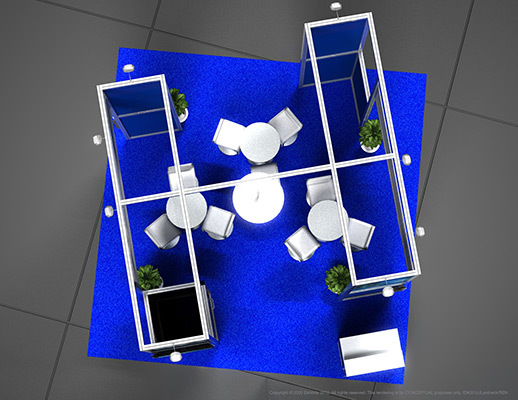 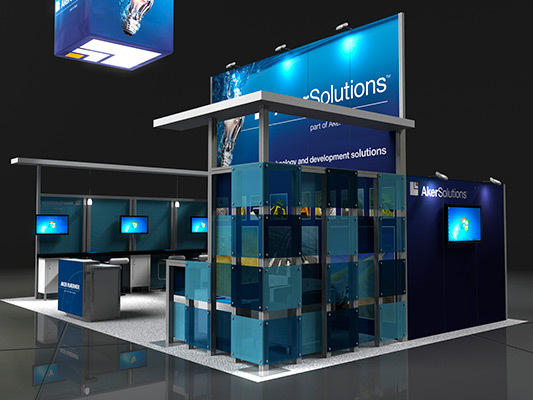 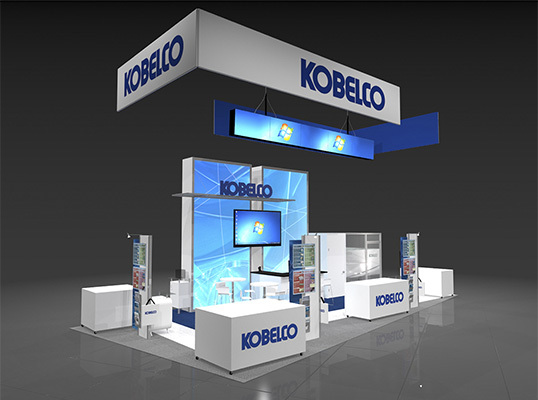 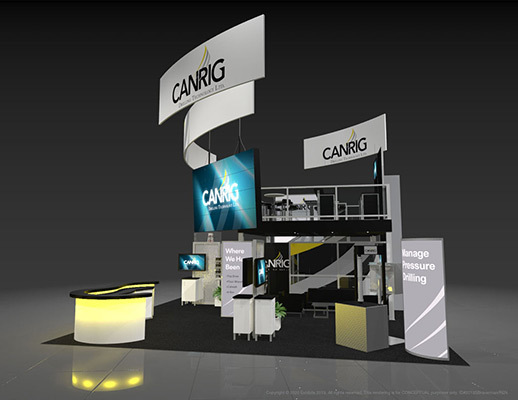 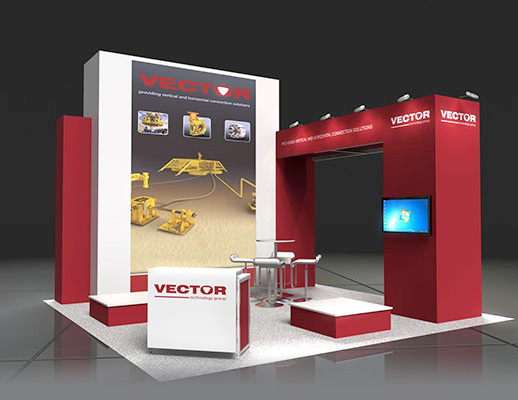 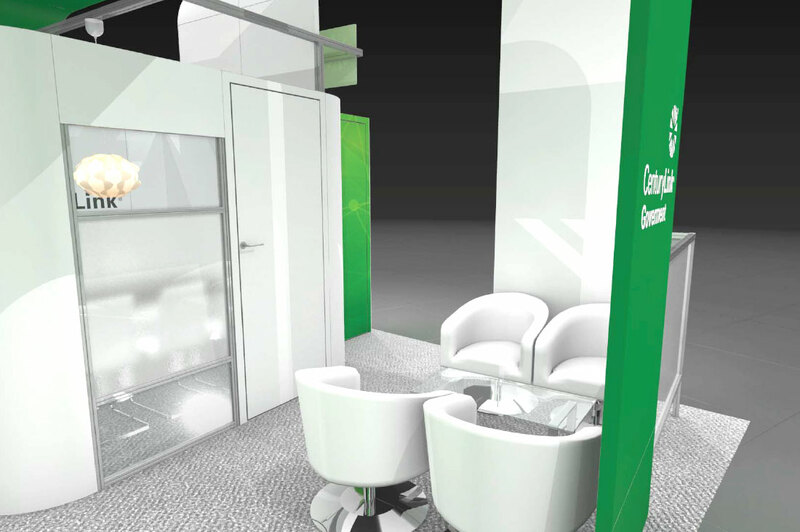 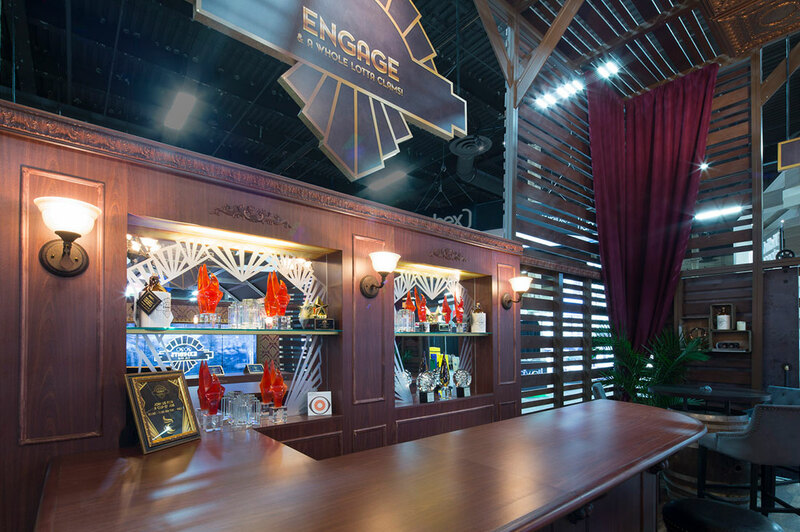 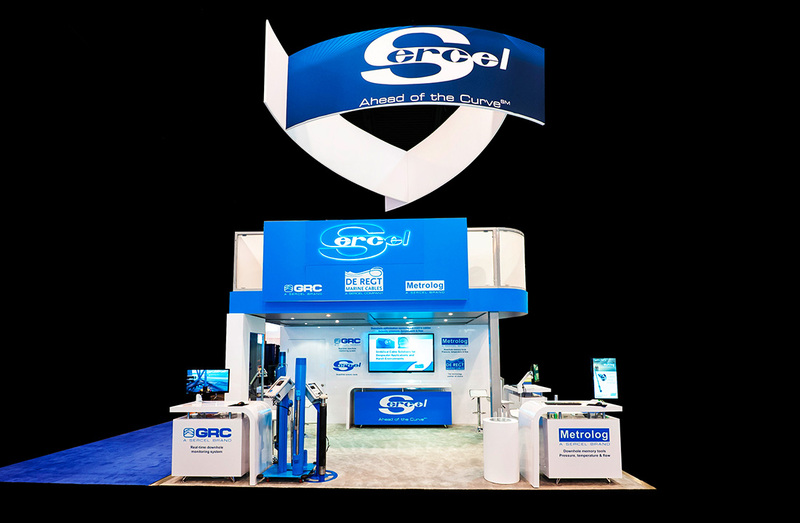 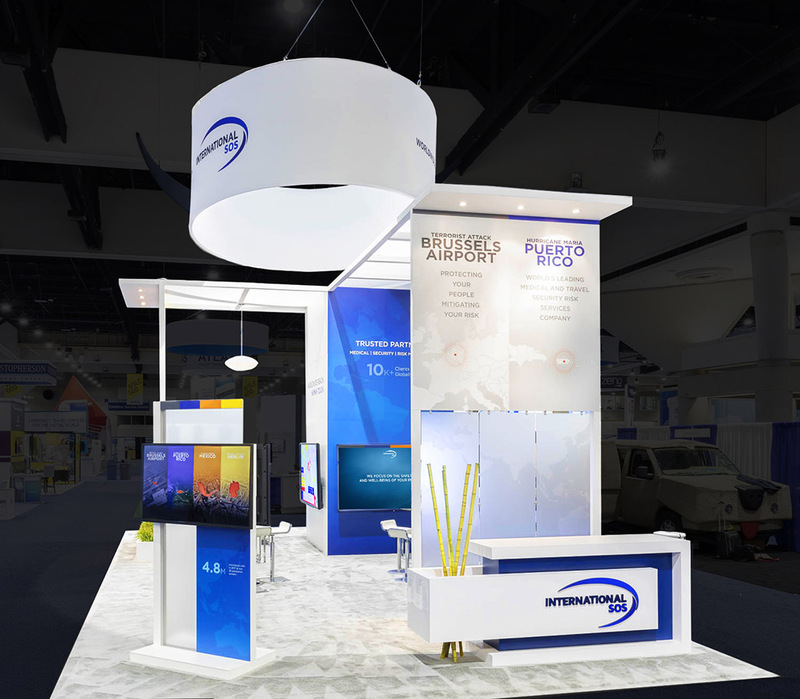 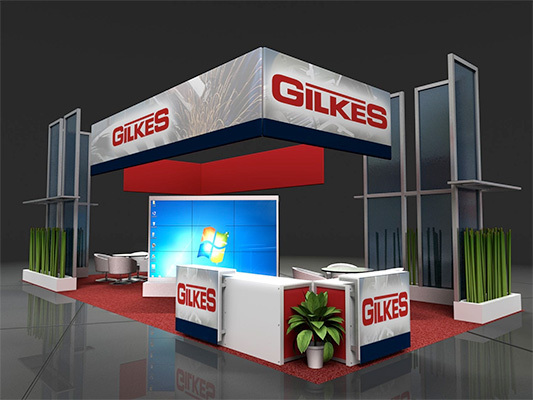 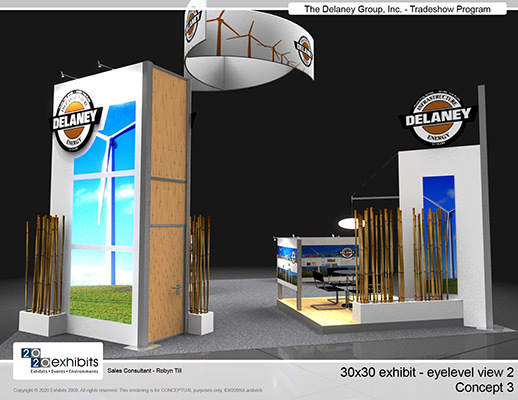 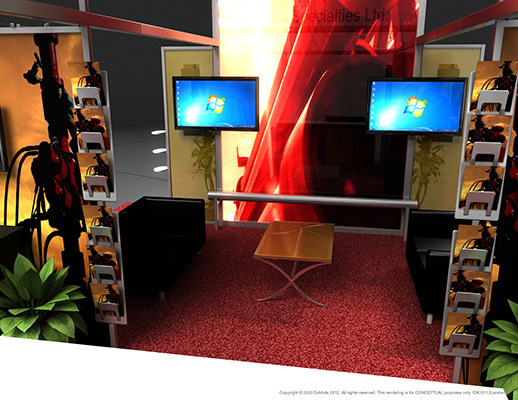 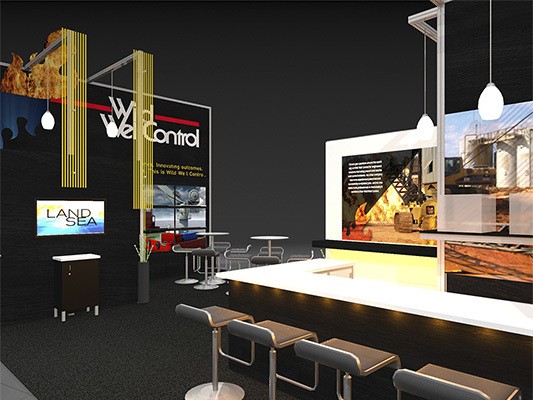 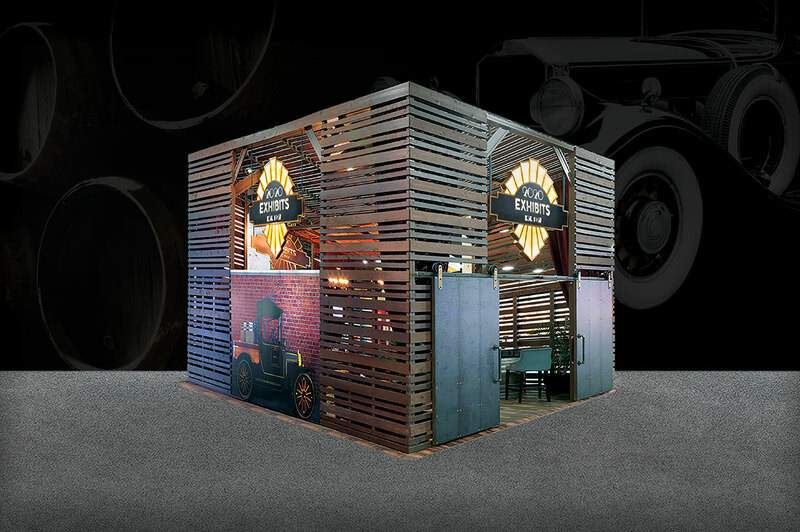 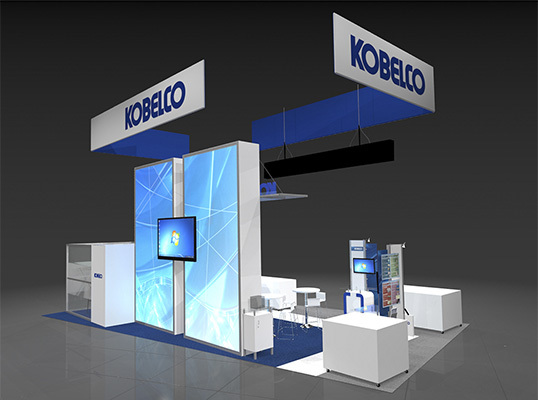 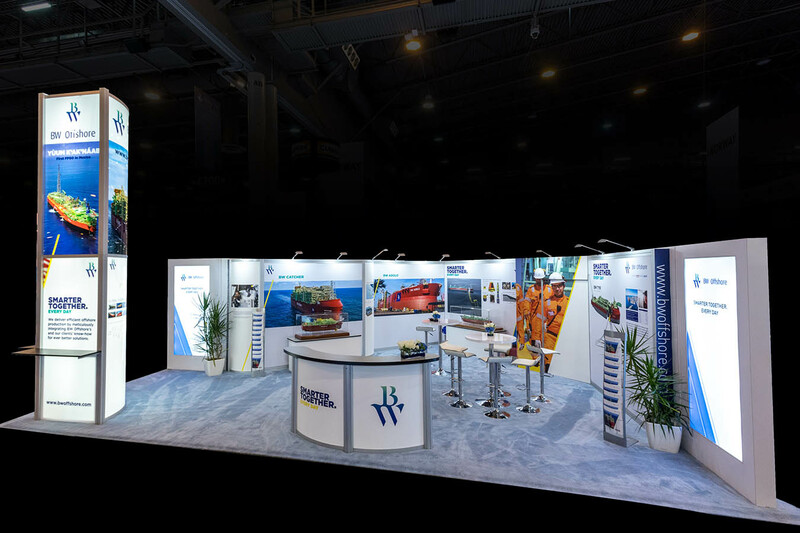 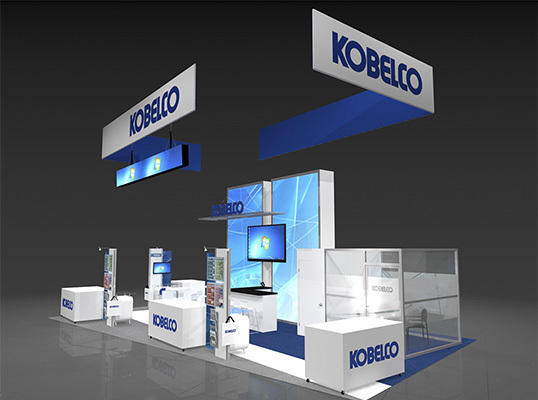 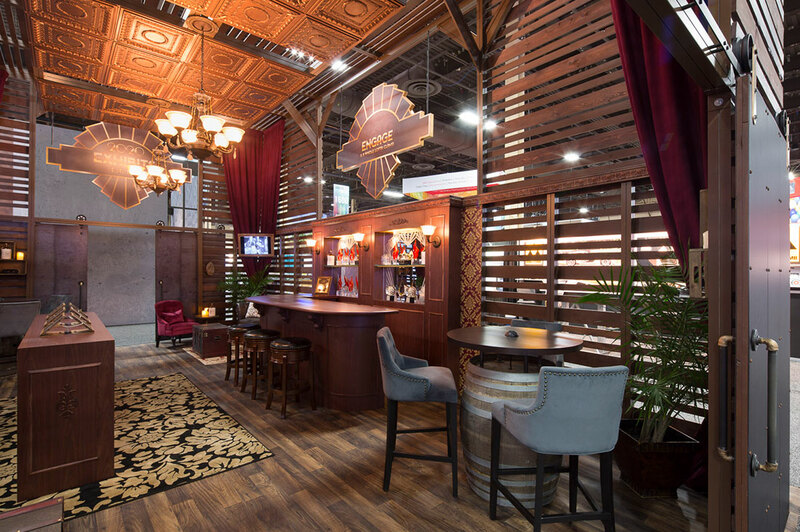 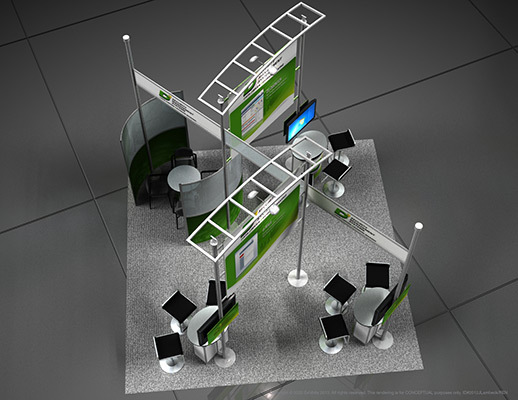 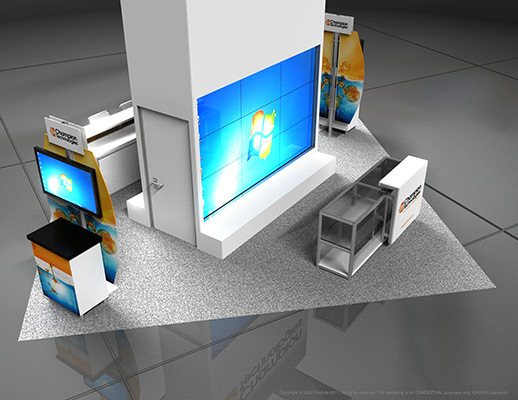 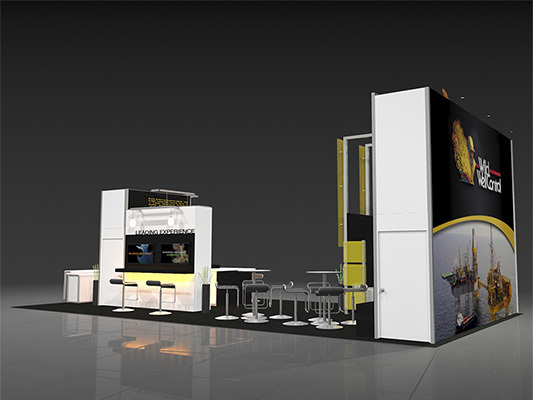 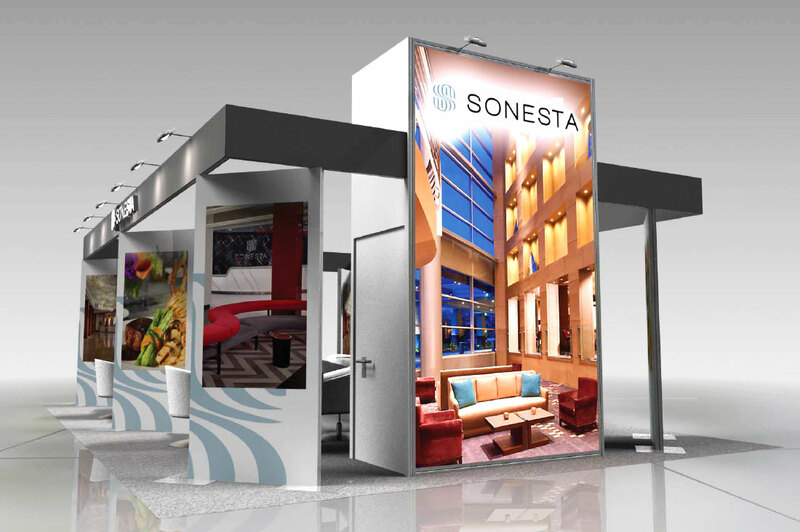 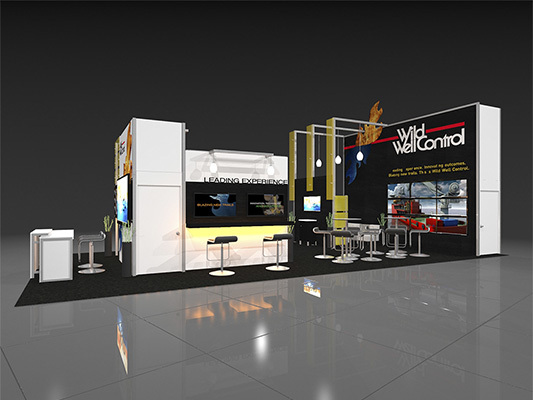 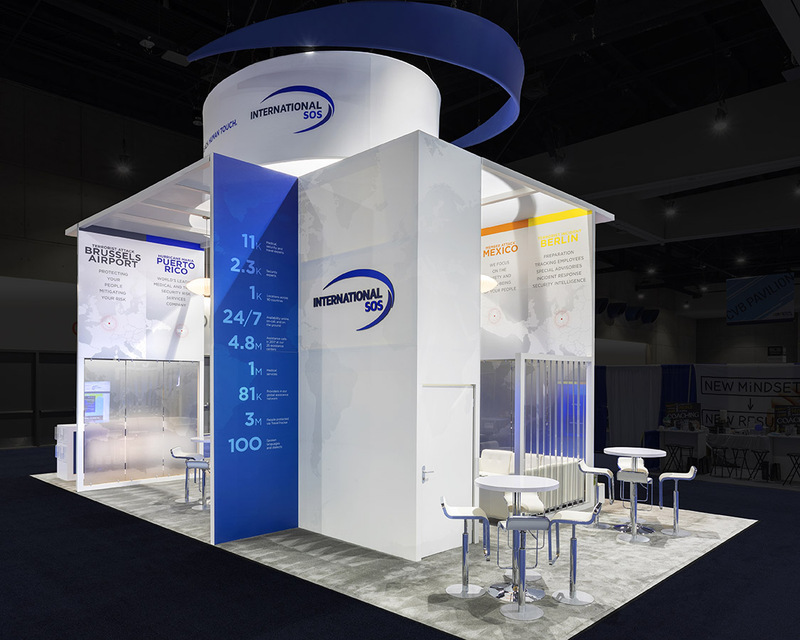 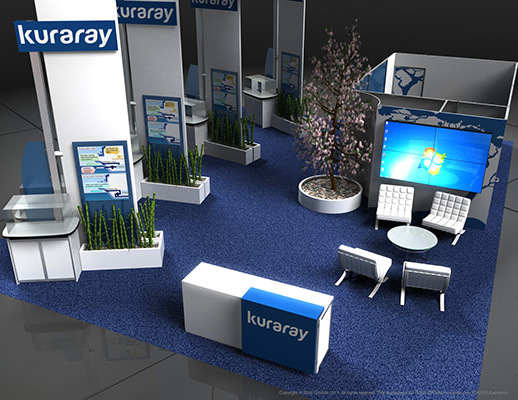 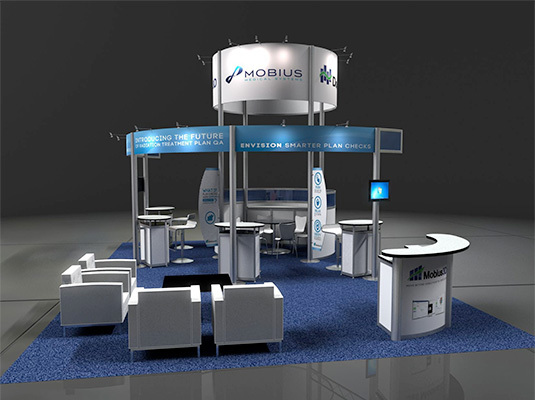 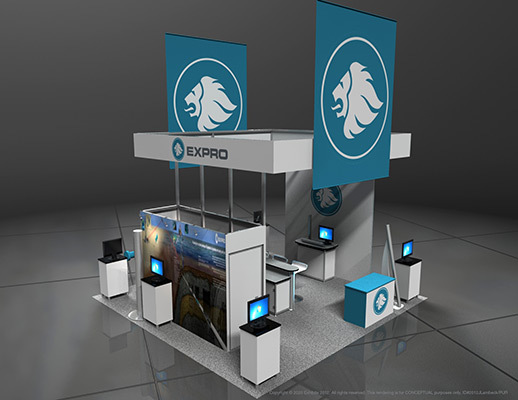 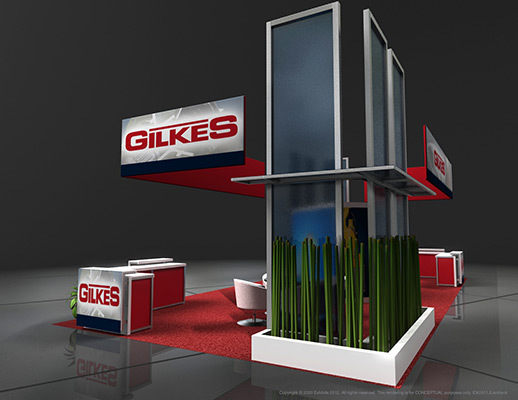 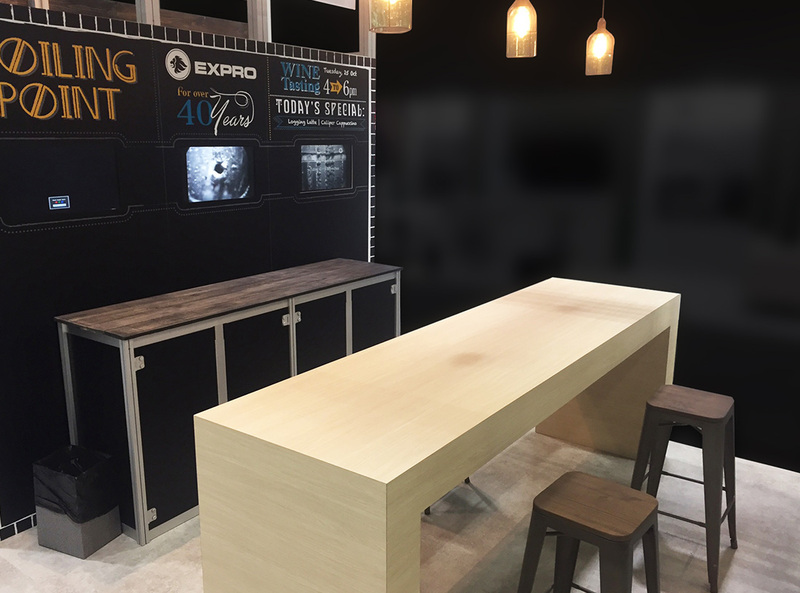 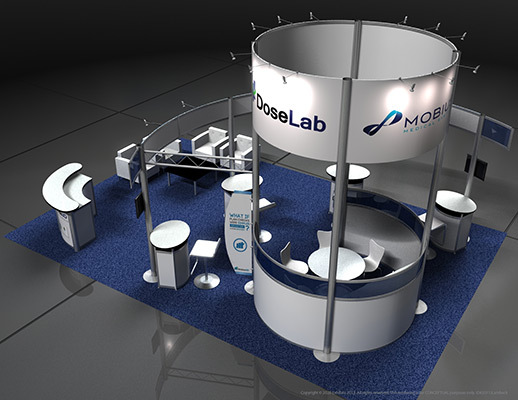 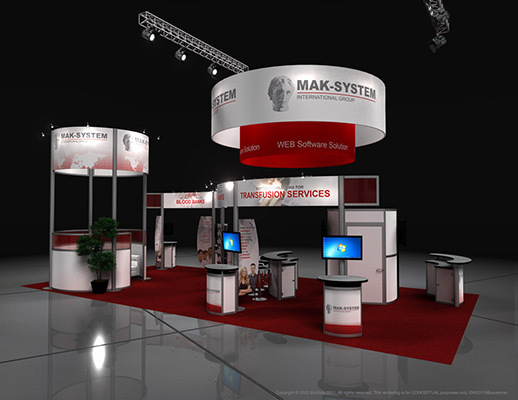 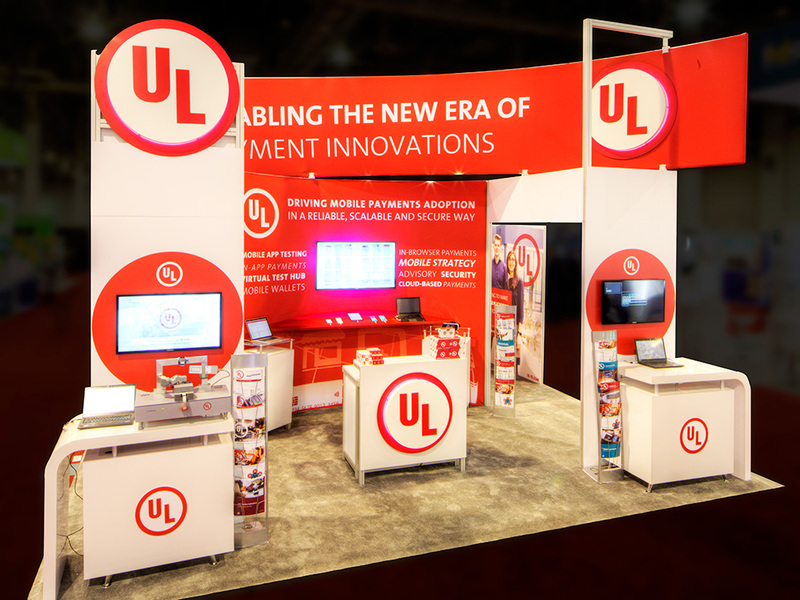 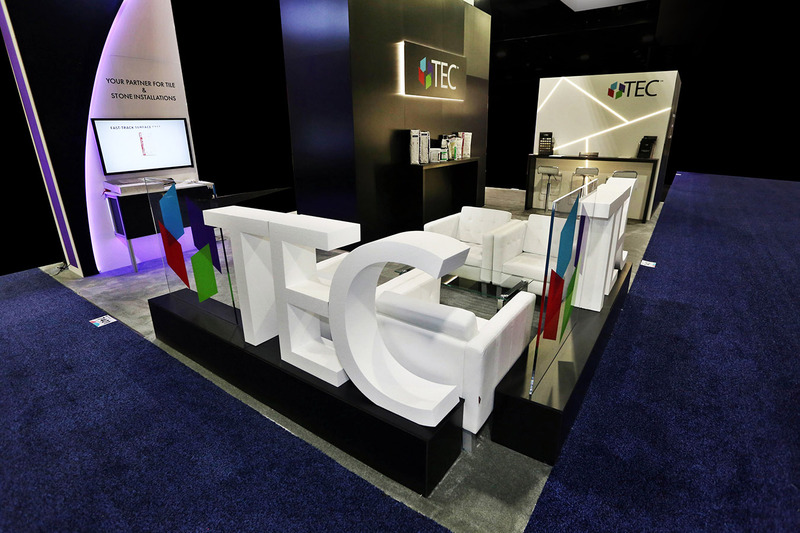 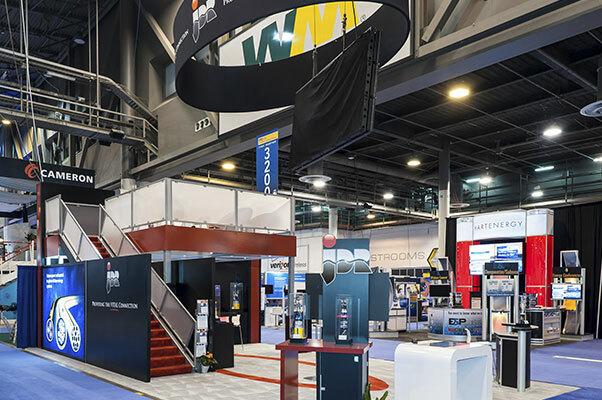 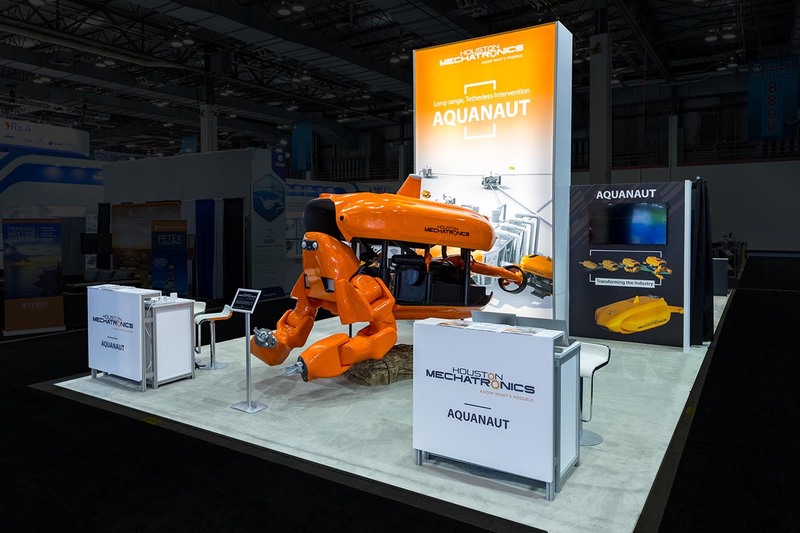 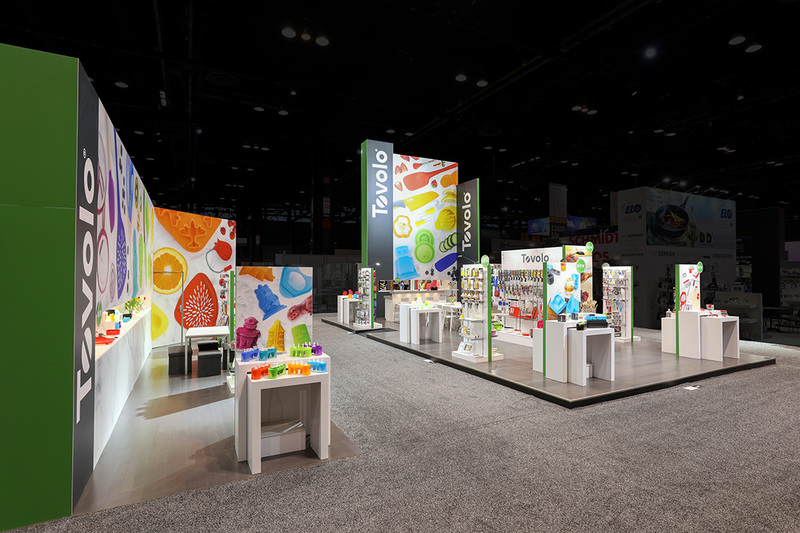 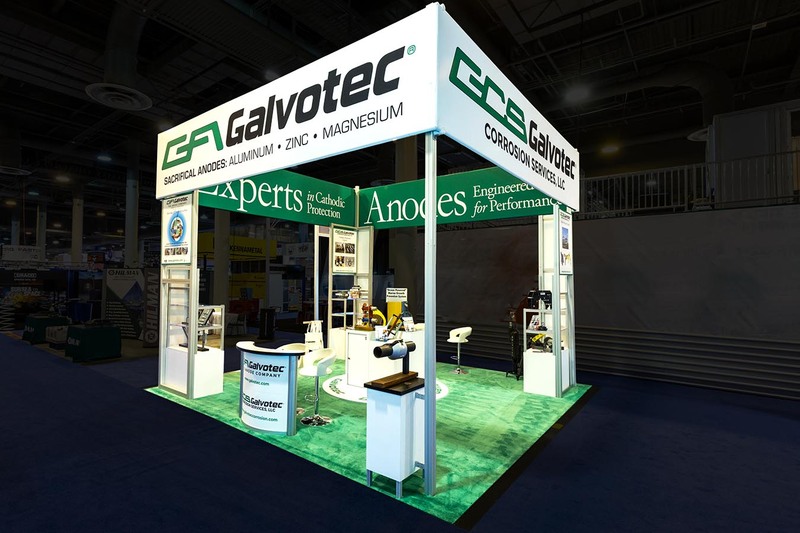 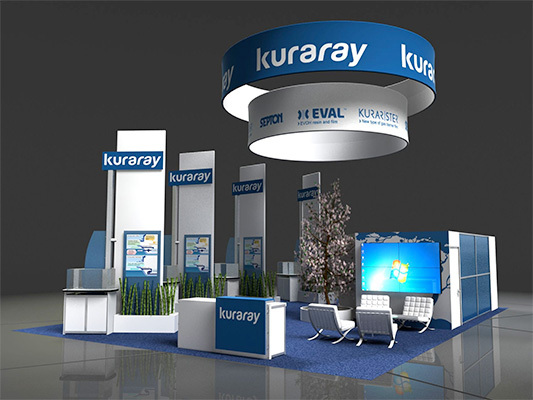 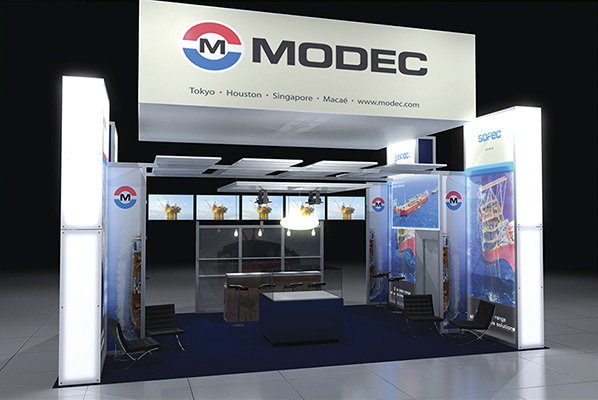 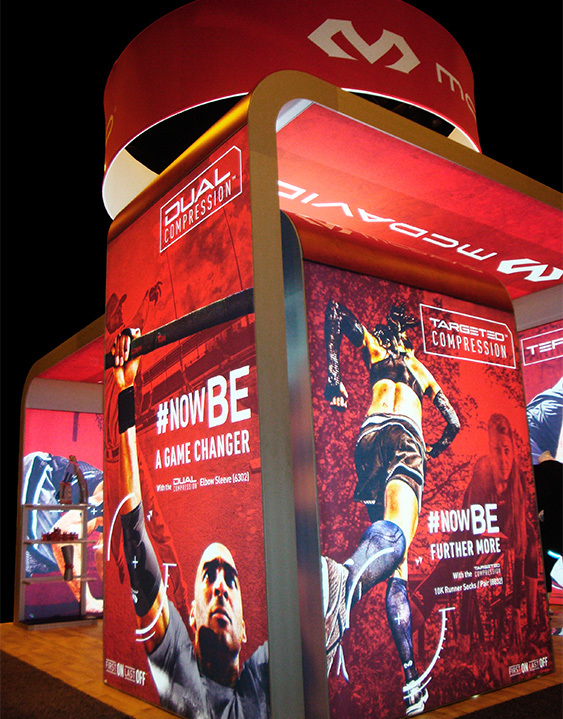 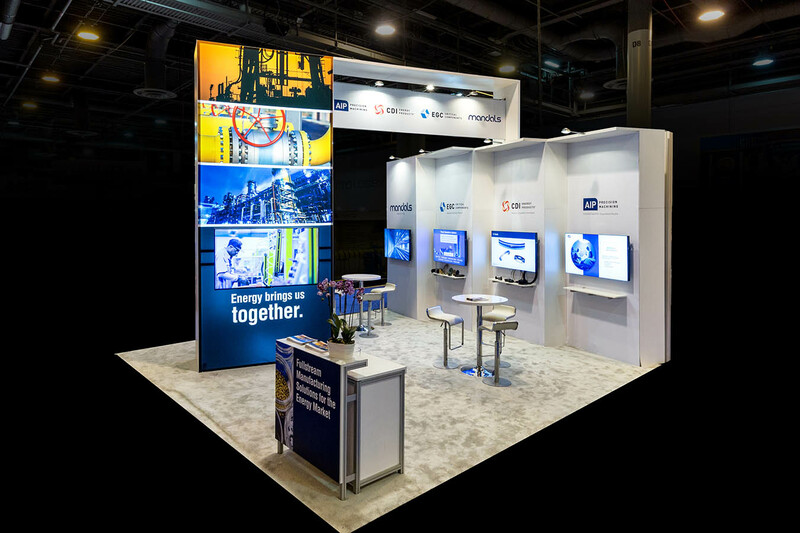 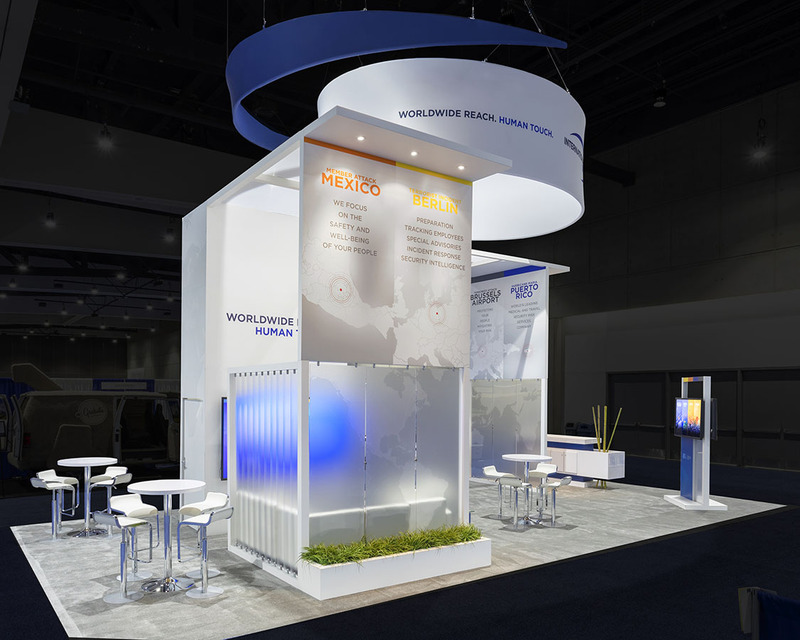 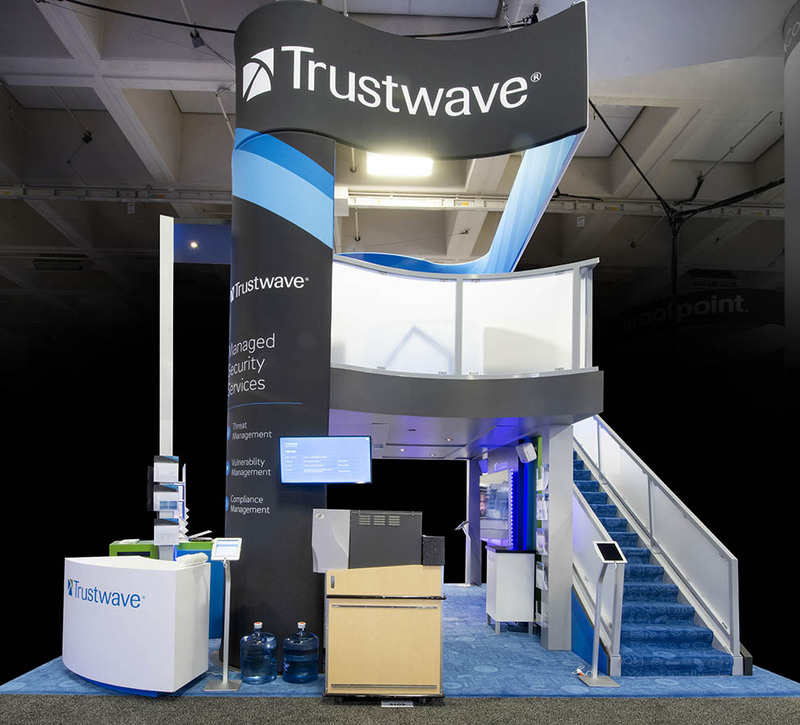 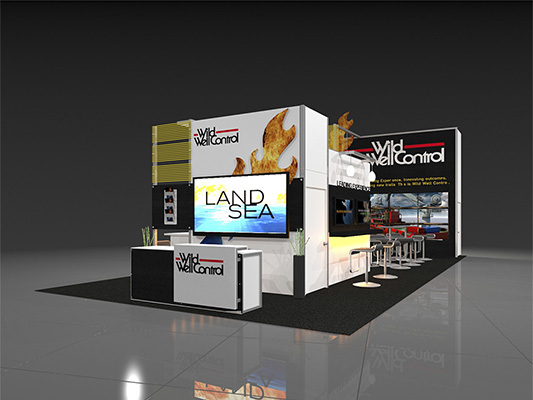 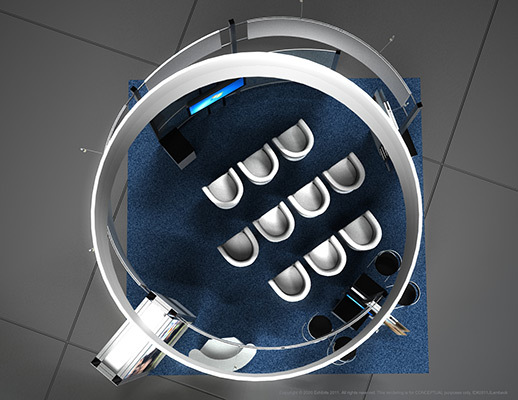 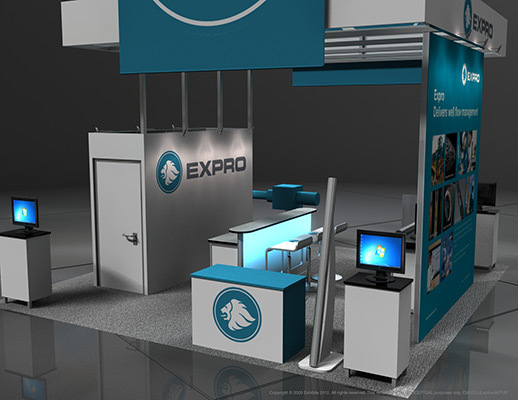 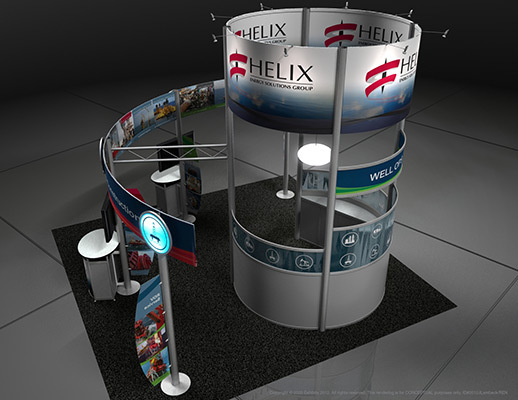 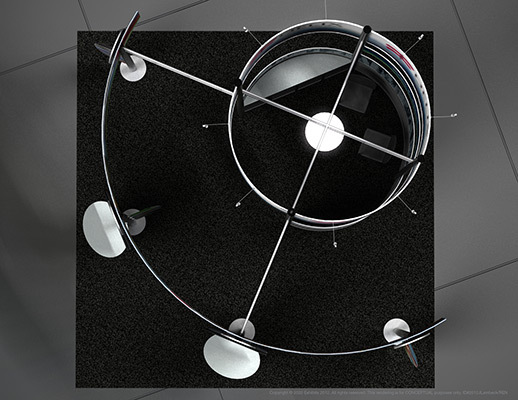 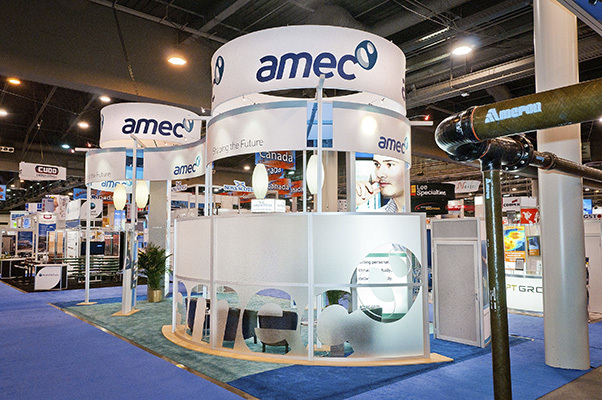 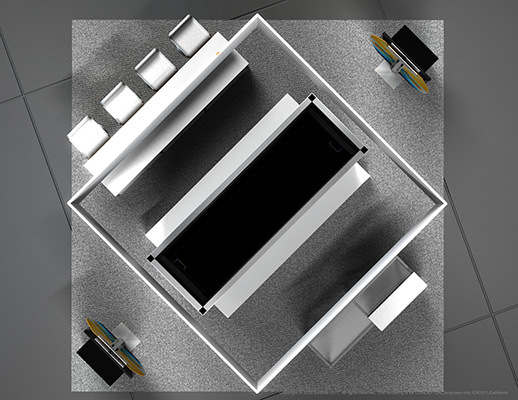 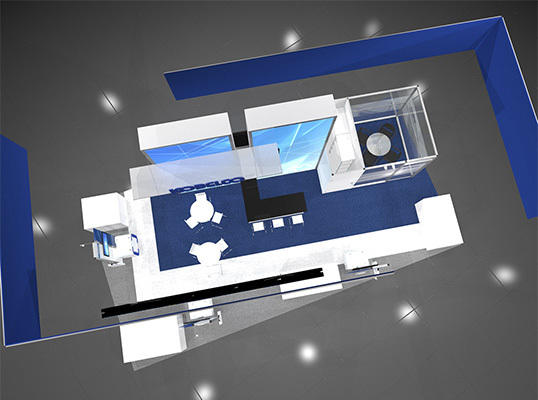 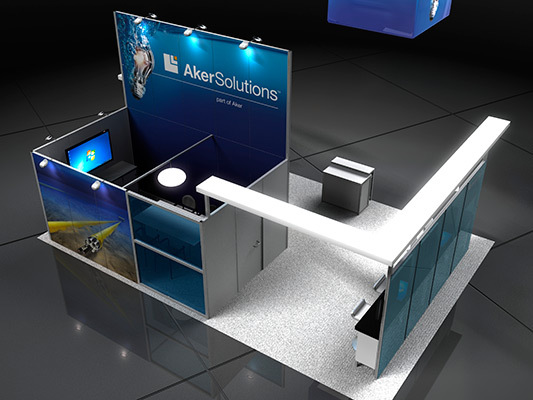 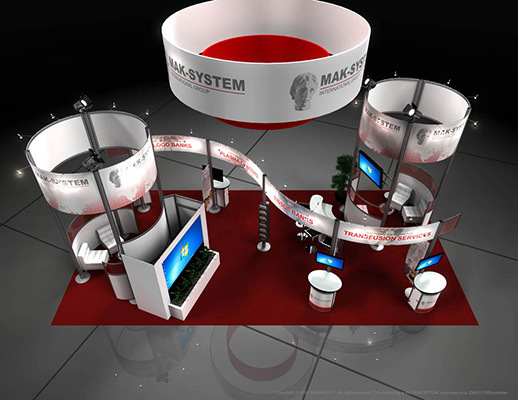 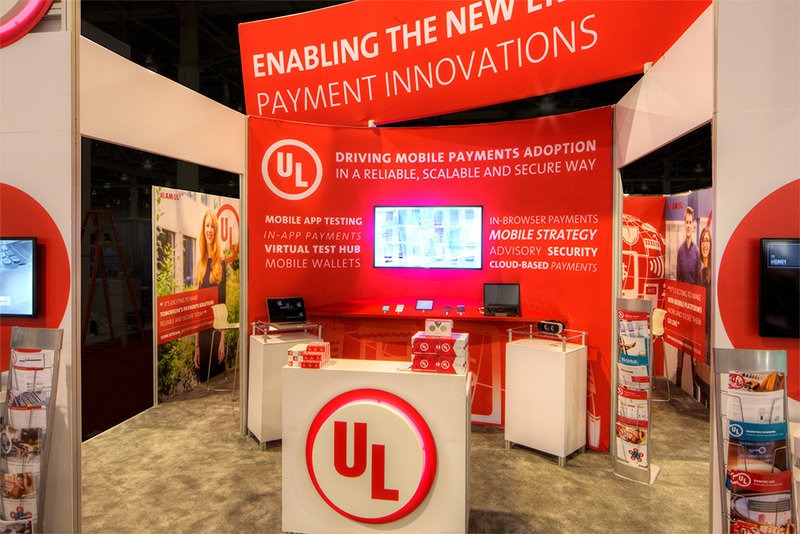 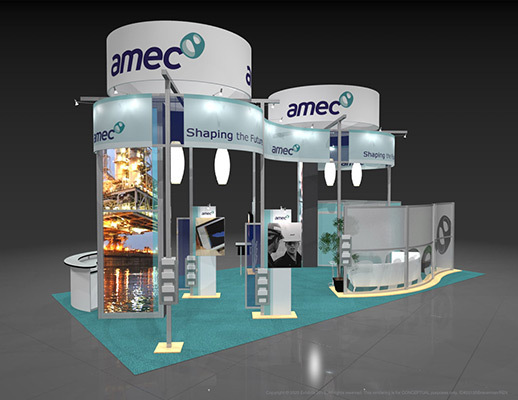 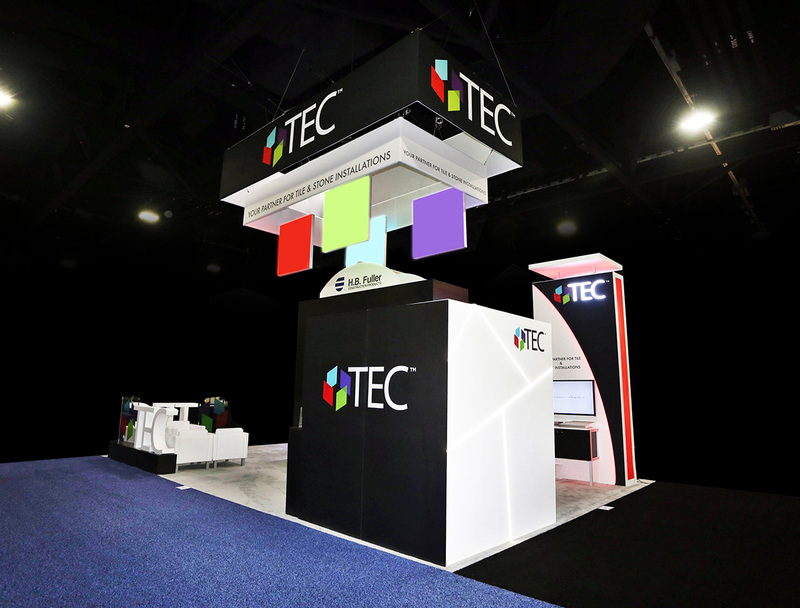 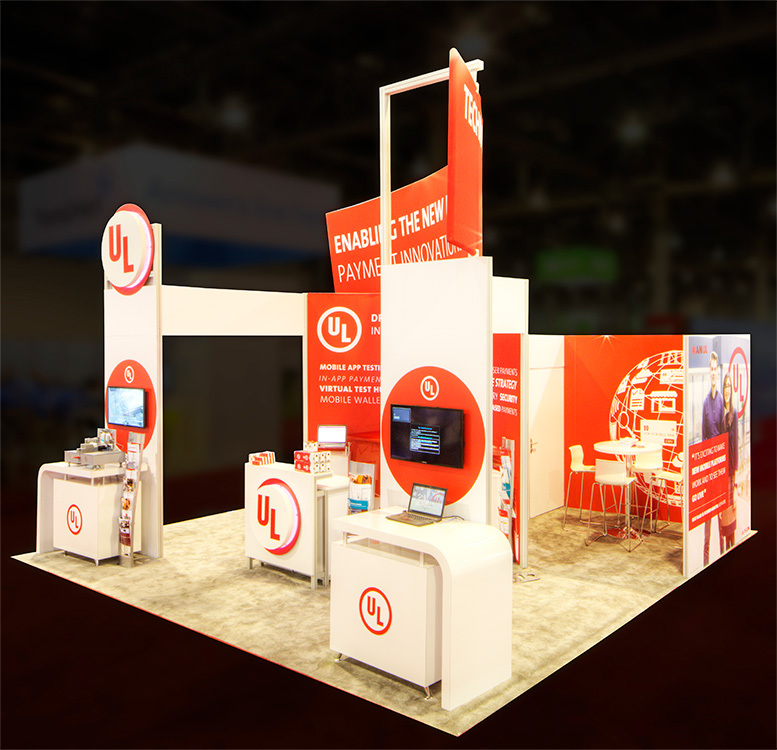 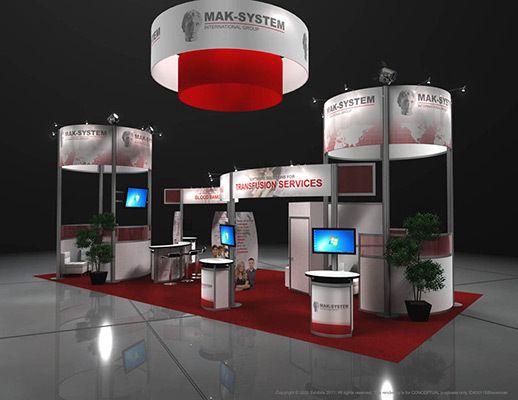 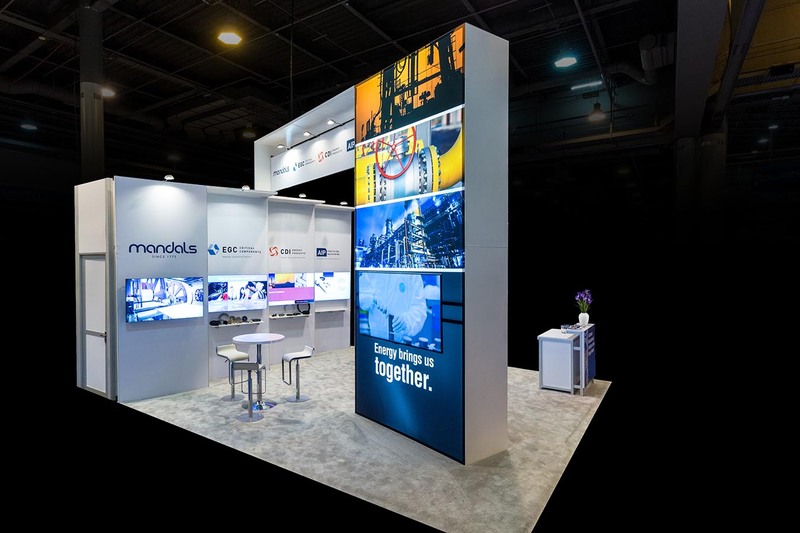 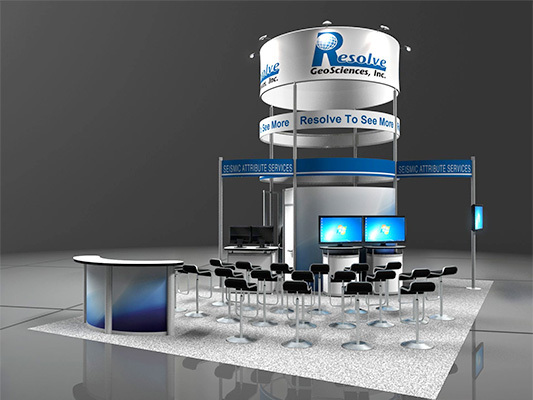 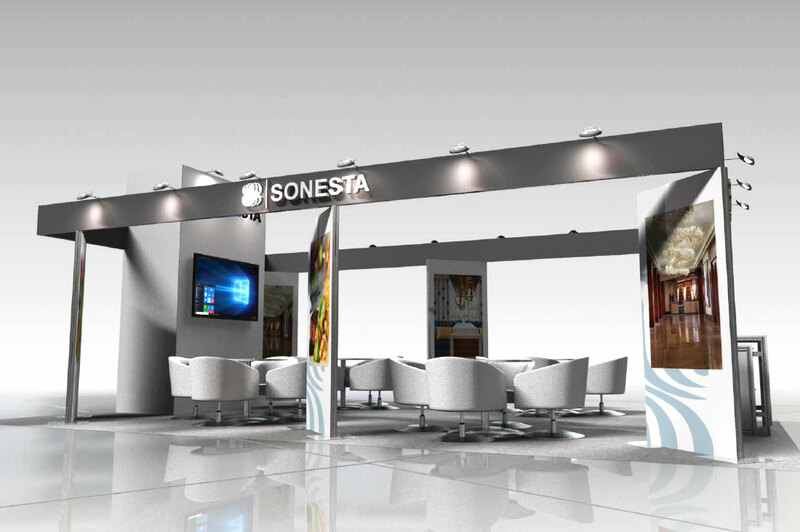 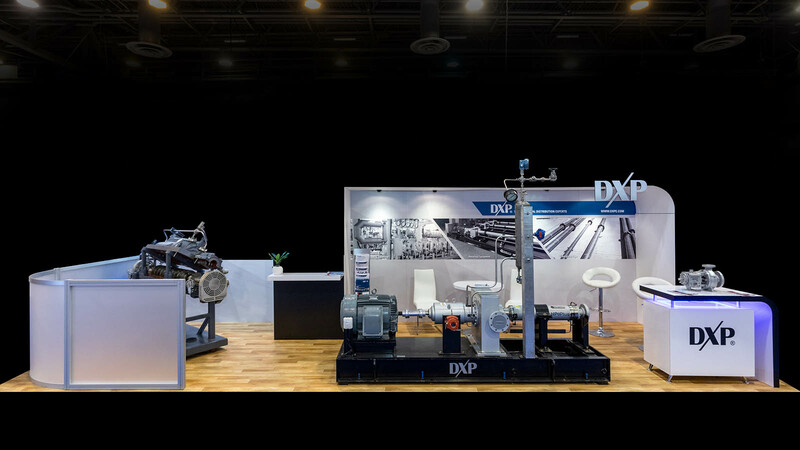 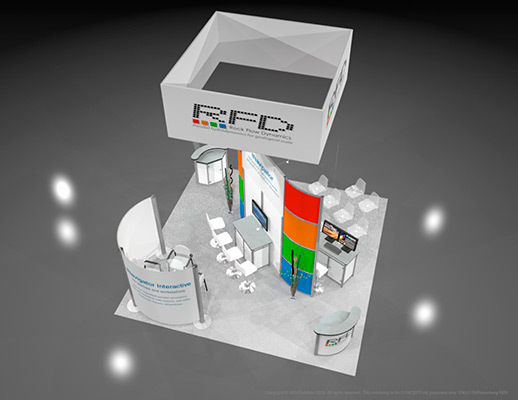 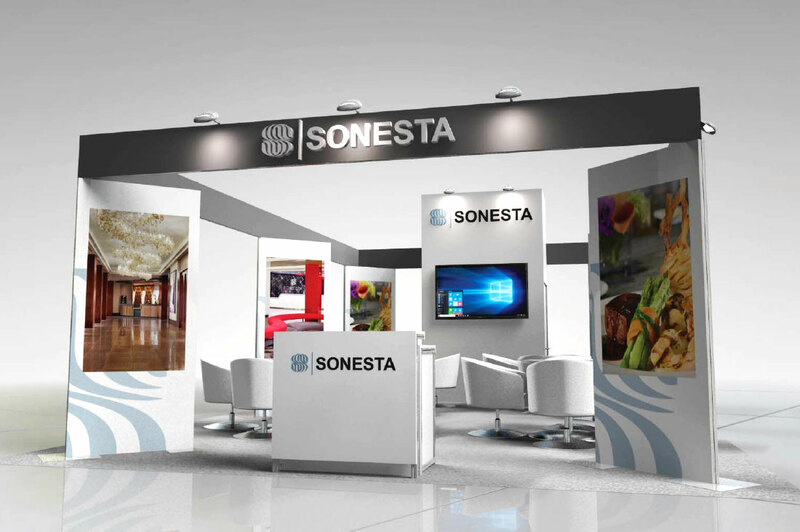 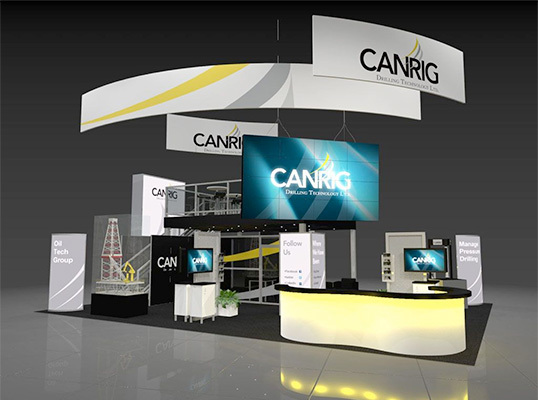 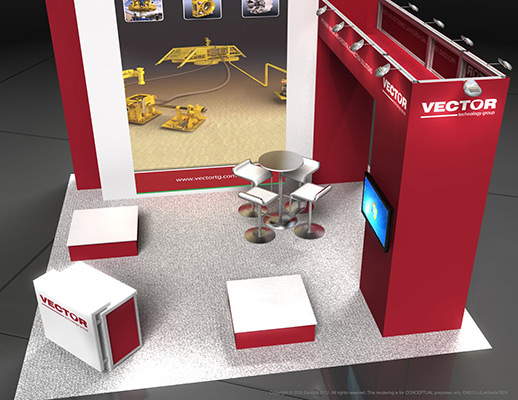 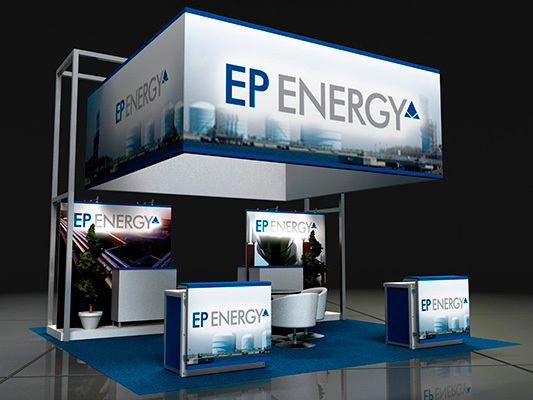 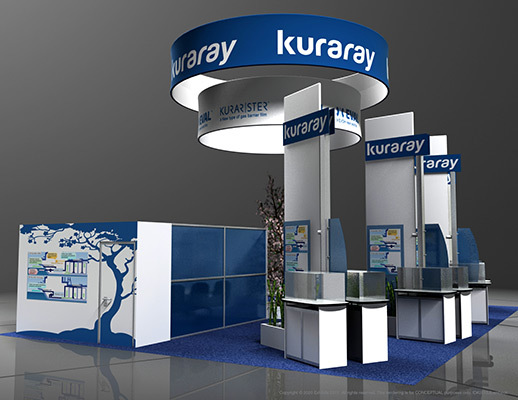 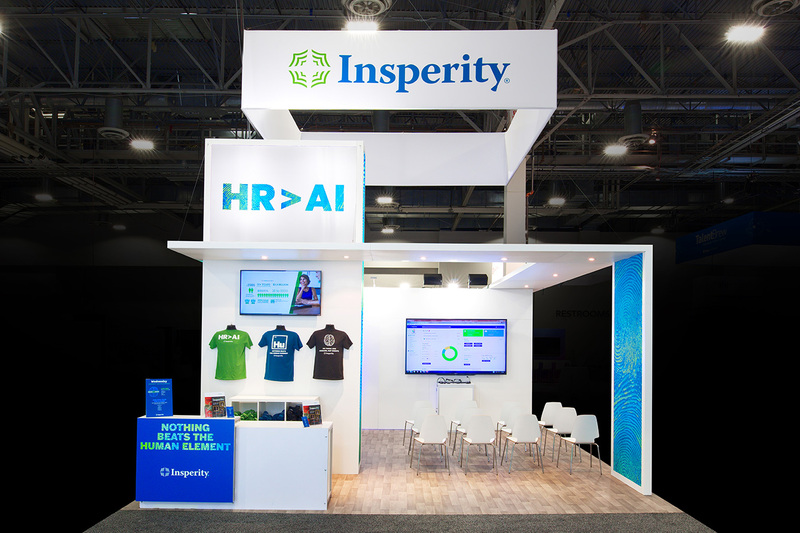 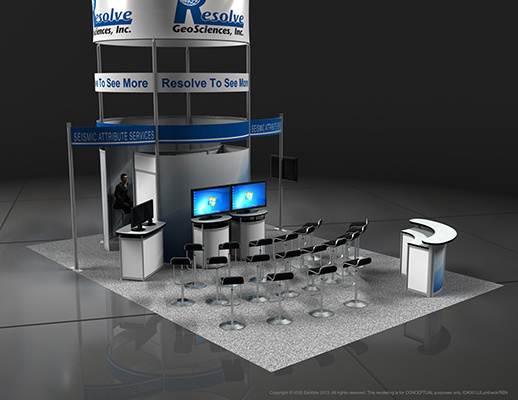 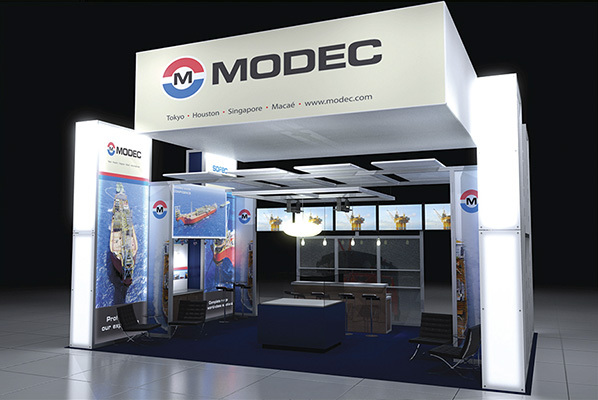 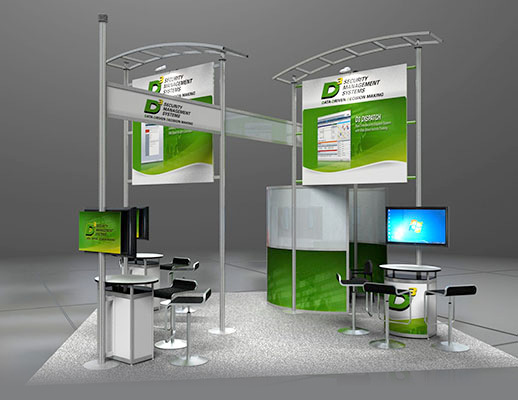 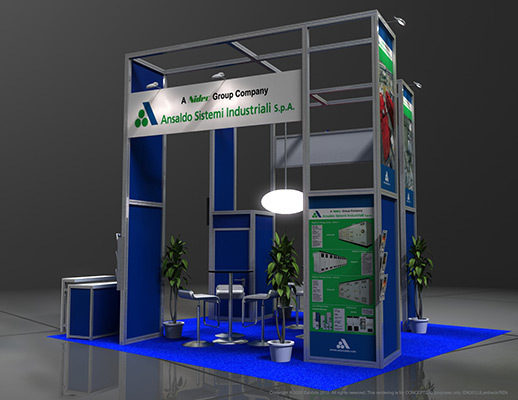 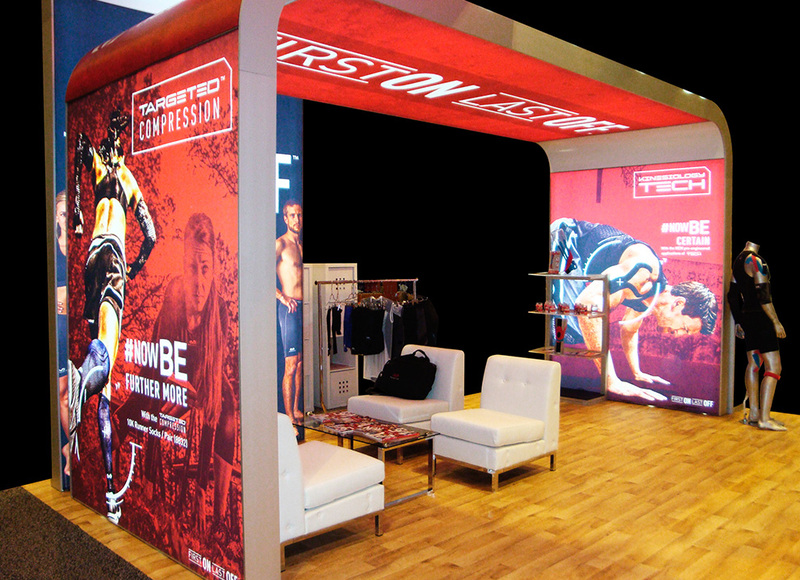 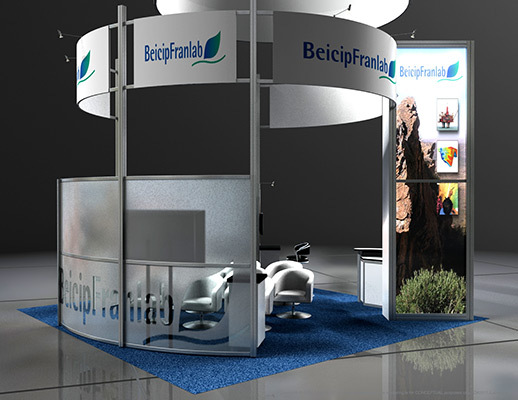 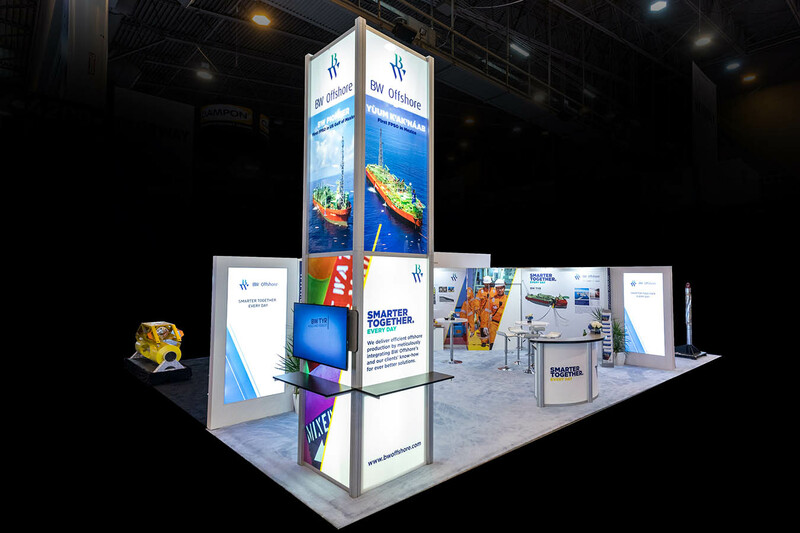 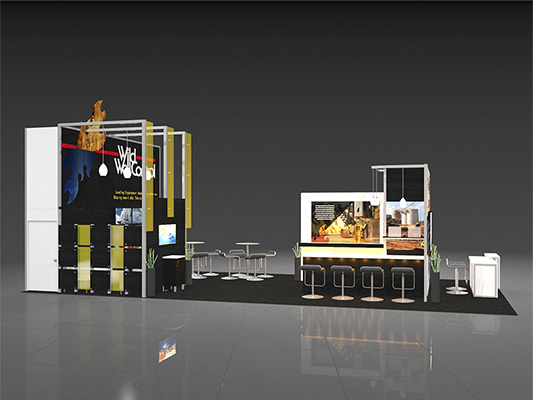 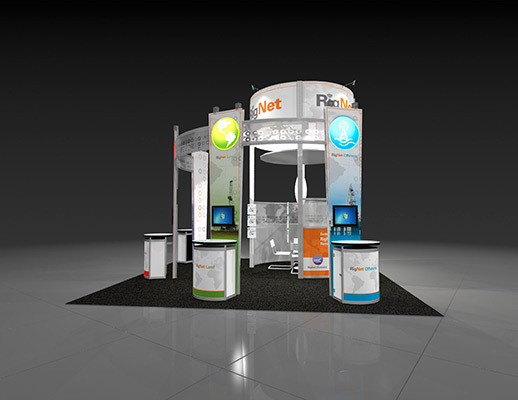 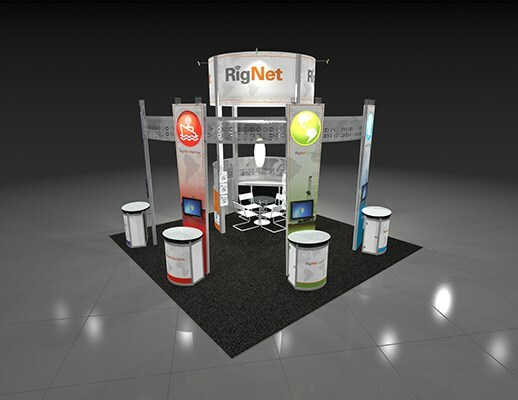 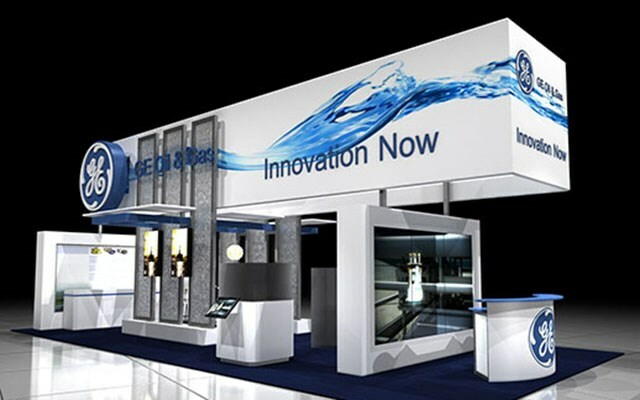 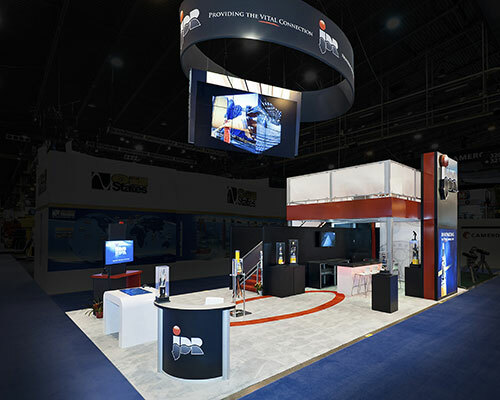 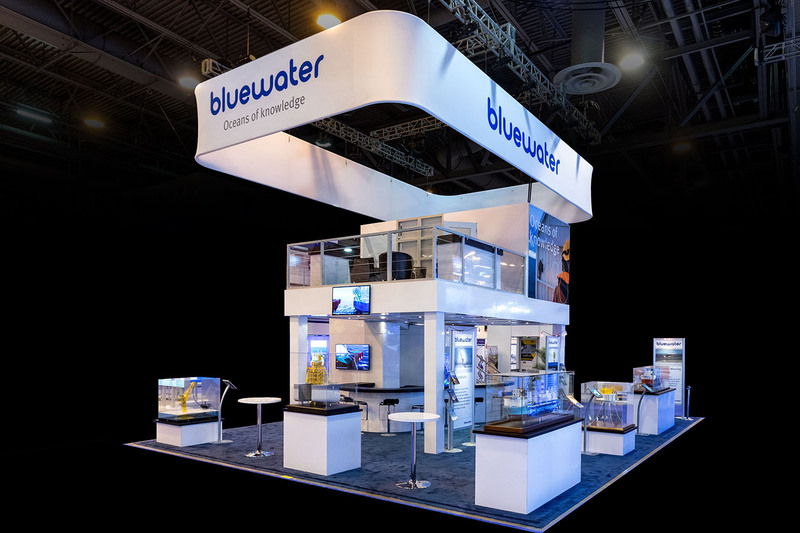 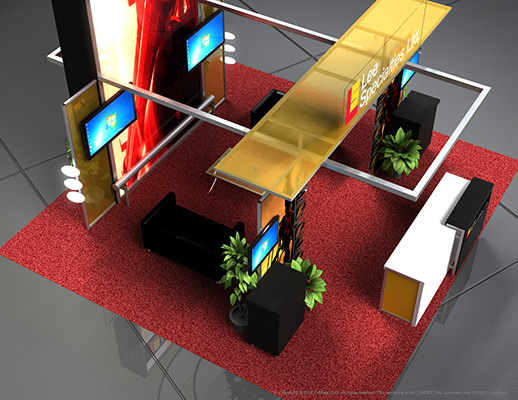 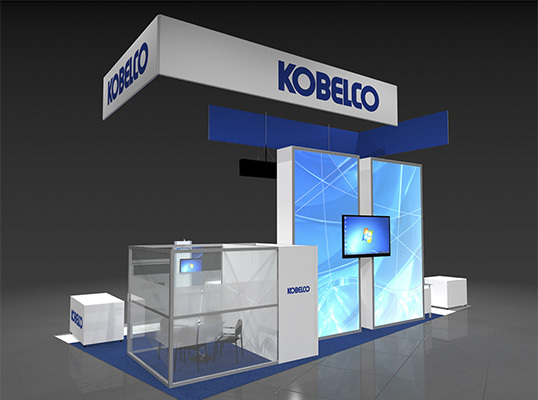 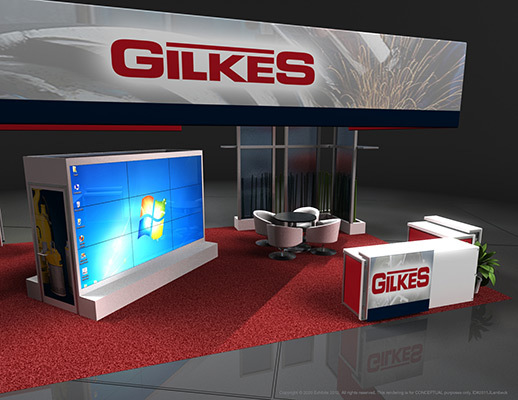 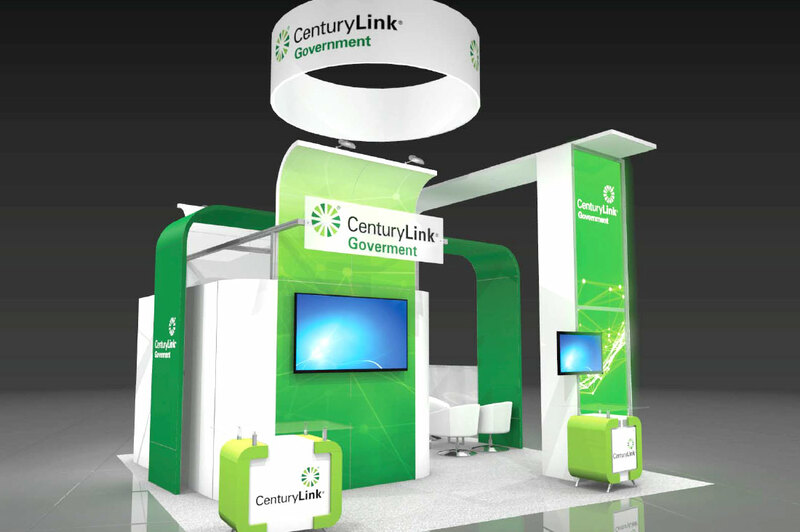 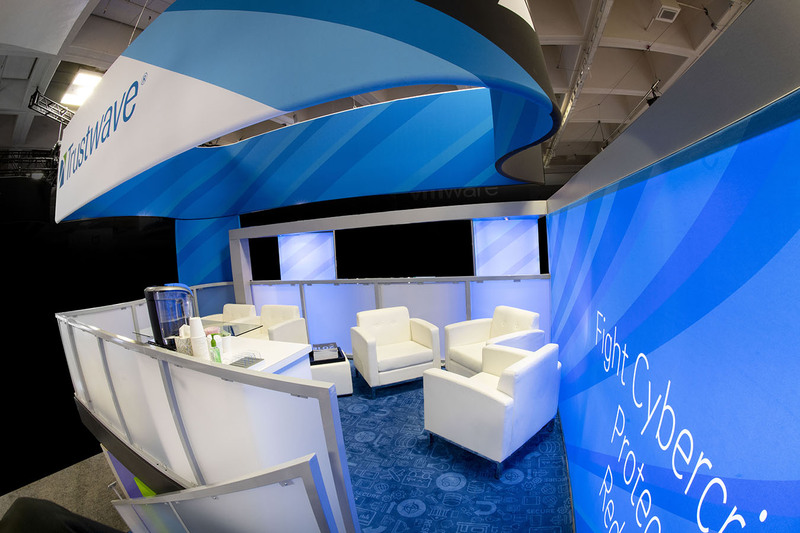 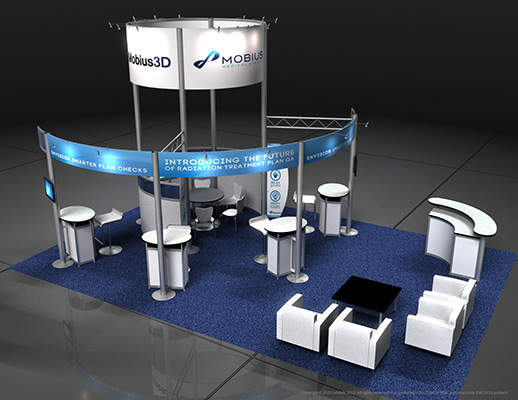 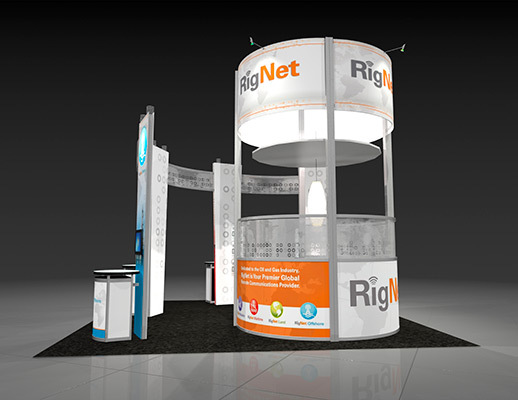 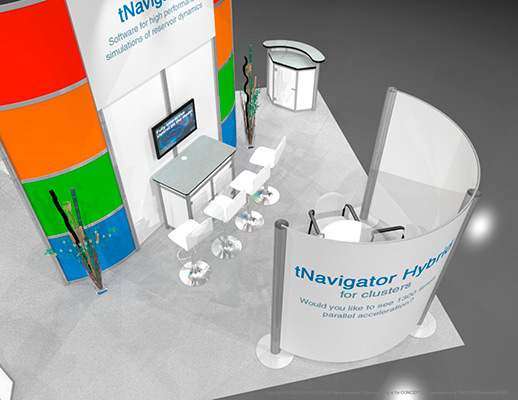 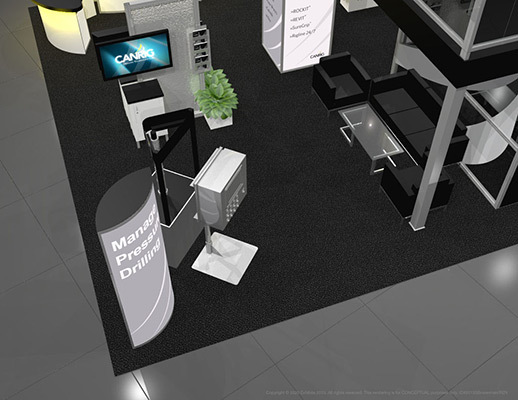 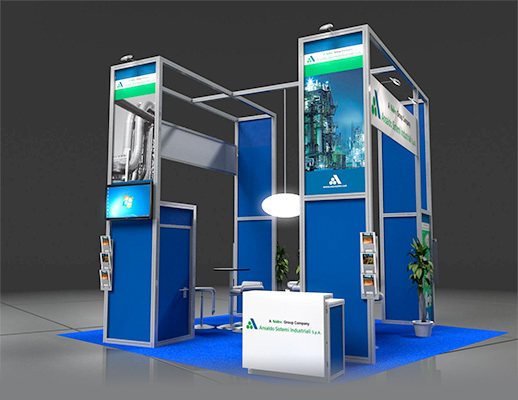 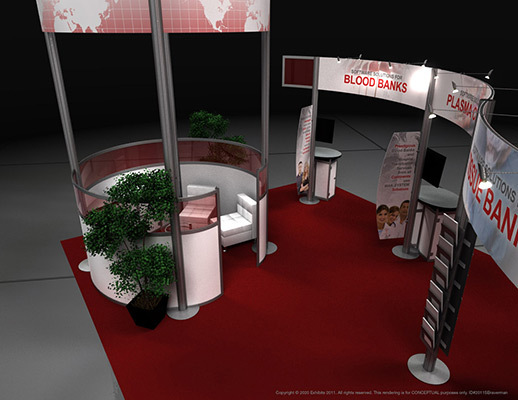 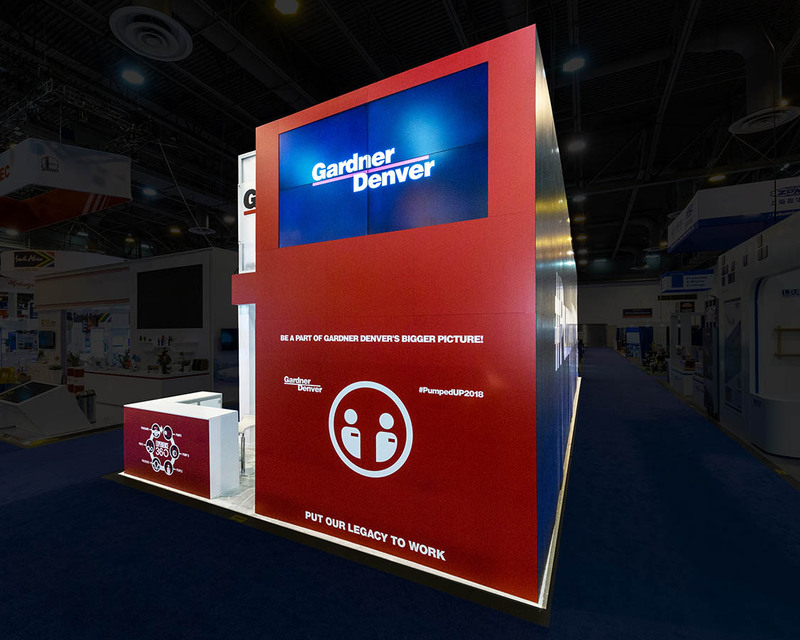 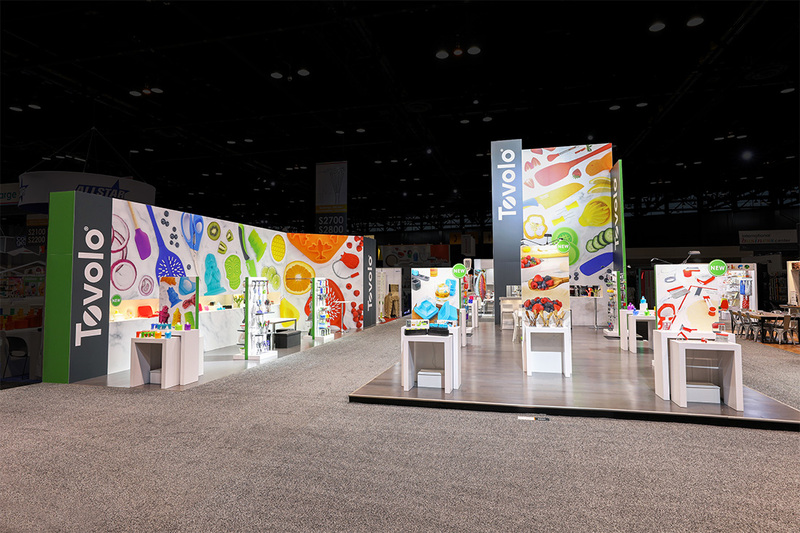 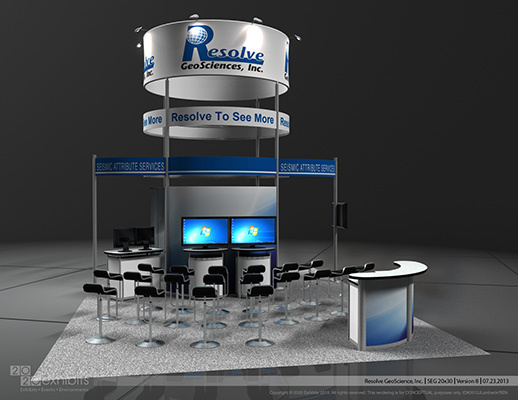 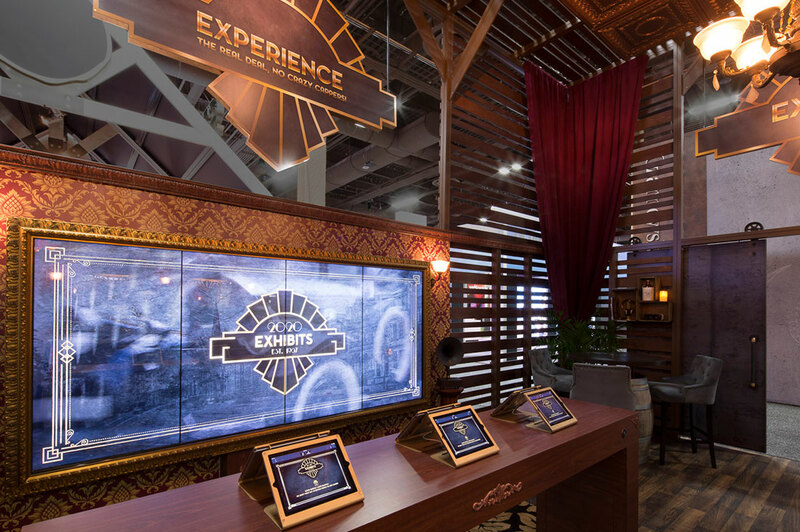 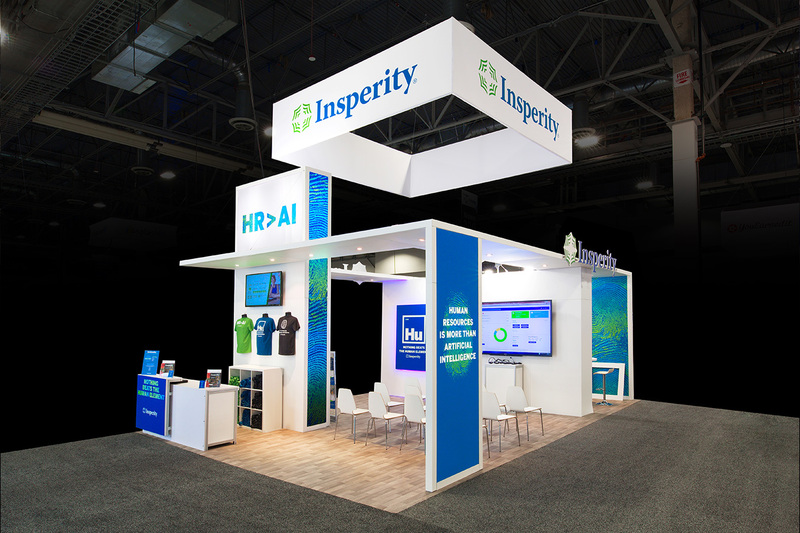 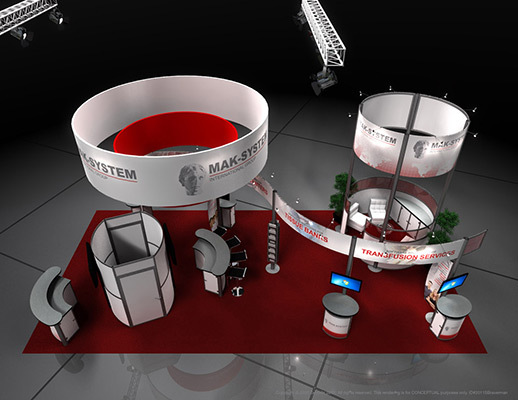 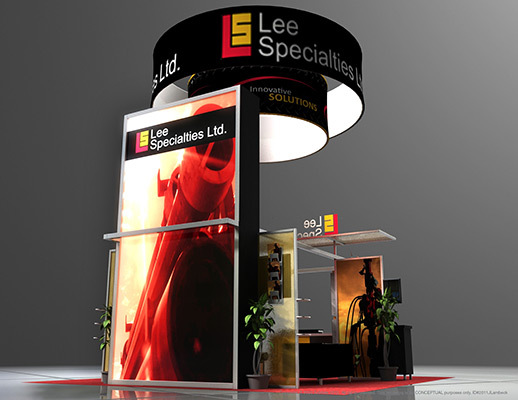 This booth is designed with the primary purpose of presentations in mind. 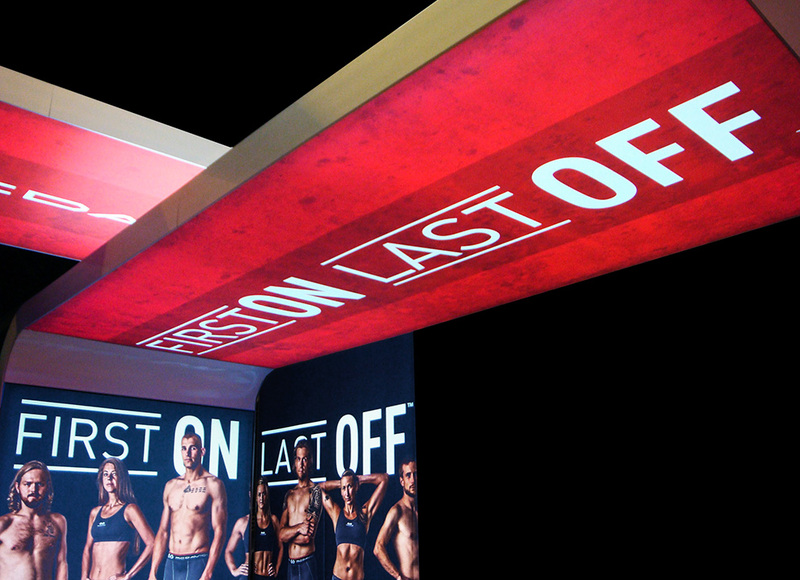 Overhead graphic logo signage draws visitors in. 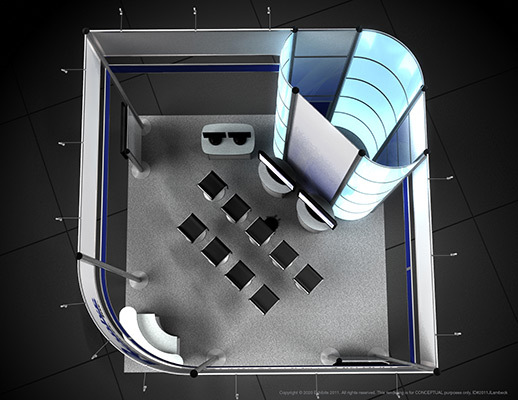 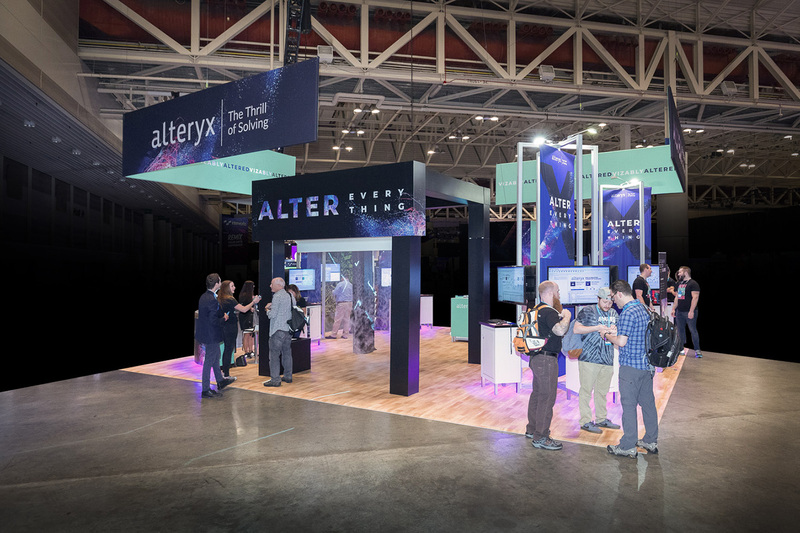 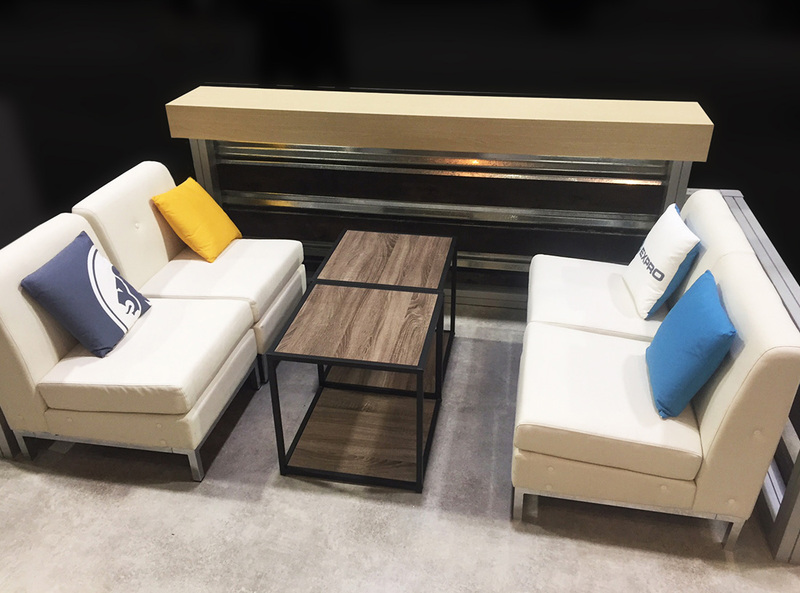 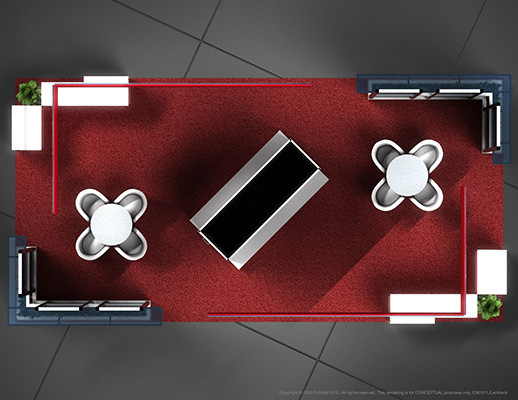 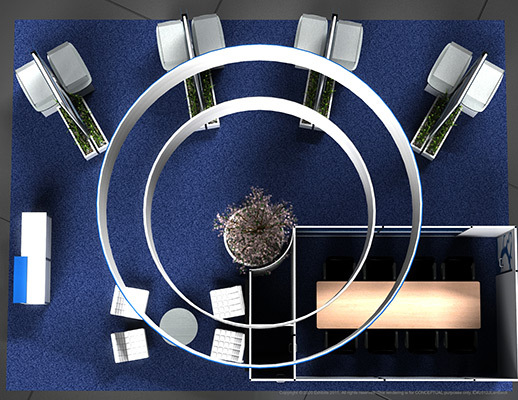 Multiple reception areas for one-on-one conversations with attendees. 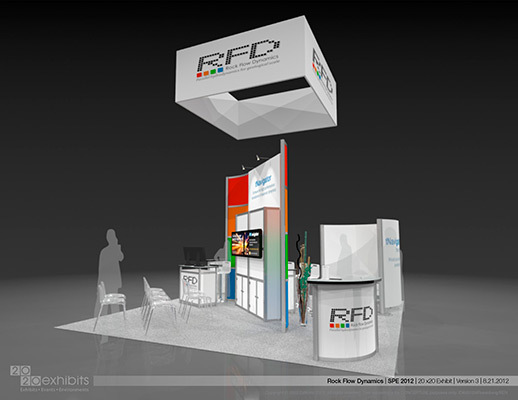 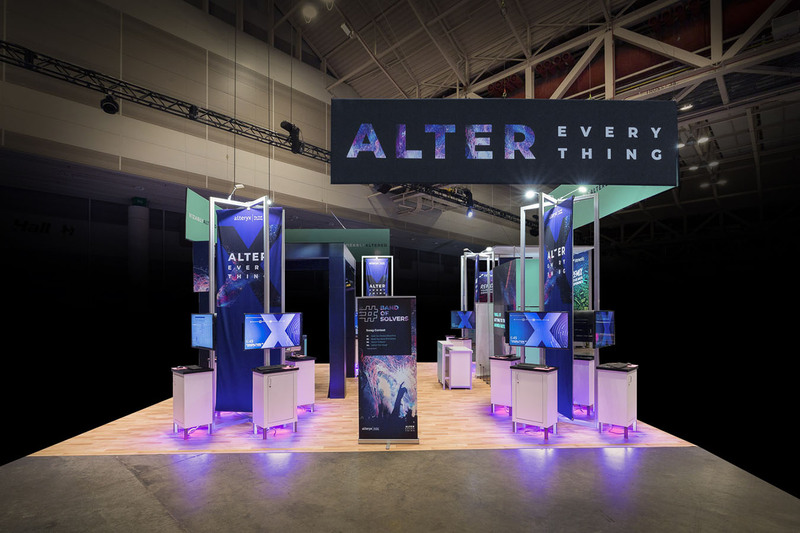 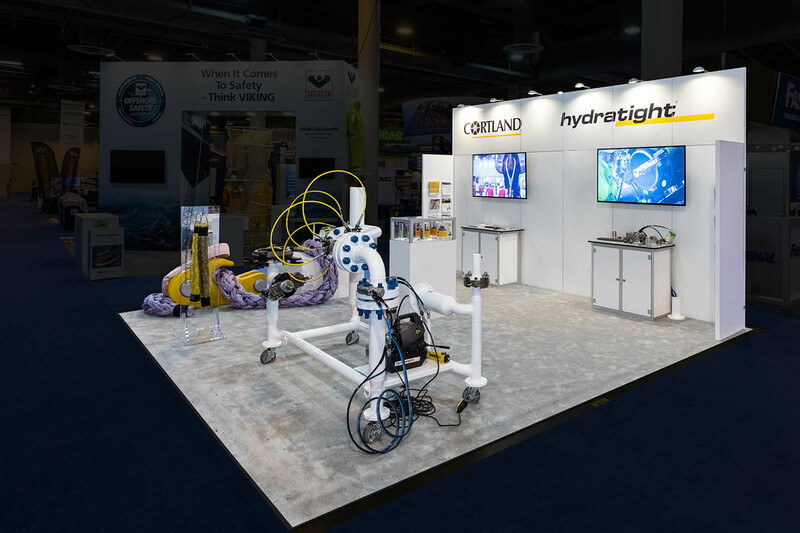 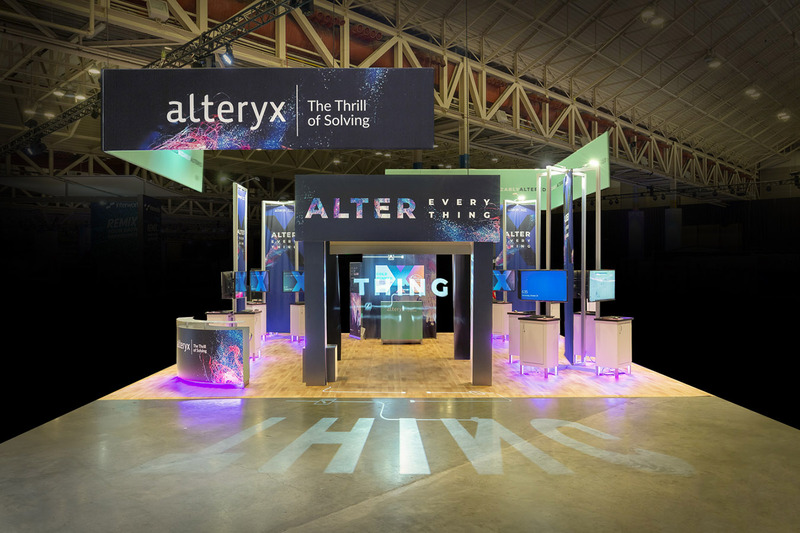 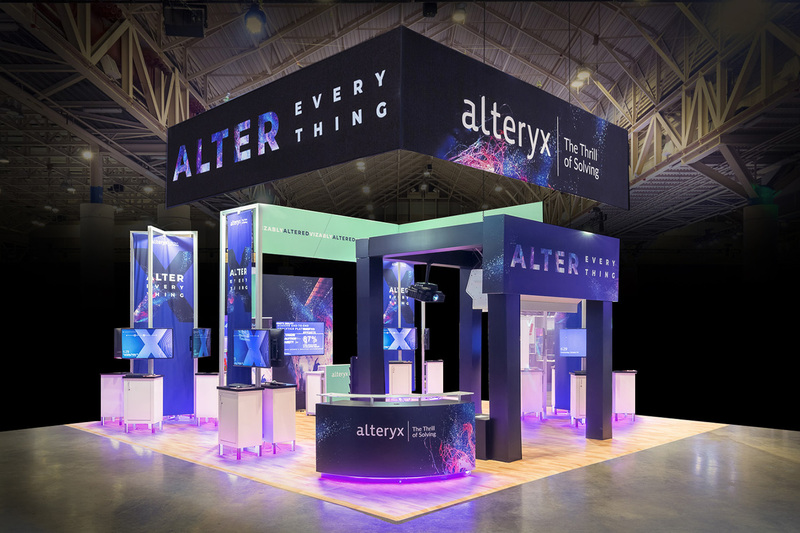 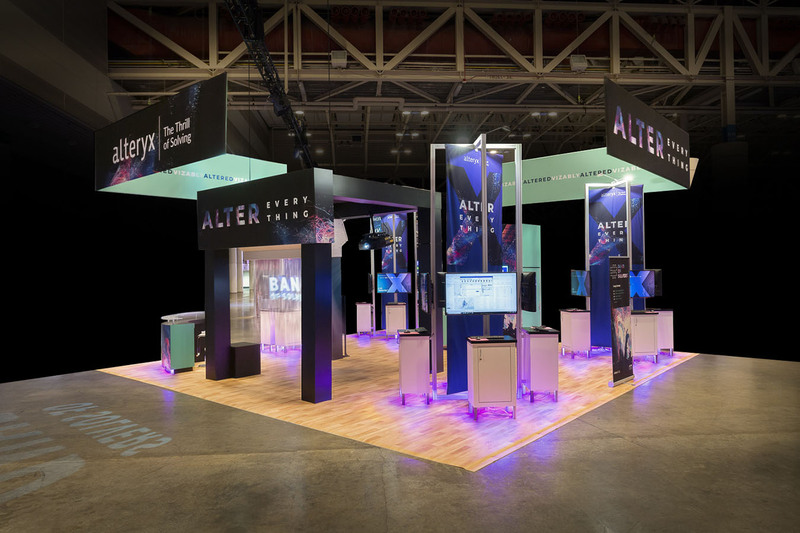 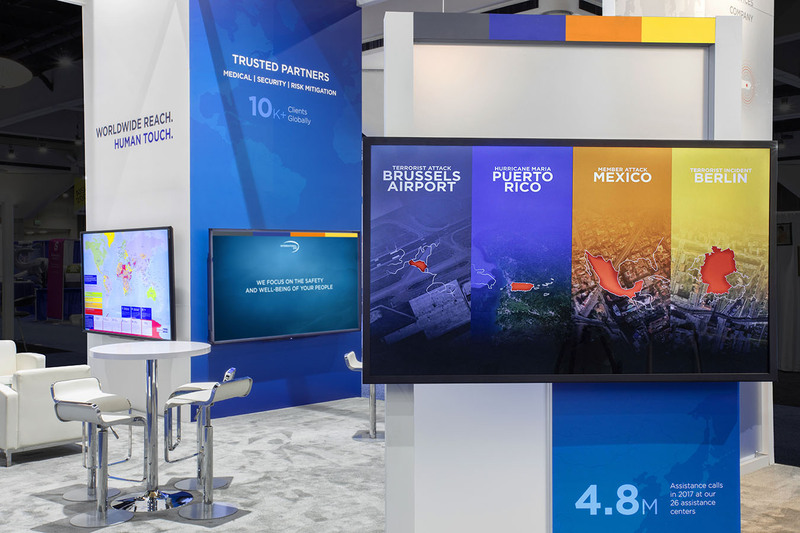 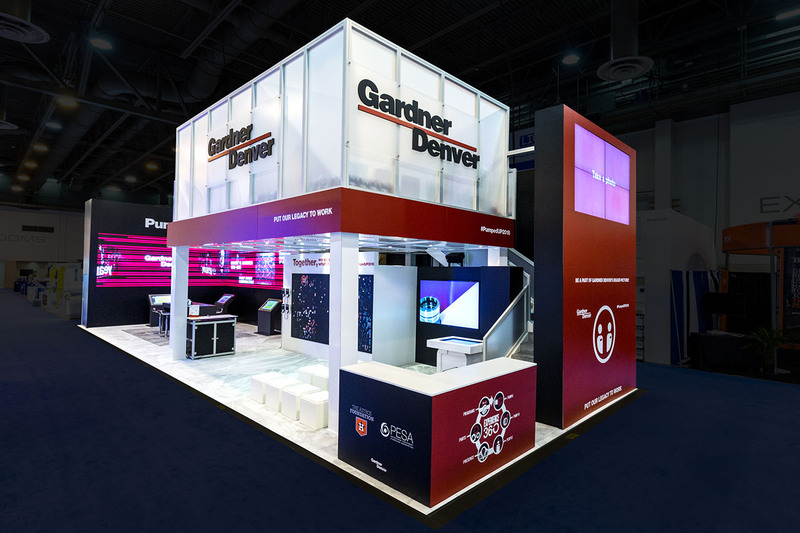 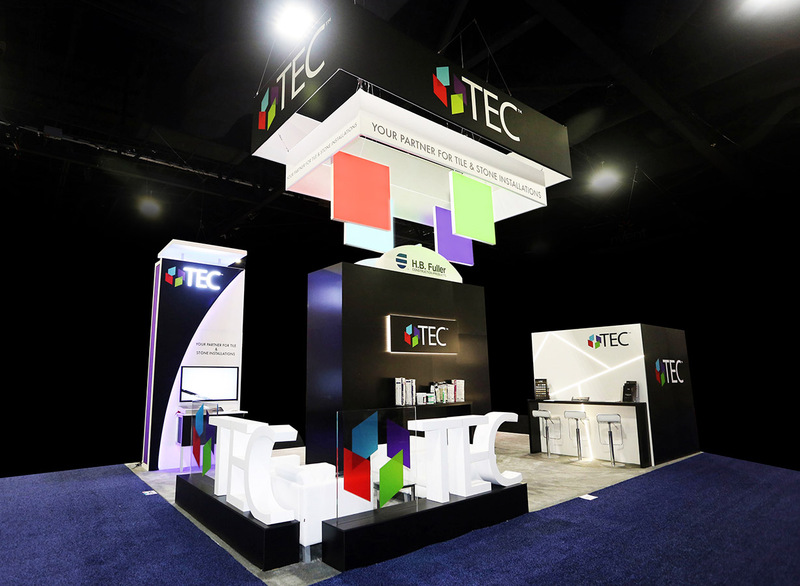 Features include: rainbow-colored backdrop, theatre seating, video wall, overhead graphic logo signage, multiple reception areas, video monitor station and storage cabinets.